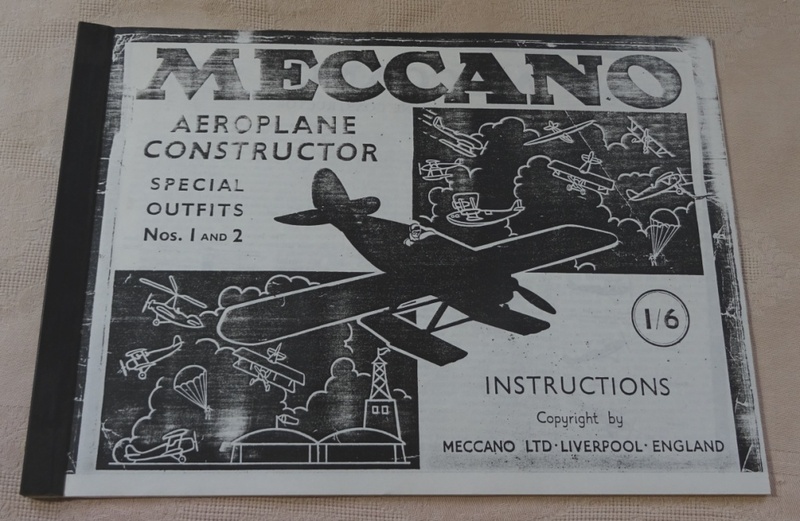 From now on the MENU above will have the date of entry eg (11Jan19) and also the date of any update eg (23Jan19) - so that new stuff can be put into the appropriate section and you will know about it - Also some sections now have their own adresses as the page is getting too long for me to load up (nothing new, did this 15 years ago) - it is an impossible task to keep the website up-to-date but I'm doing my best. 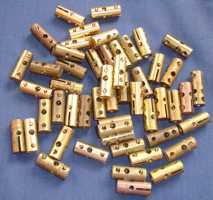 What a fantastic day we had at Sheffeld on 13th April - busiest day ever at Sheffield - many thanks to our friends and customers. 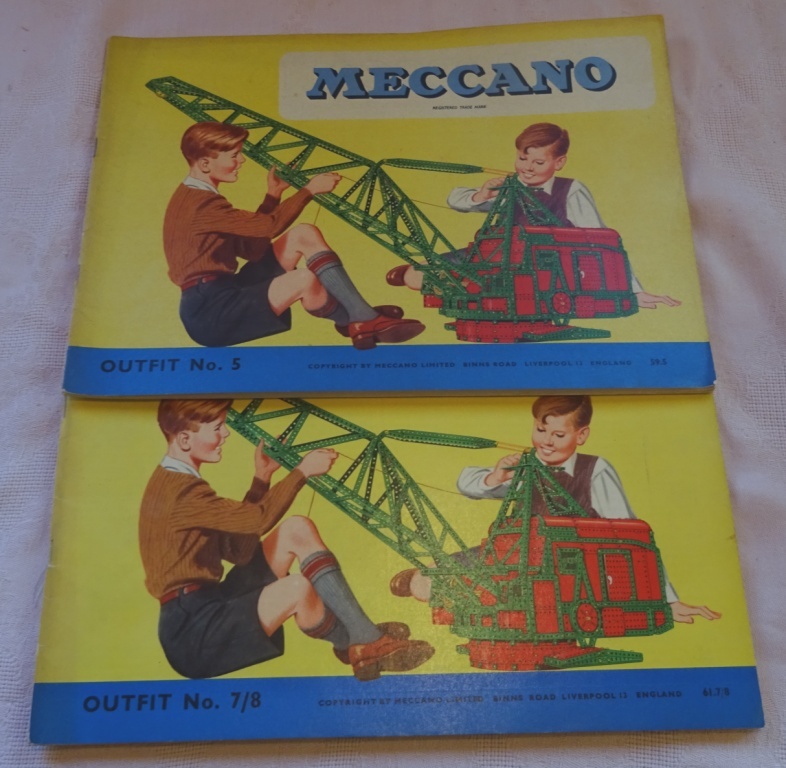 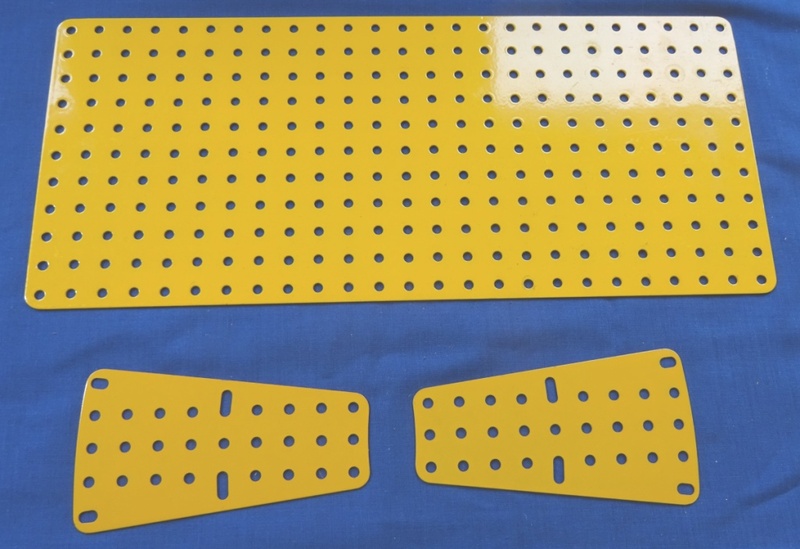 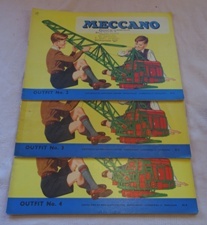 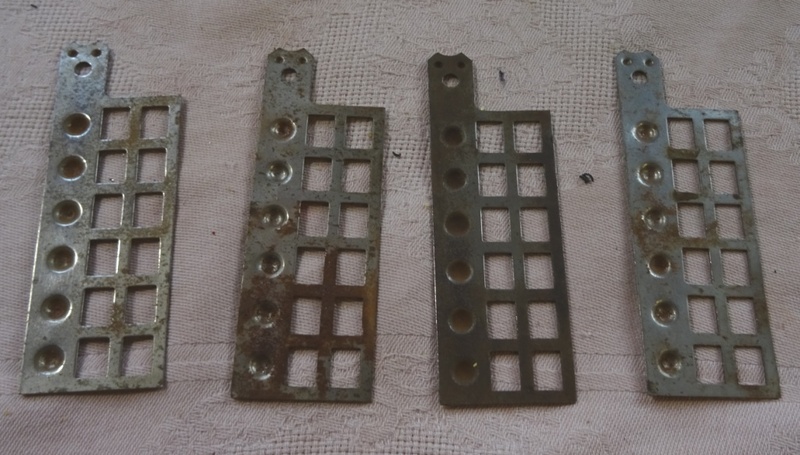 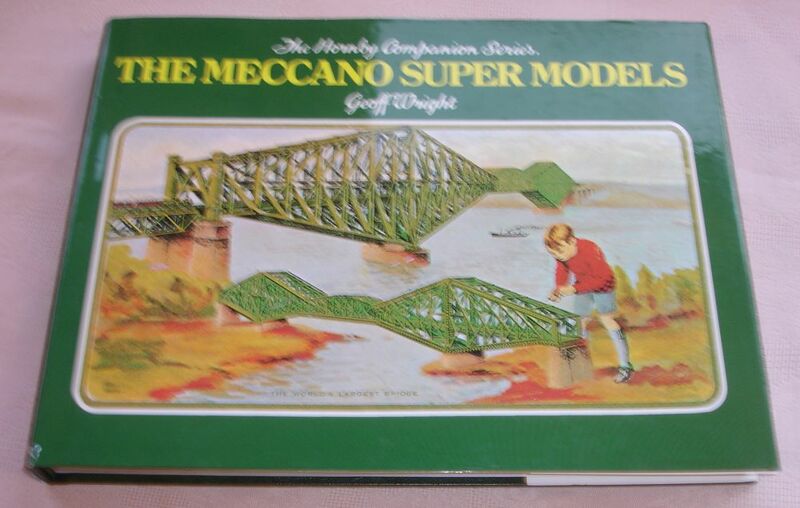 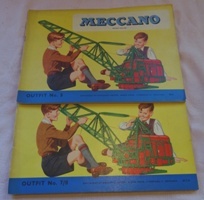 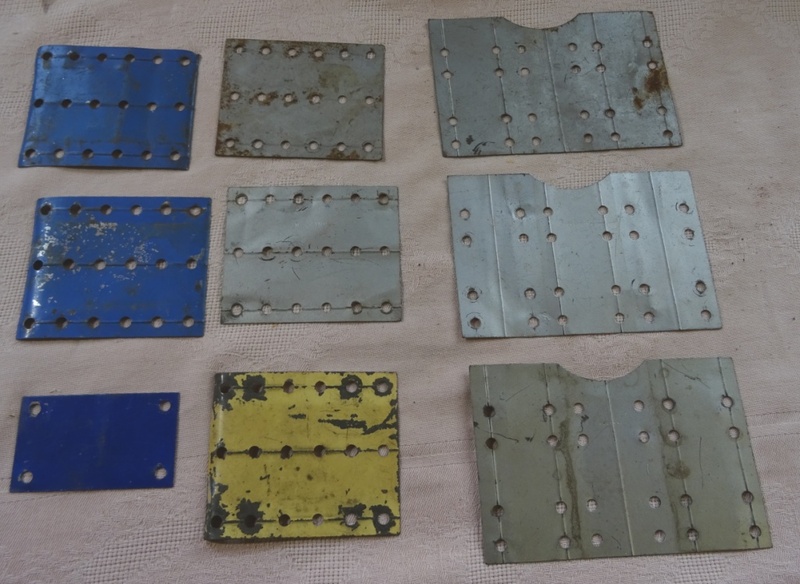 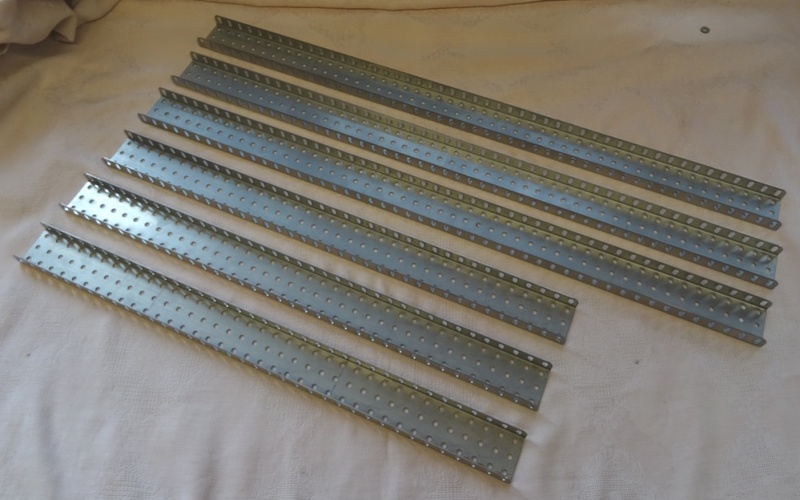 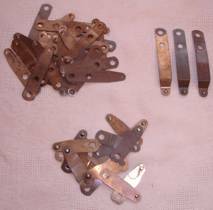 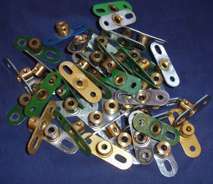 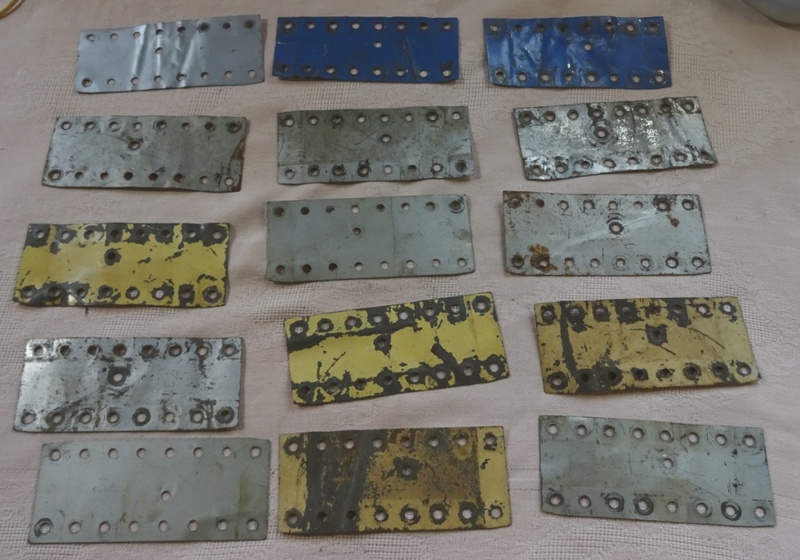 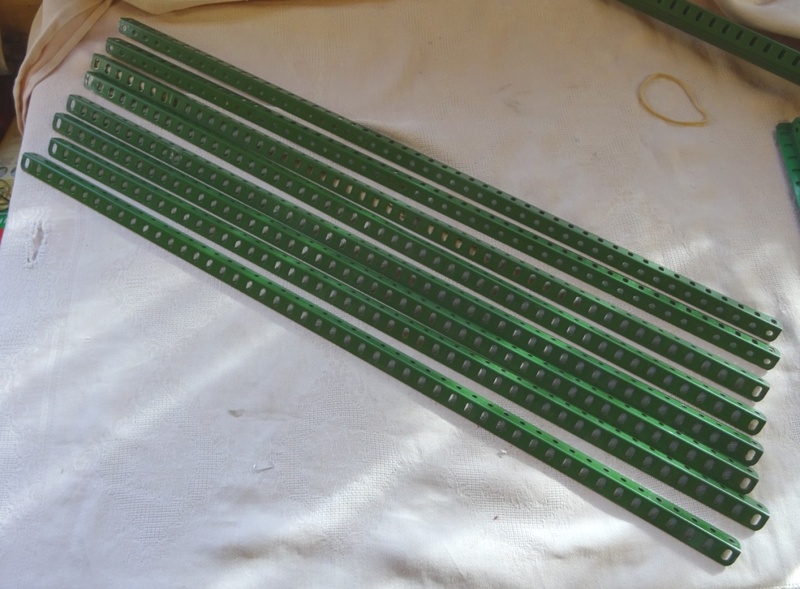 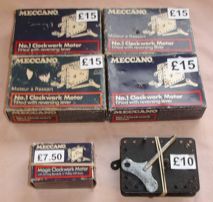 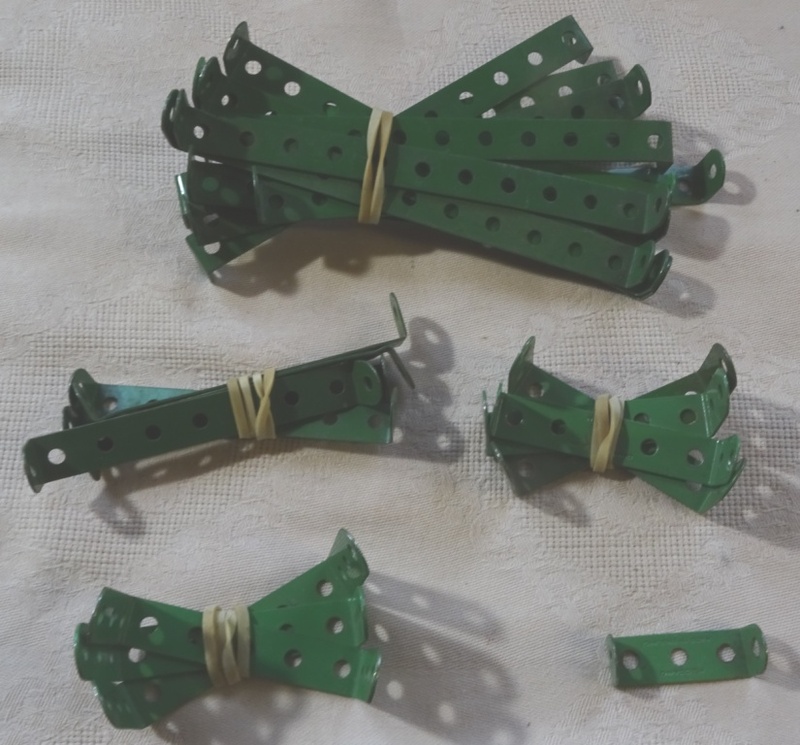 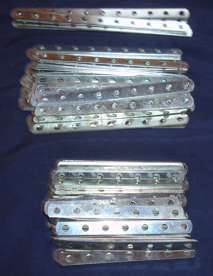 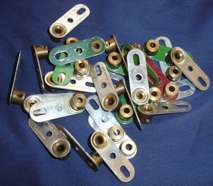 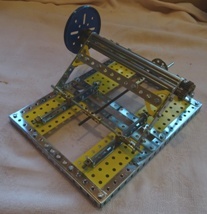 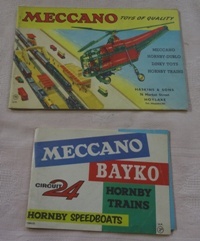 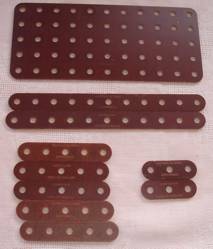 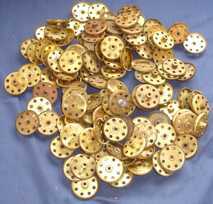 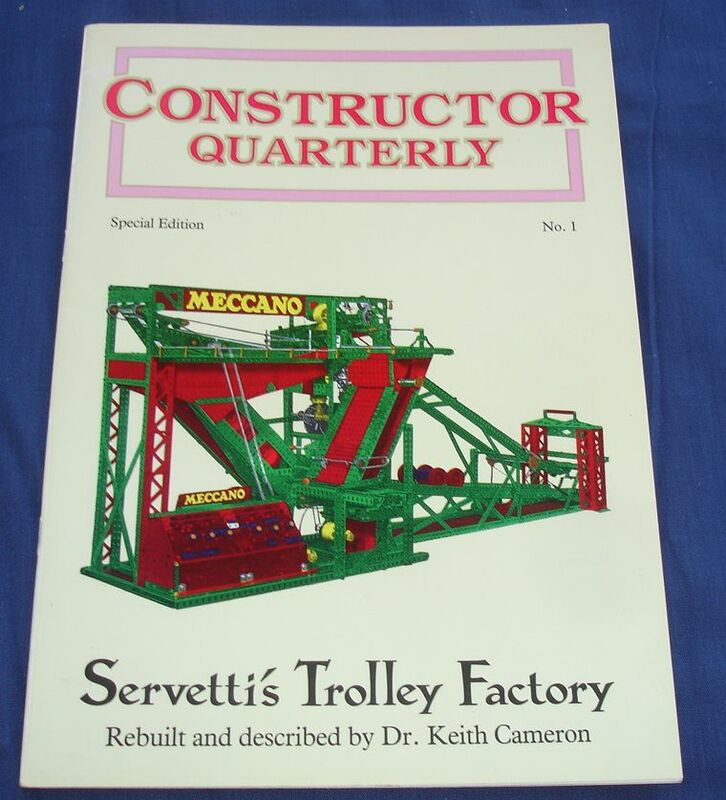 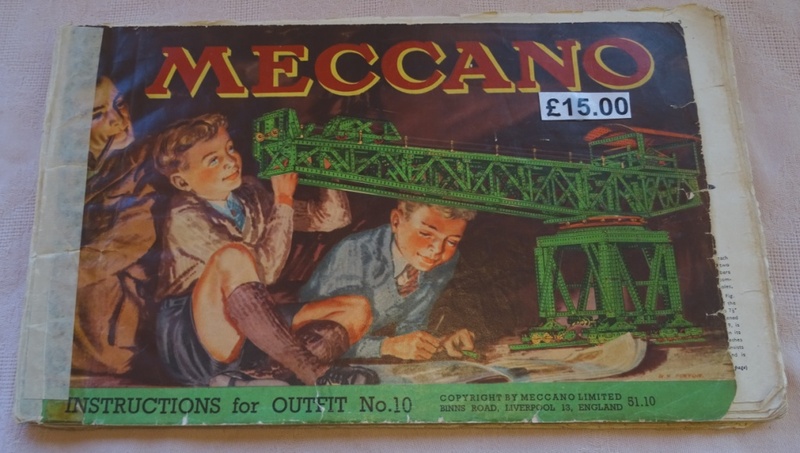 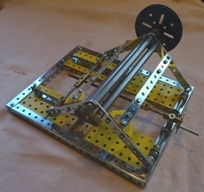 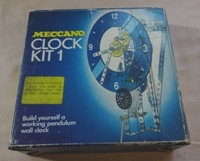 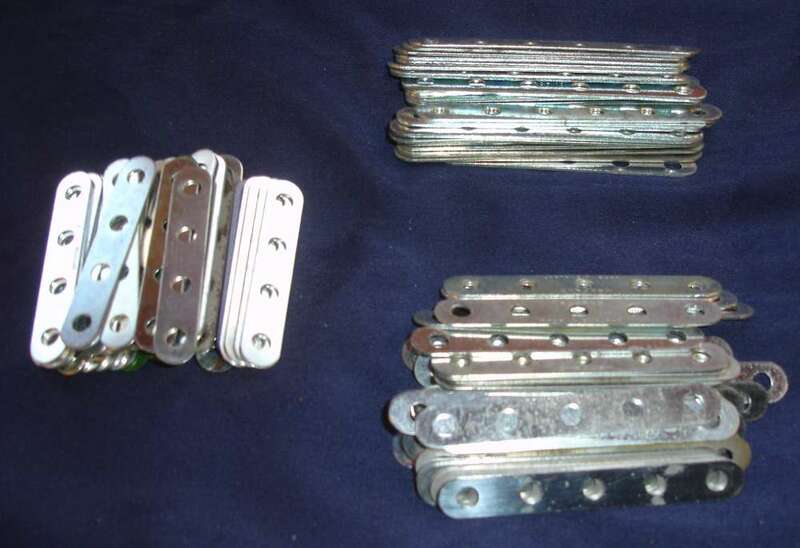 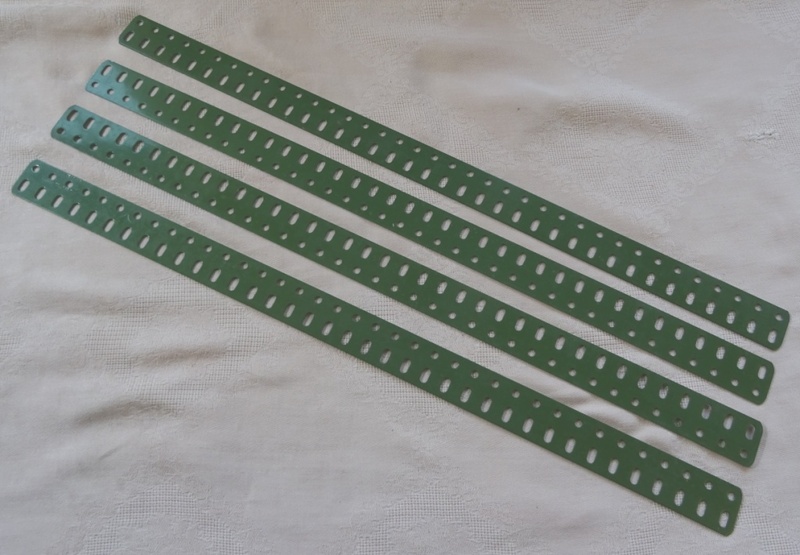 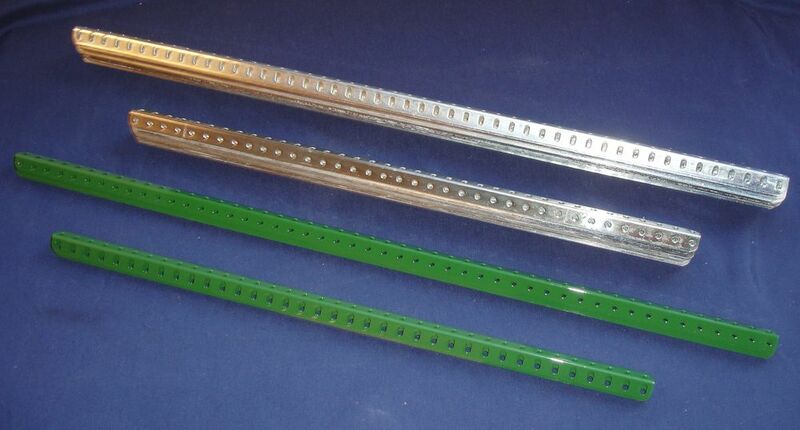 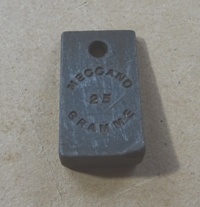 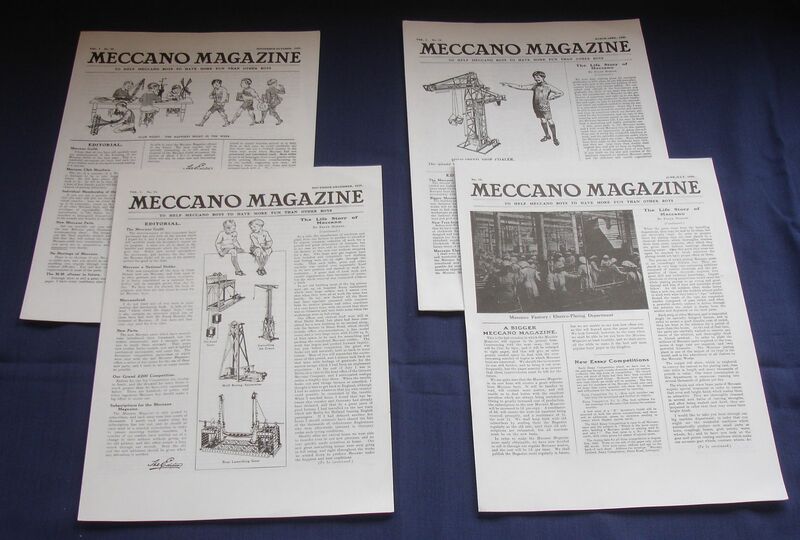 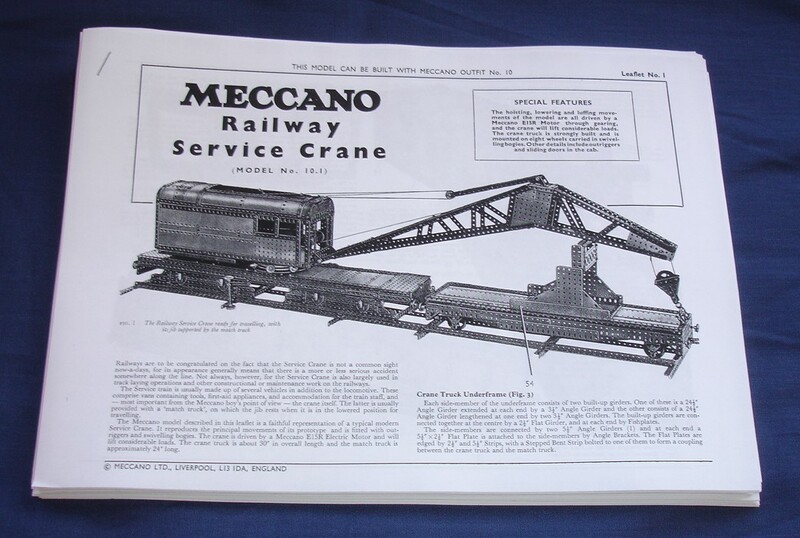 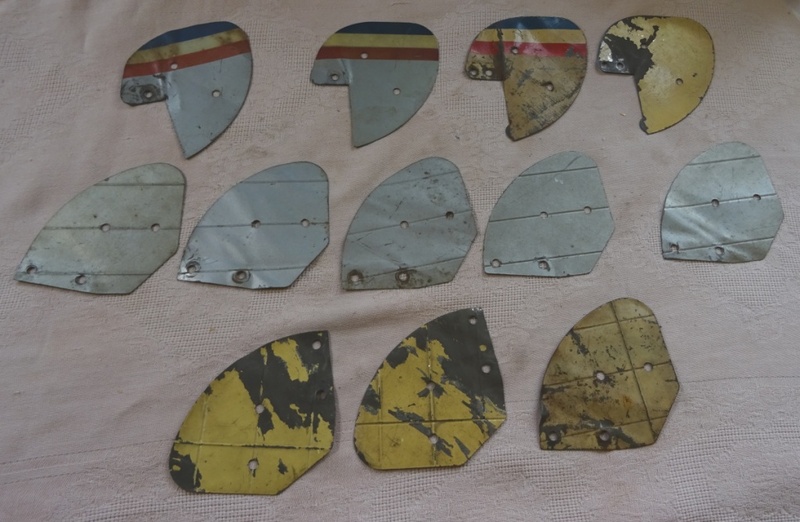 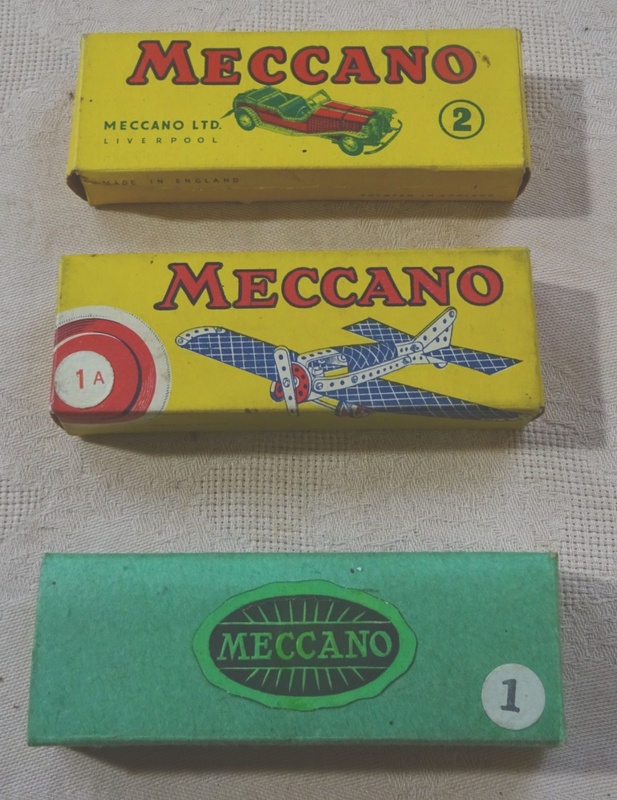 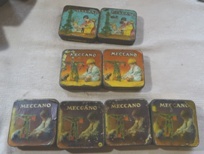 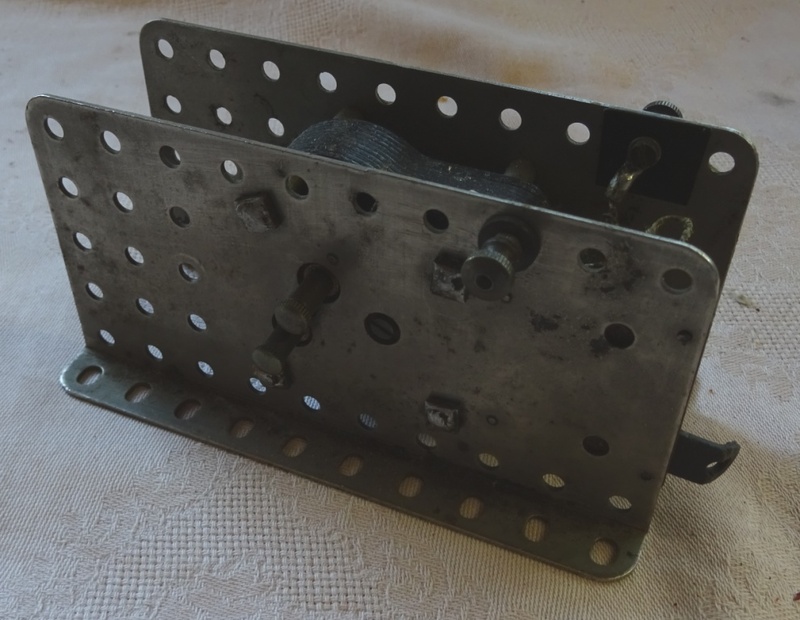 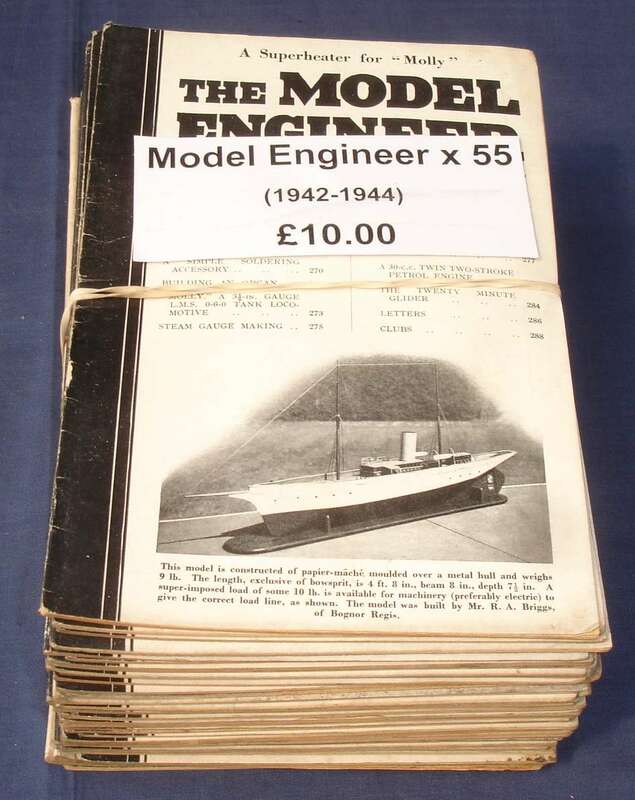 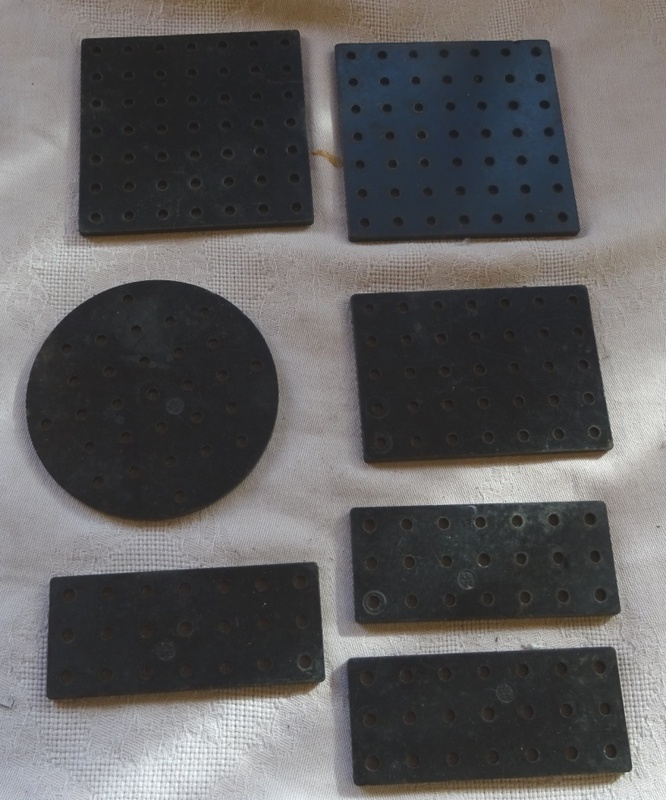 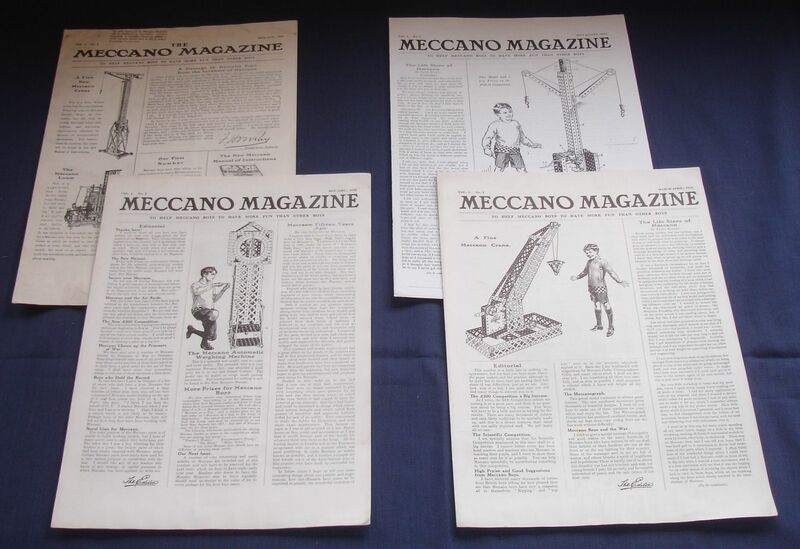 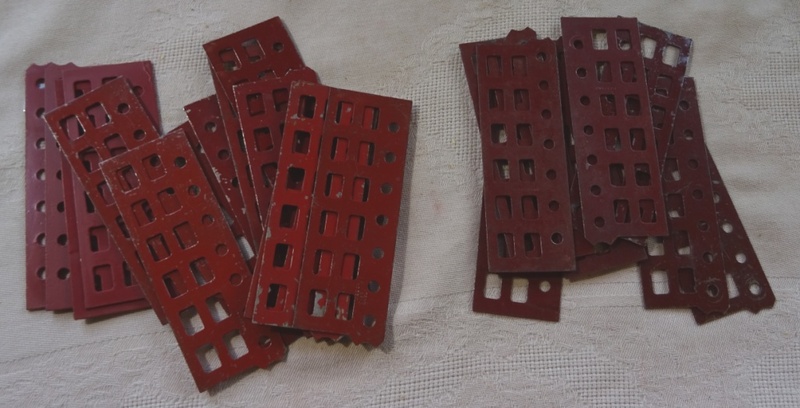 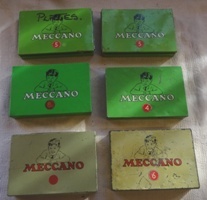 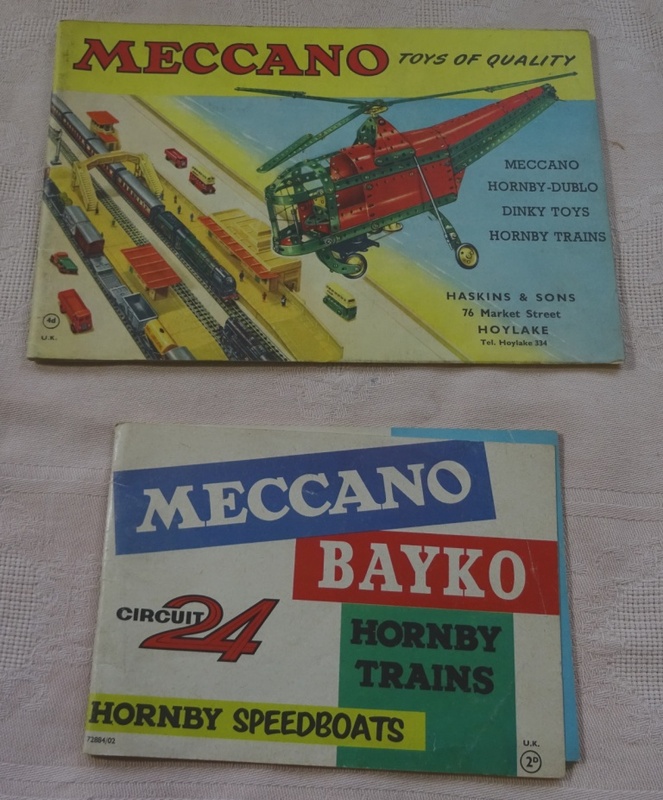 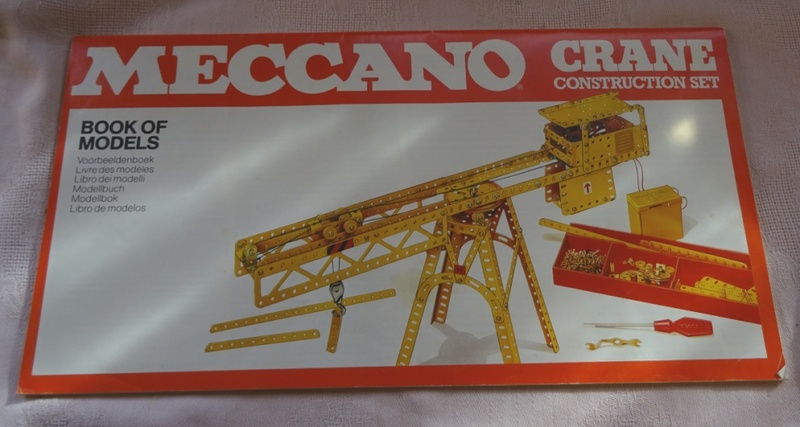 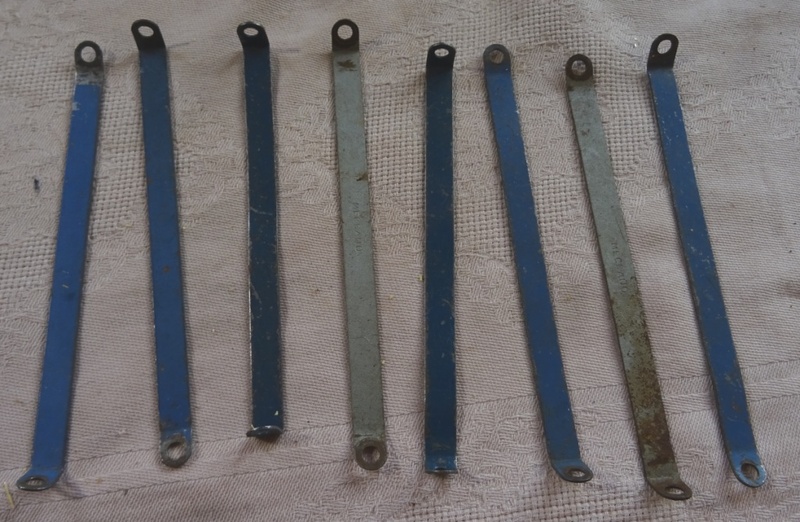 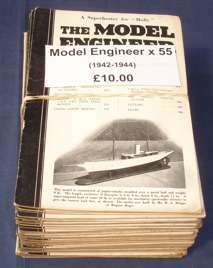 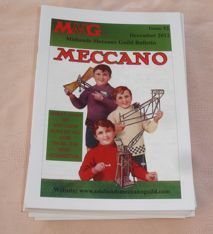 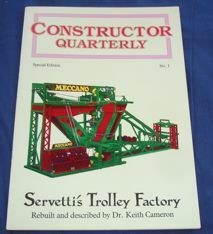 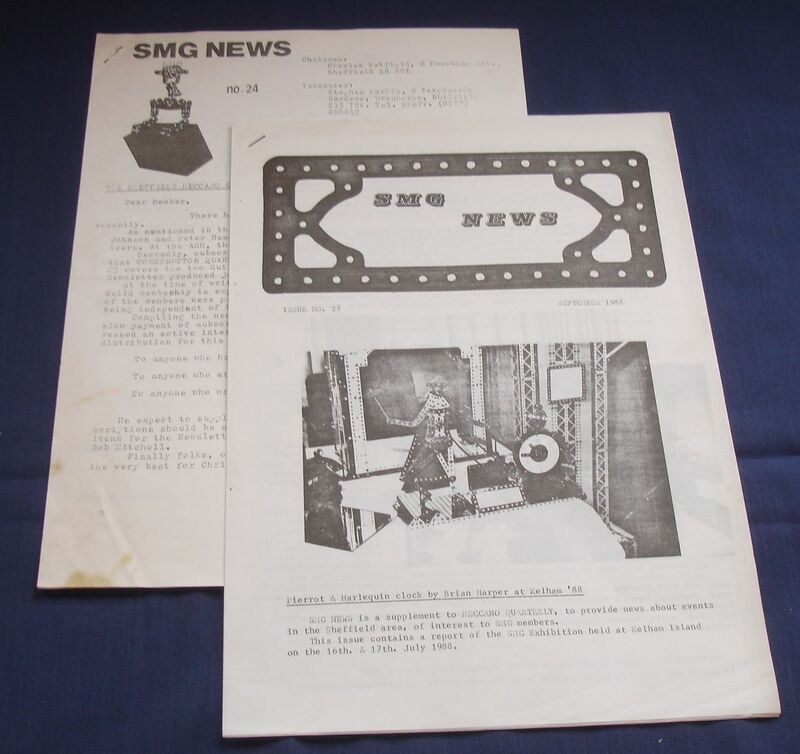 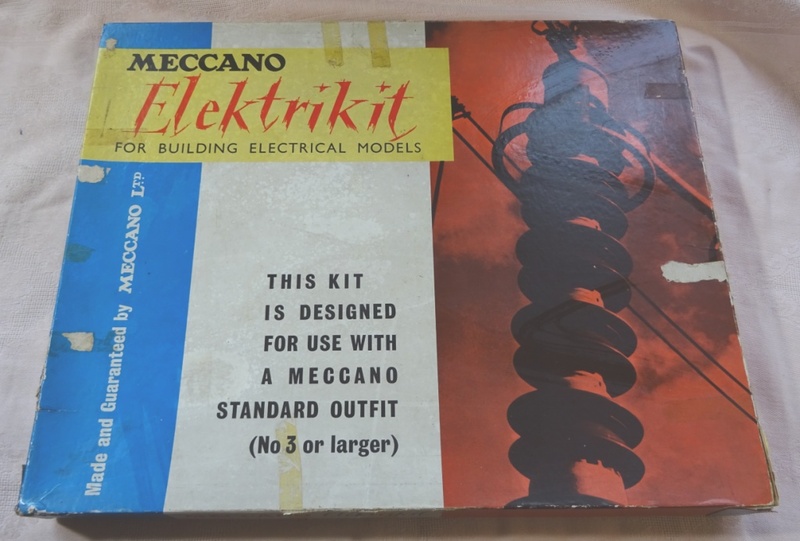 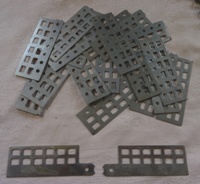 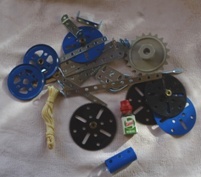 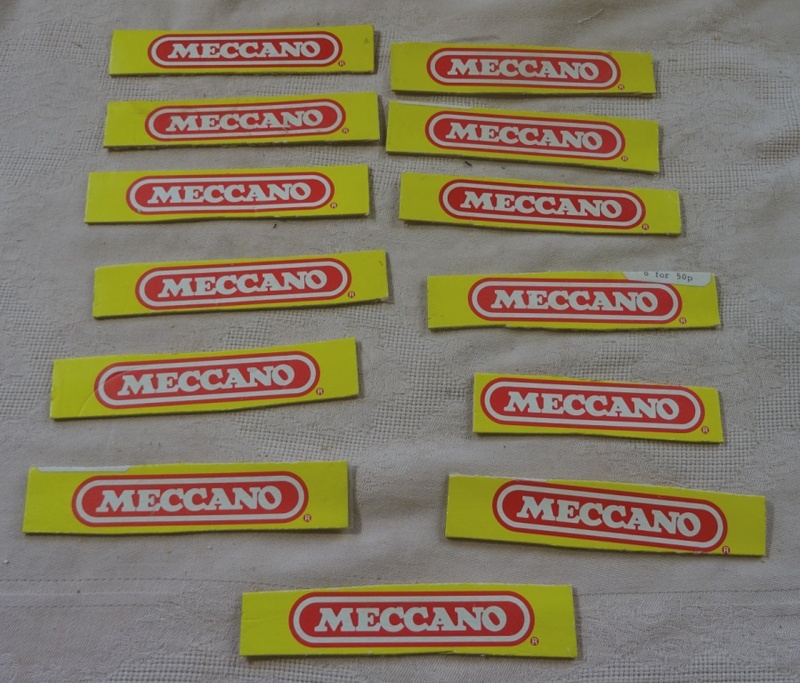 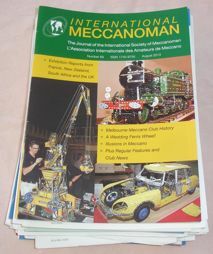 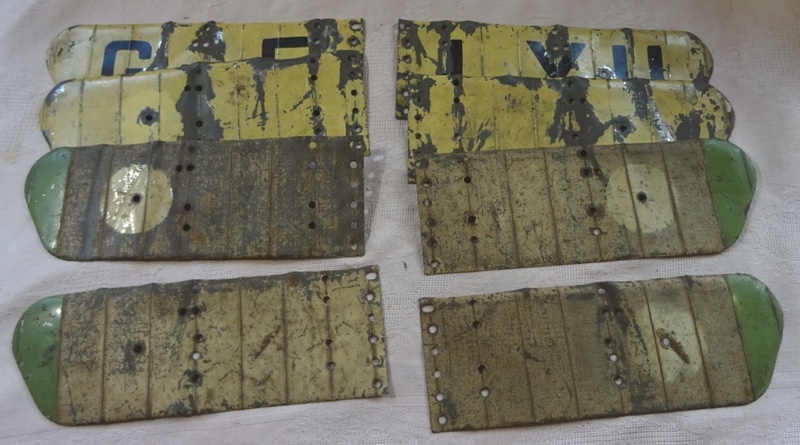 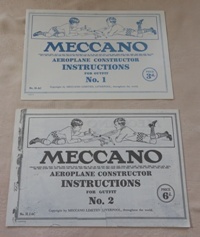 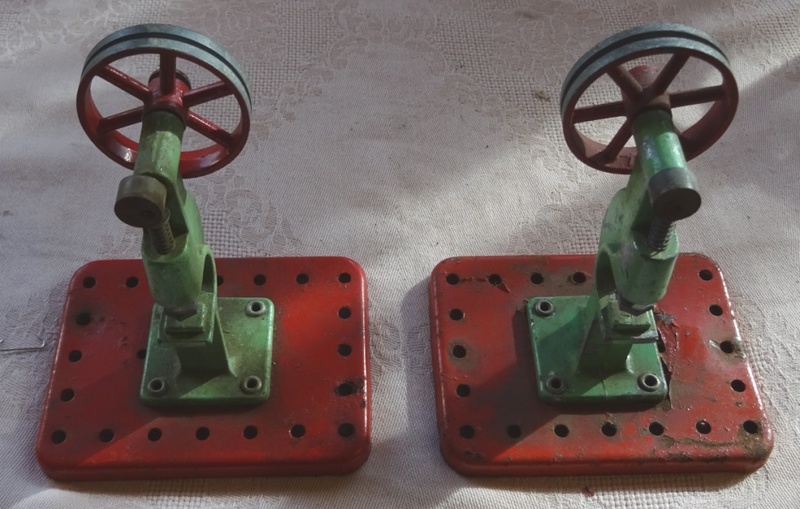 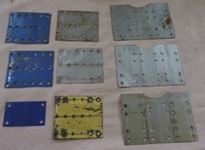 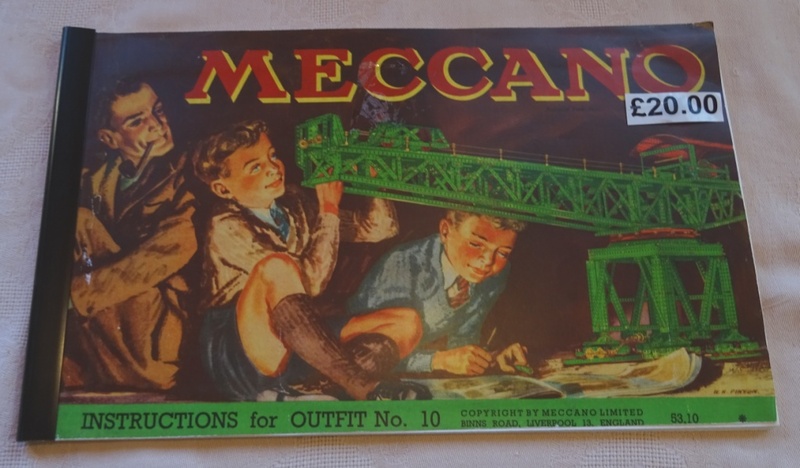 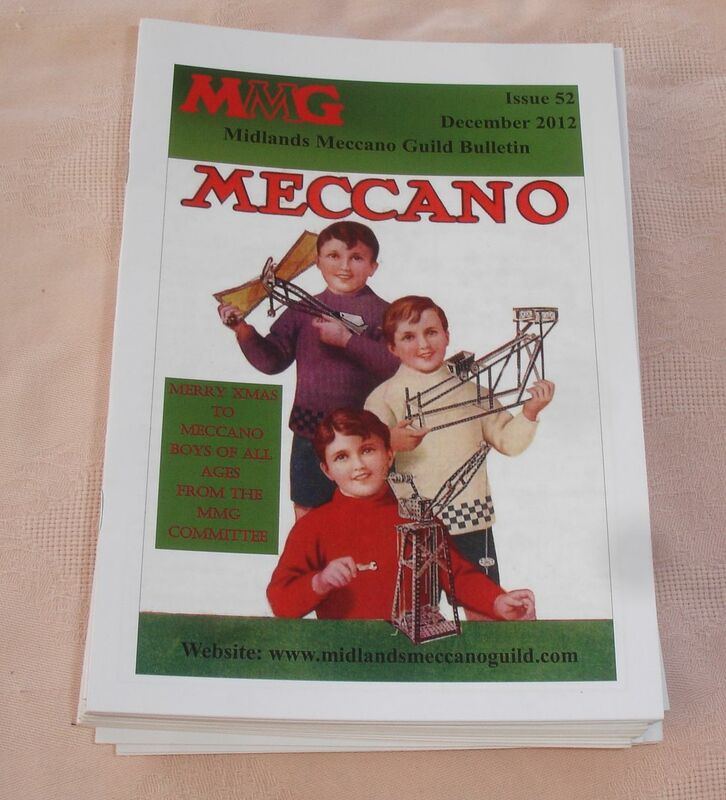 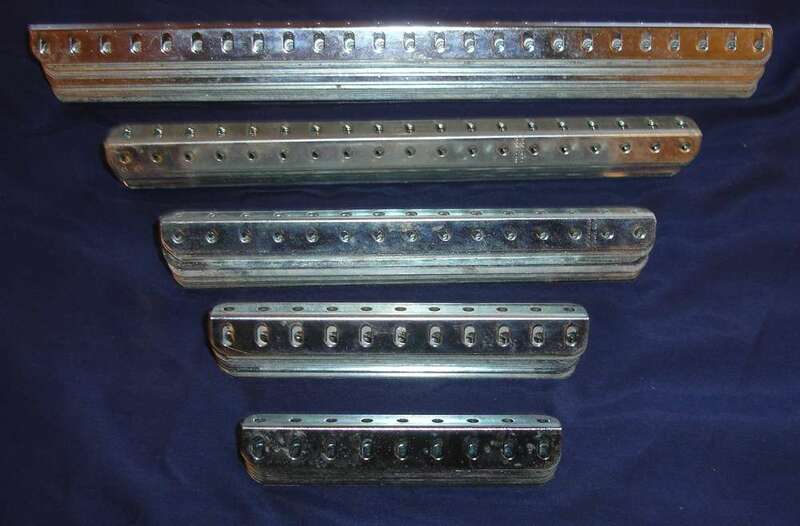 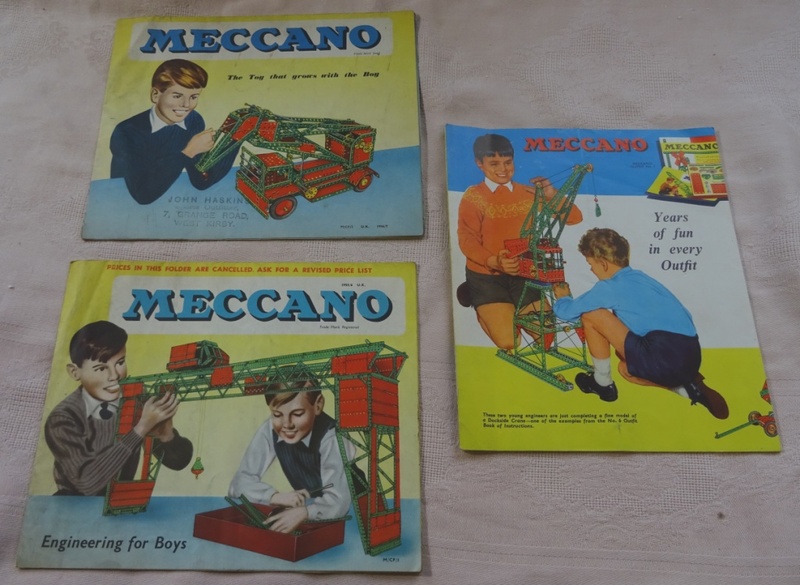 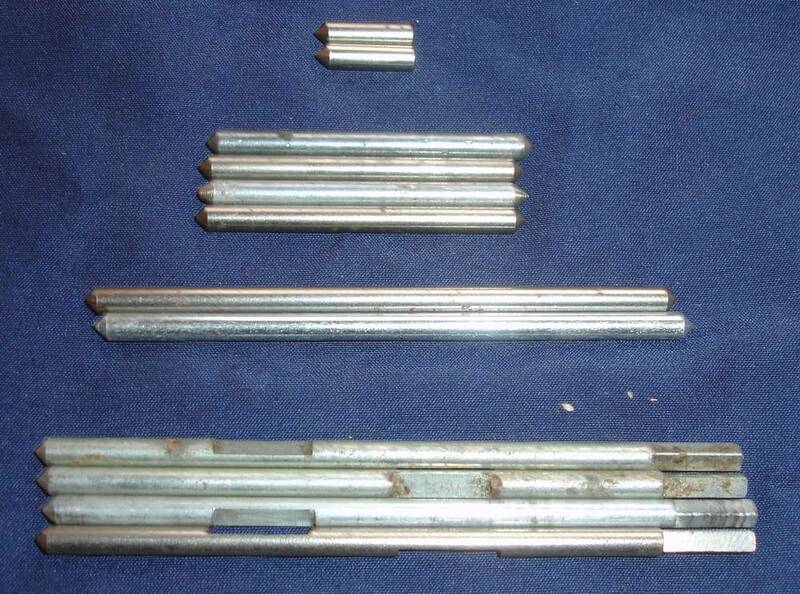 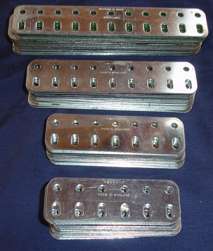 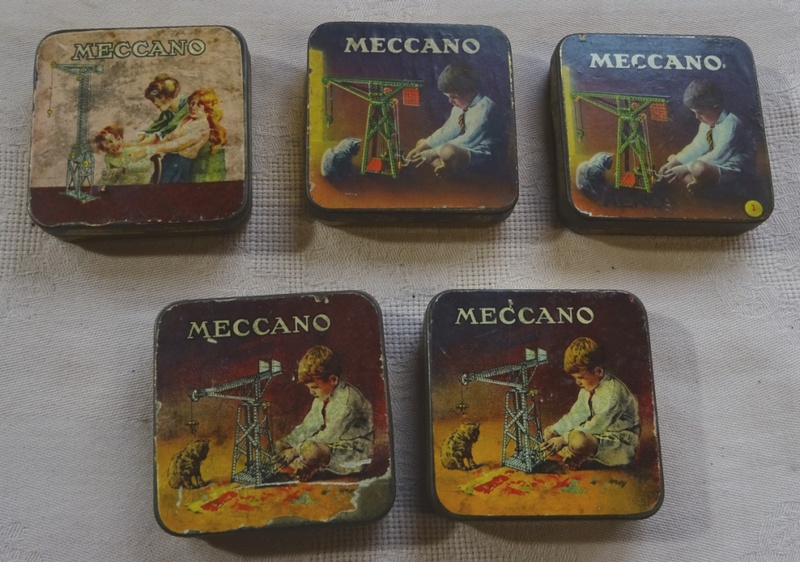 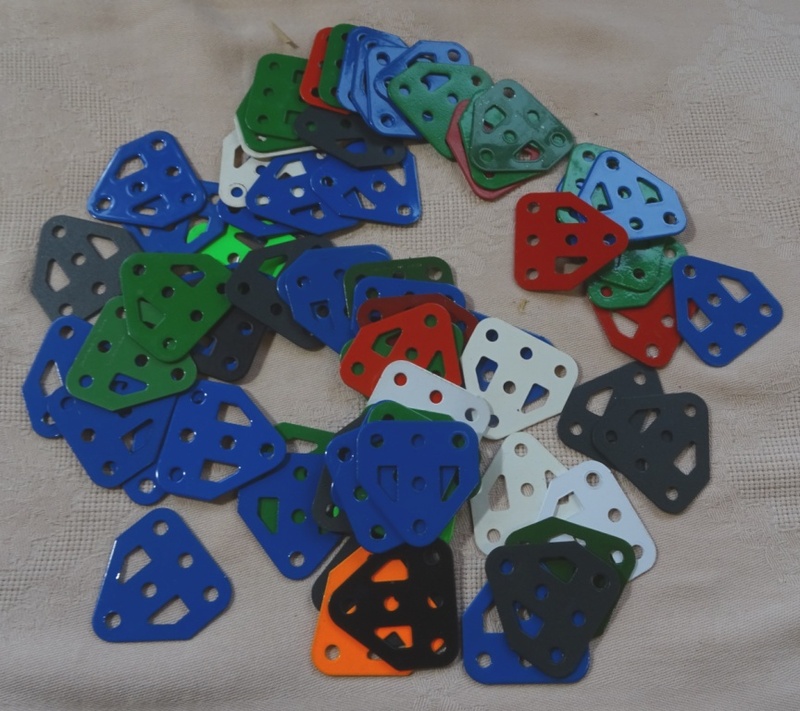 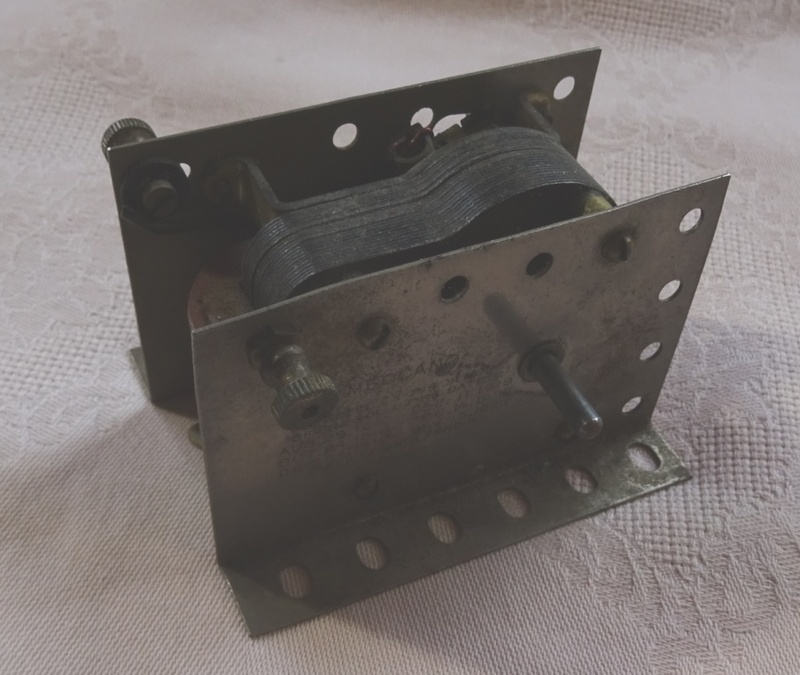 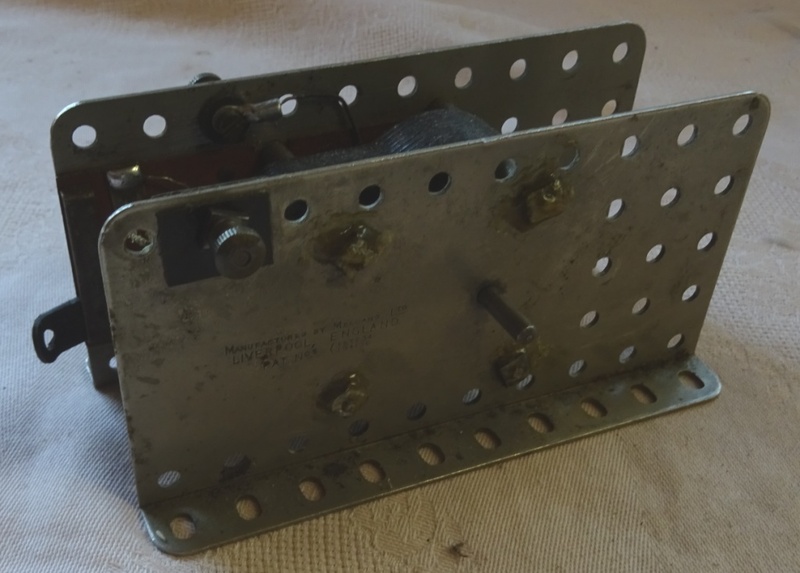 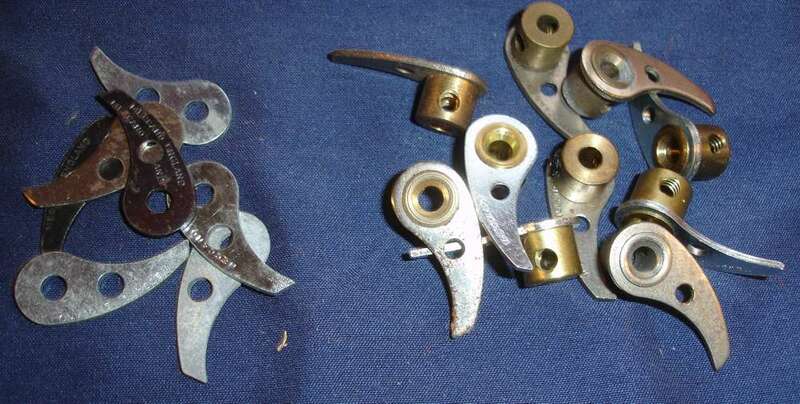 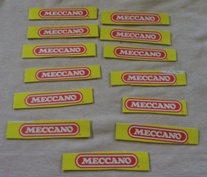 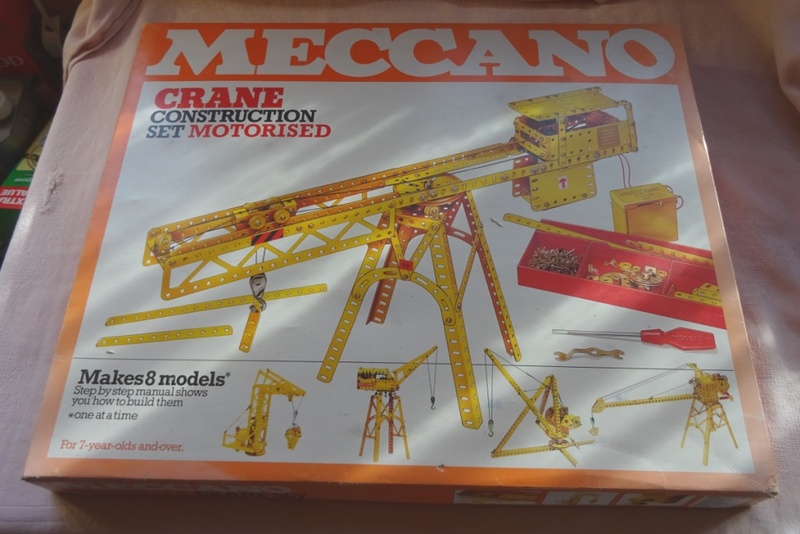 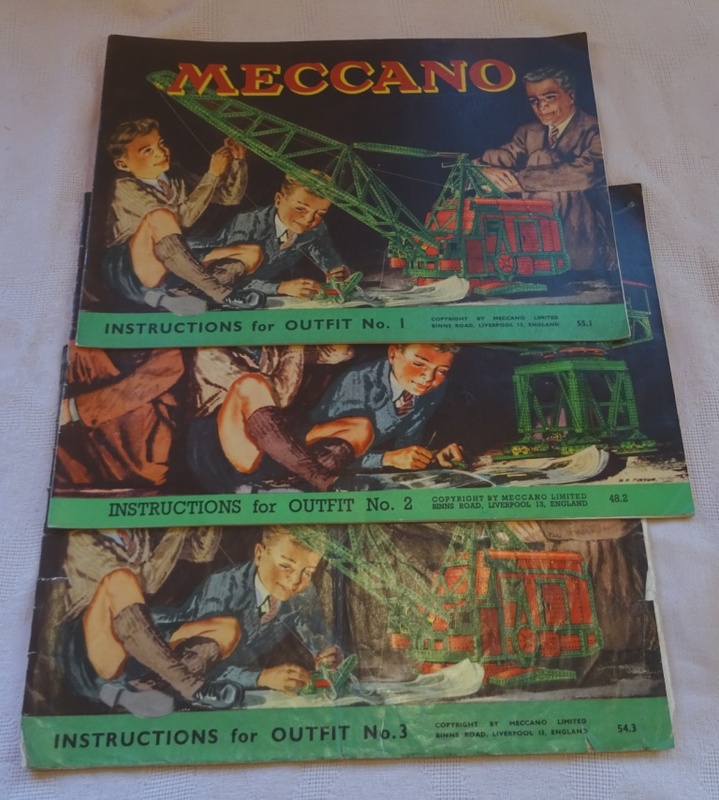 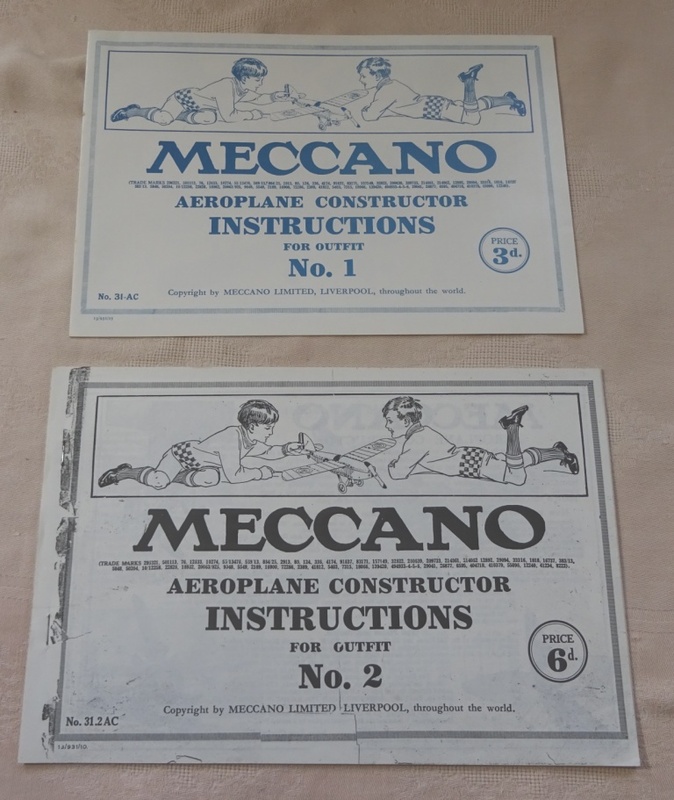 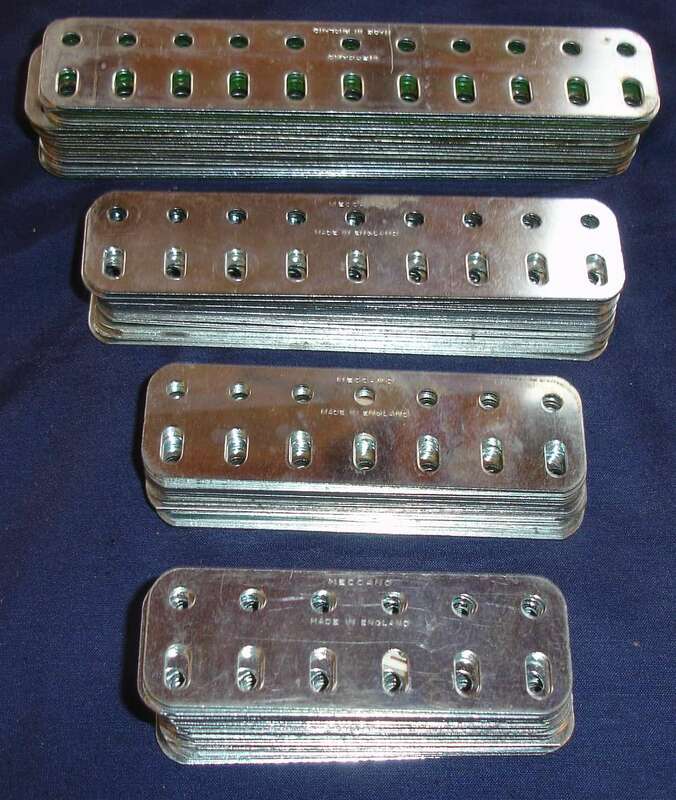 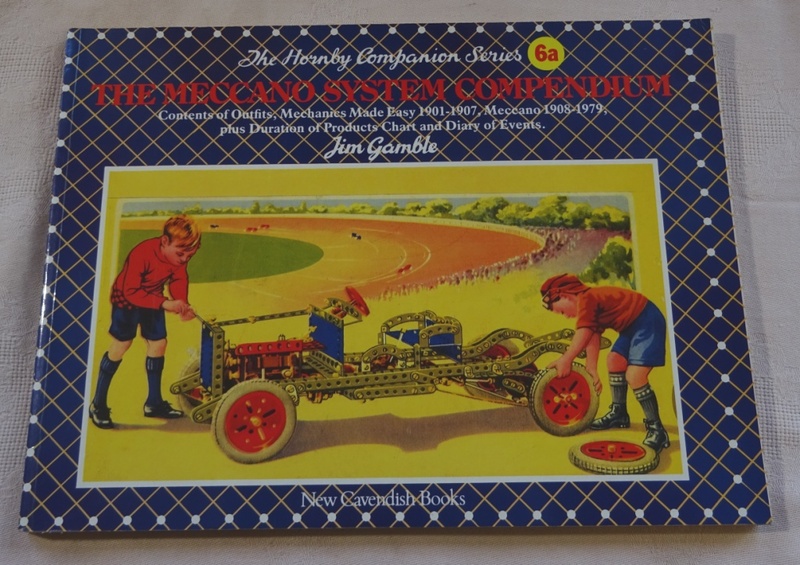 Just bought a very large collection of Meccano - 2 van loads - loads of 'crap' but loads of 'goodies' - so please stay tuned to my website as they will be loads of excellent stuff in the next few weeks - also re-stocked on 24.5", 18.5" and 12.5" girders from France so medium green, zinced and dark blue now available again. 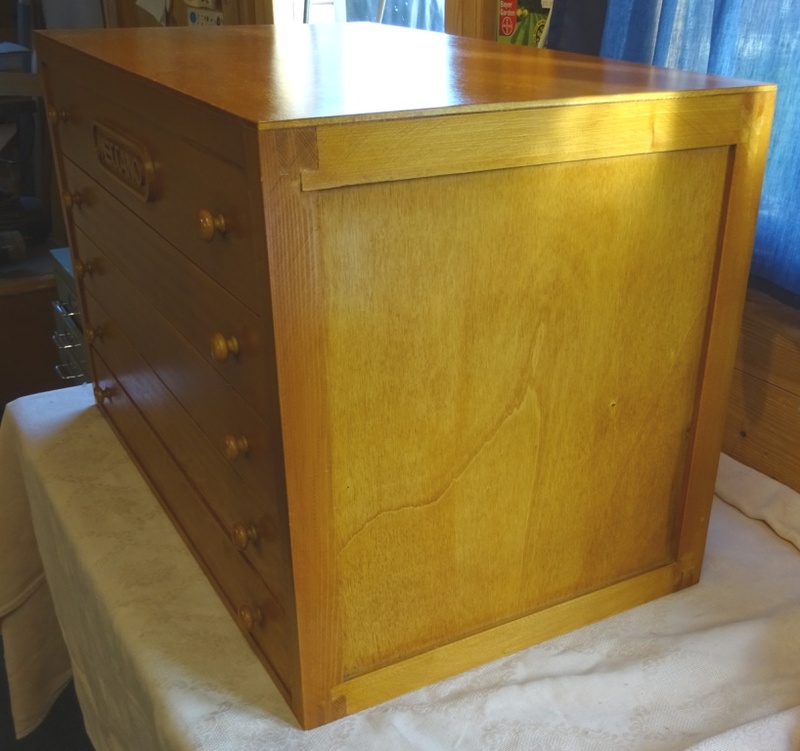 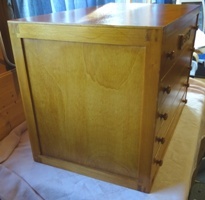 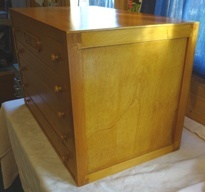 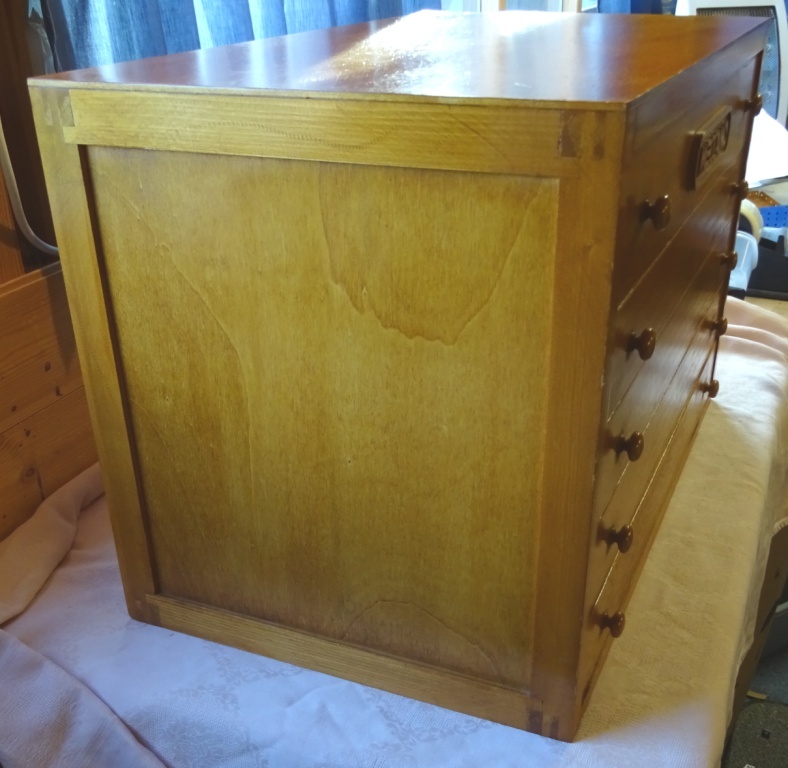 Dark Oak No 10 Chest - with Key! 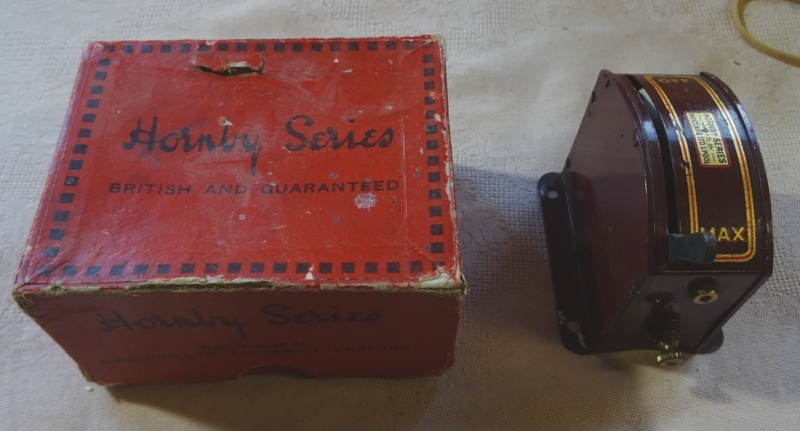 - Very Good Condition - first spare one I've had in over 10 years. 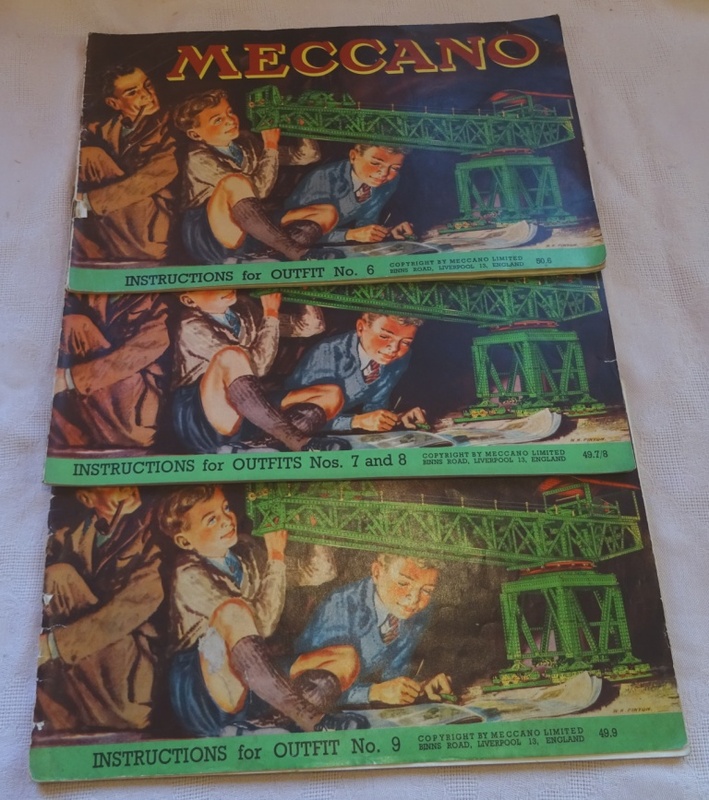 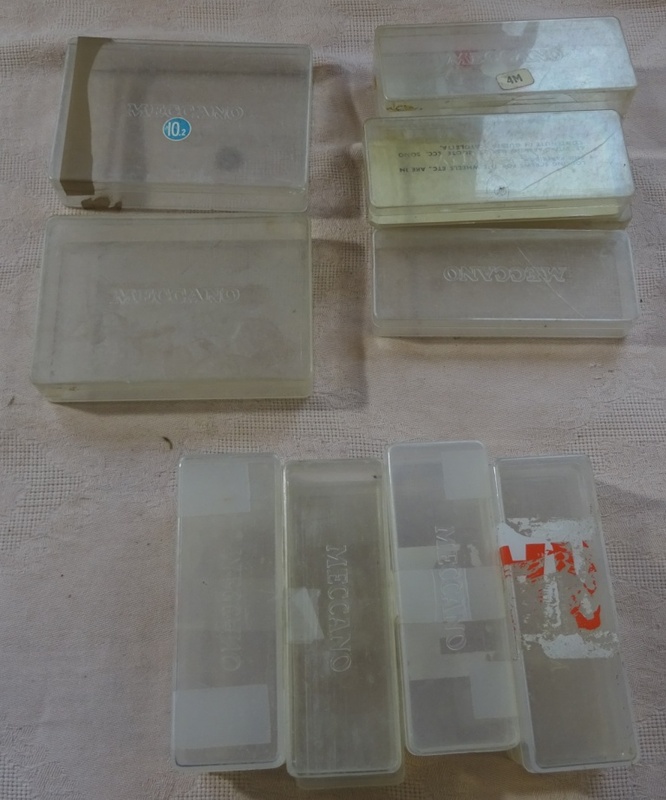 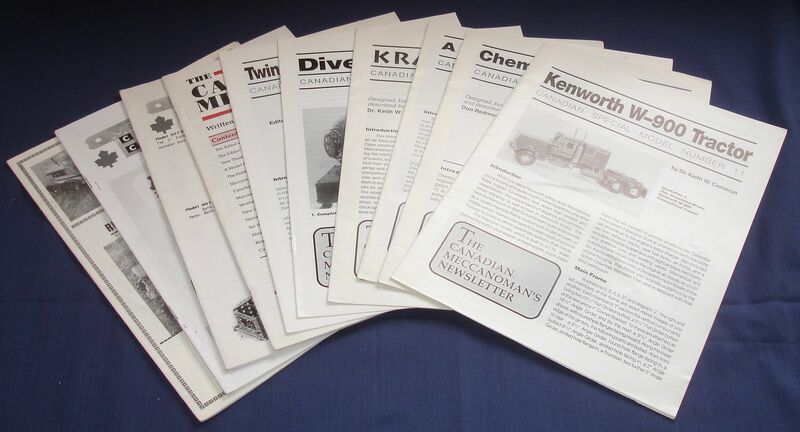 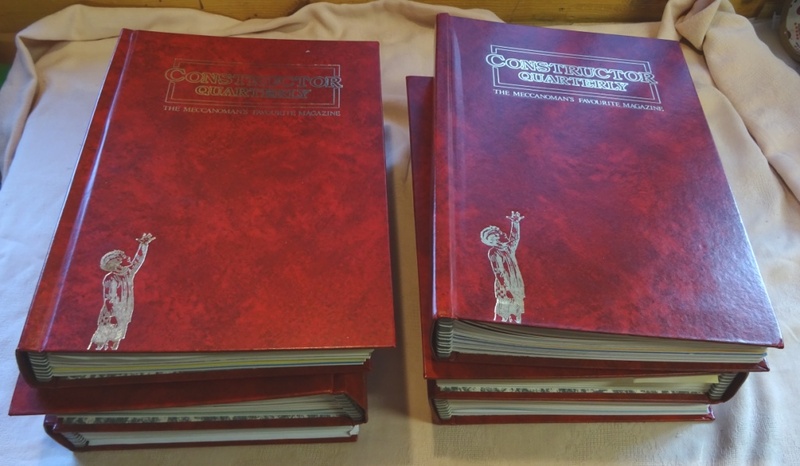 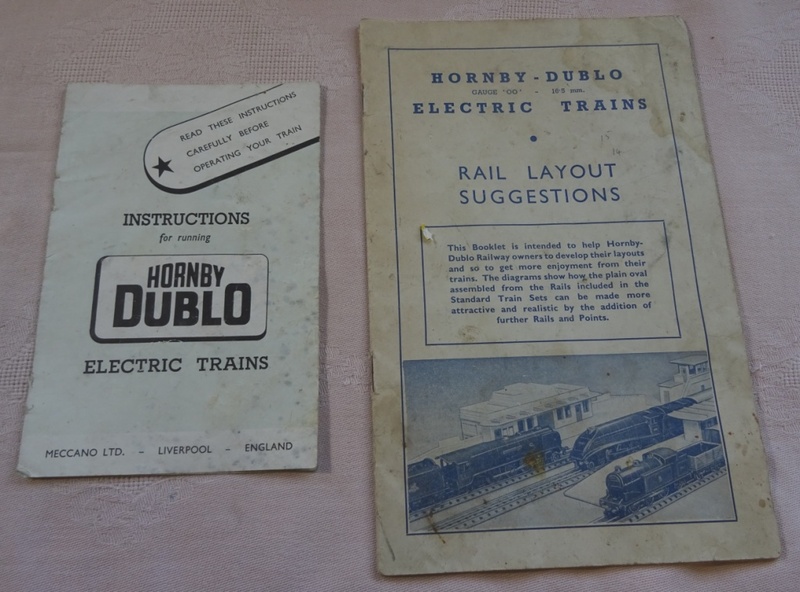 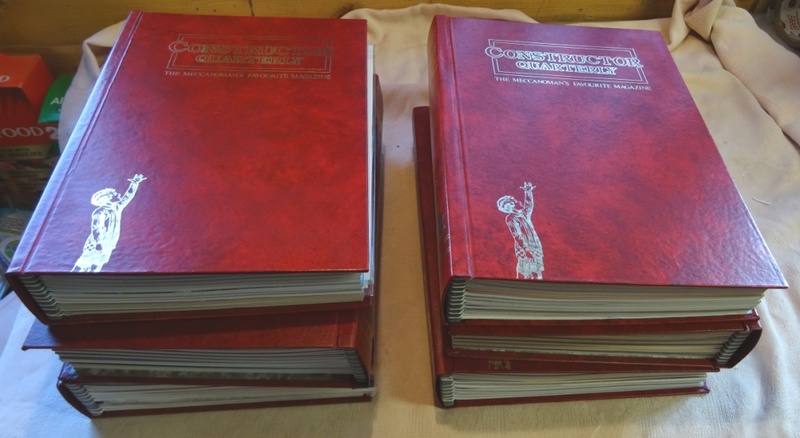 English No 10 Set No 1 - Original Cabinet - Complete (except small grubs) - Complete Set of Manuals and 20 x No 10 Set Leaflets - Excellent to Near Mint Condition - Acquired with all grey tyres but can swap with No 2 if necesaary. 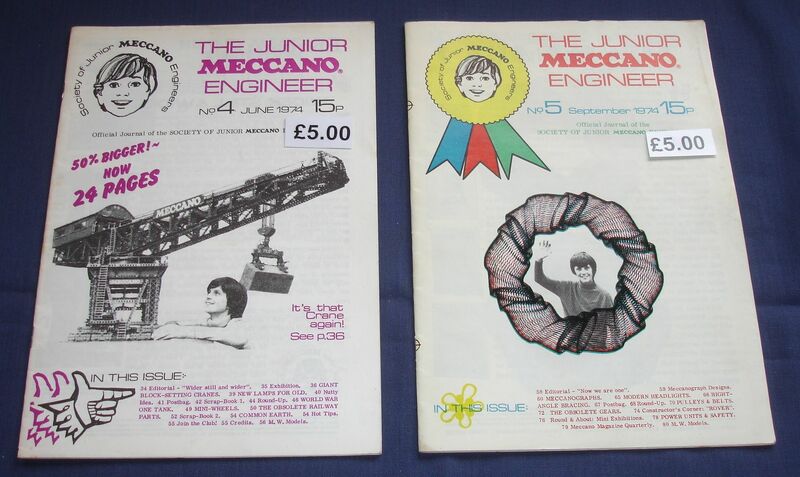 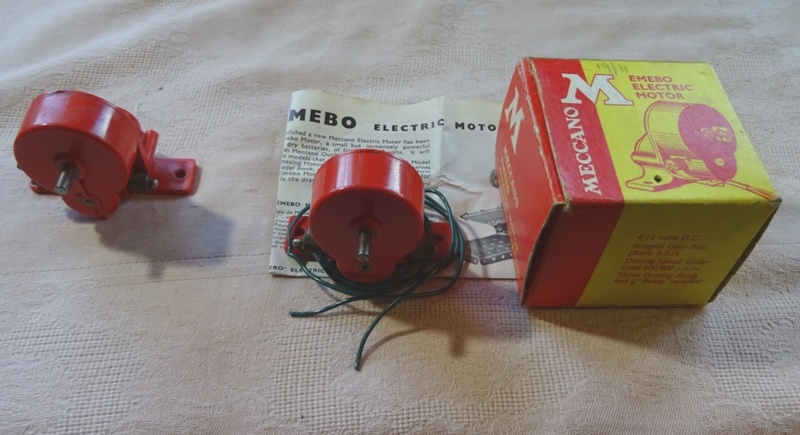 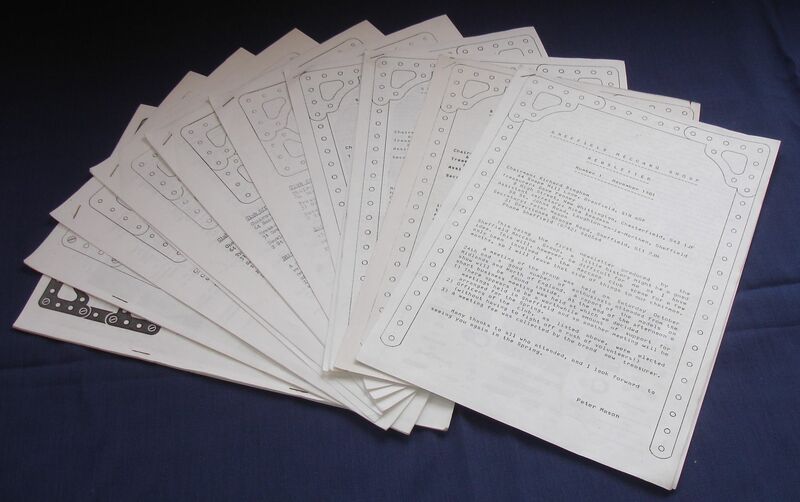 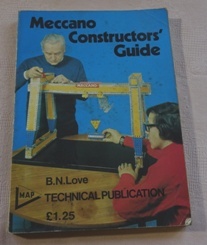 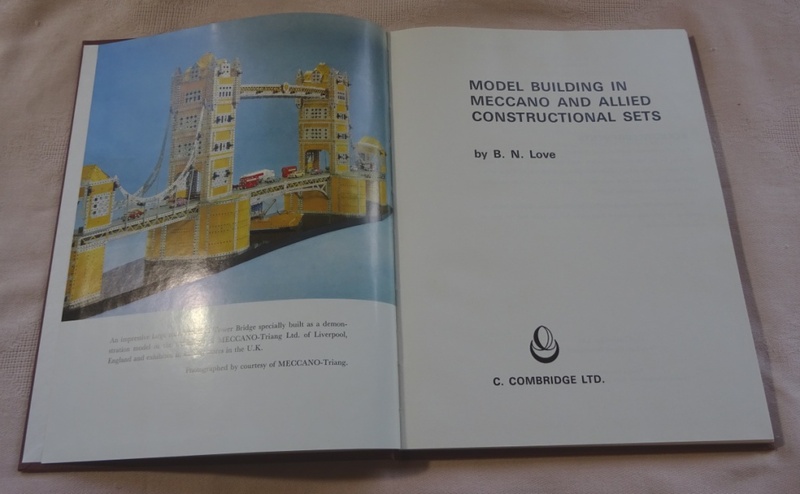 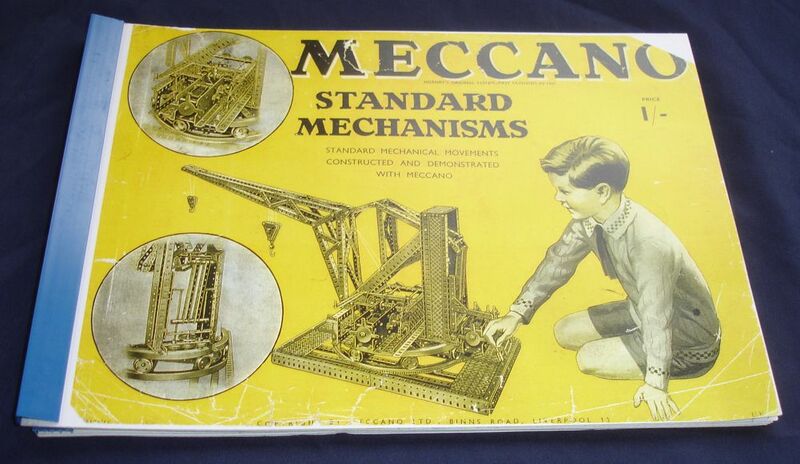 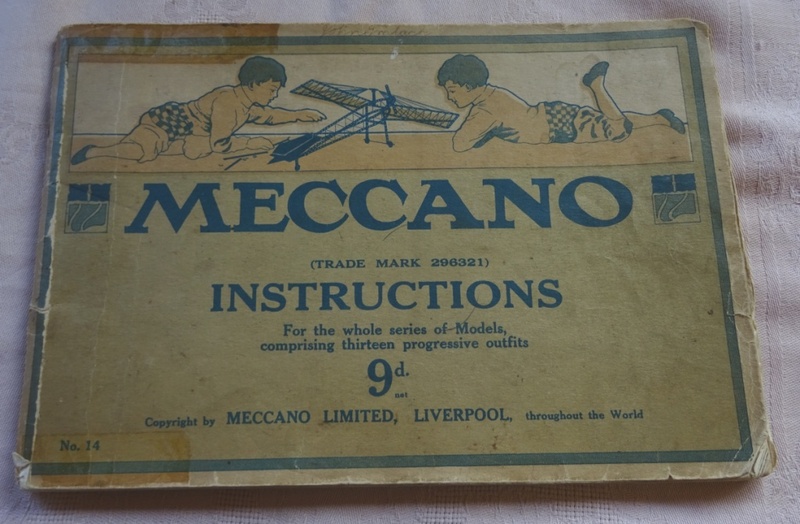 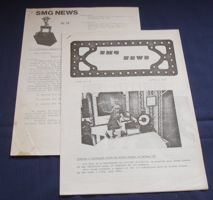 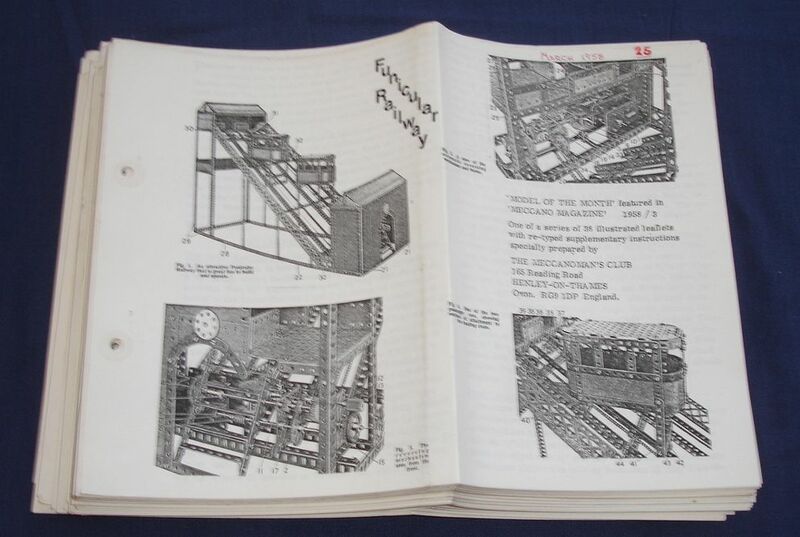 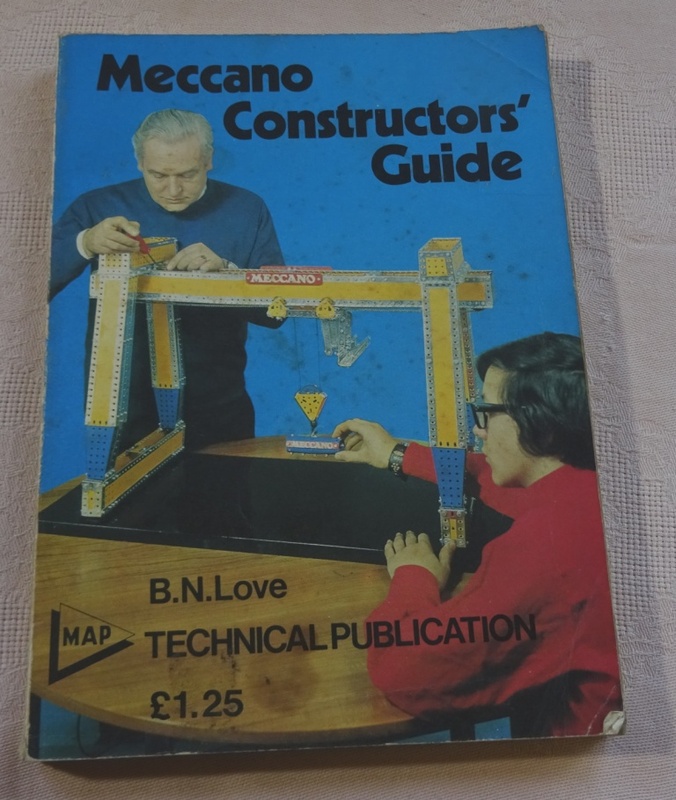 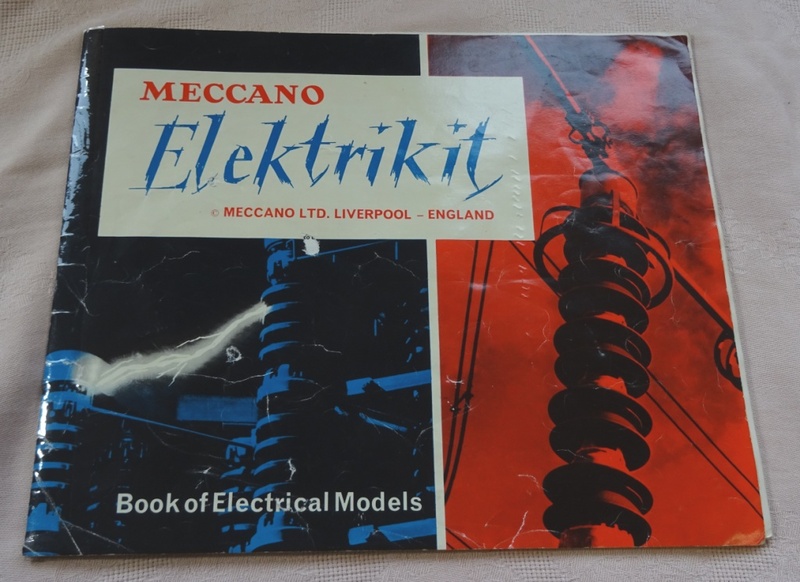 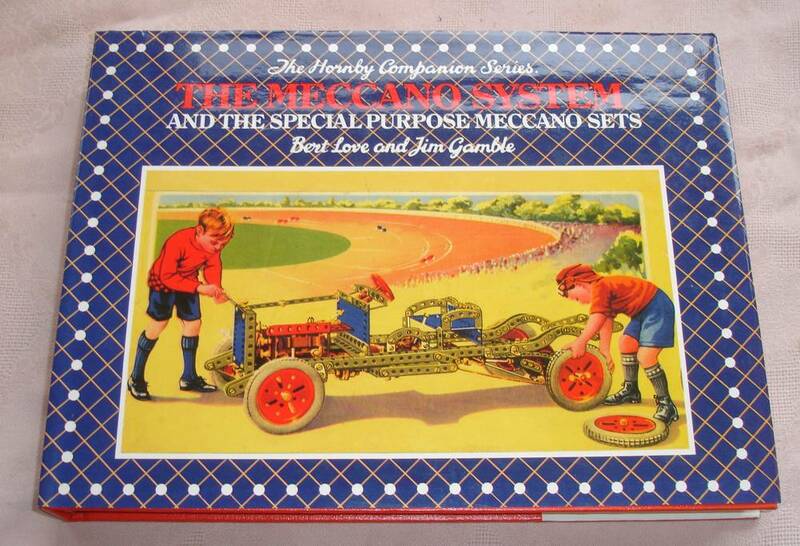 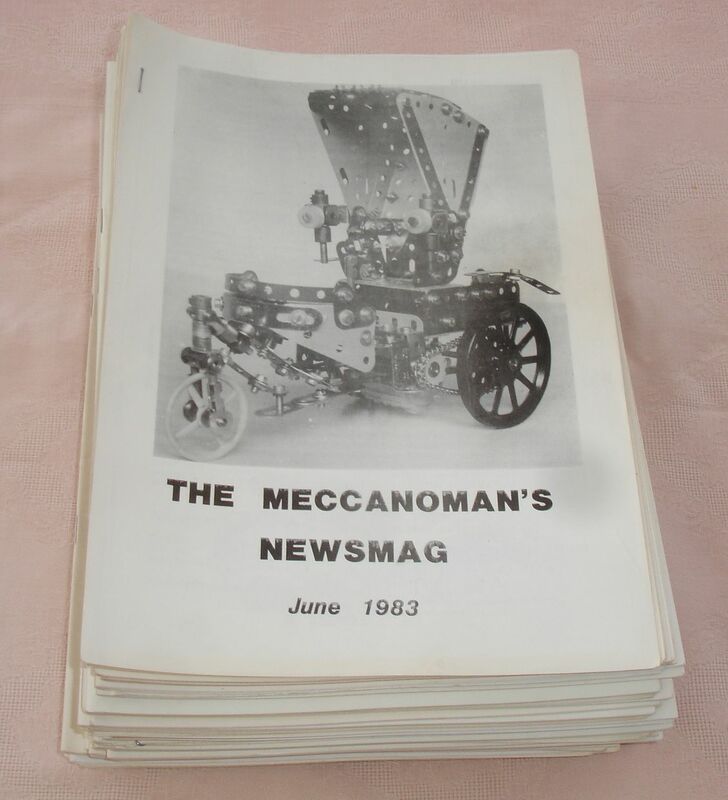 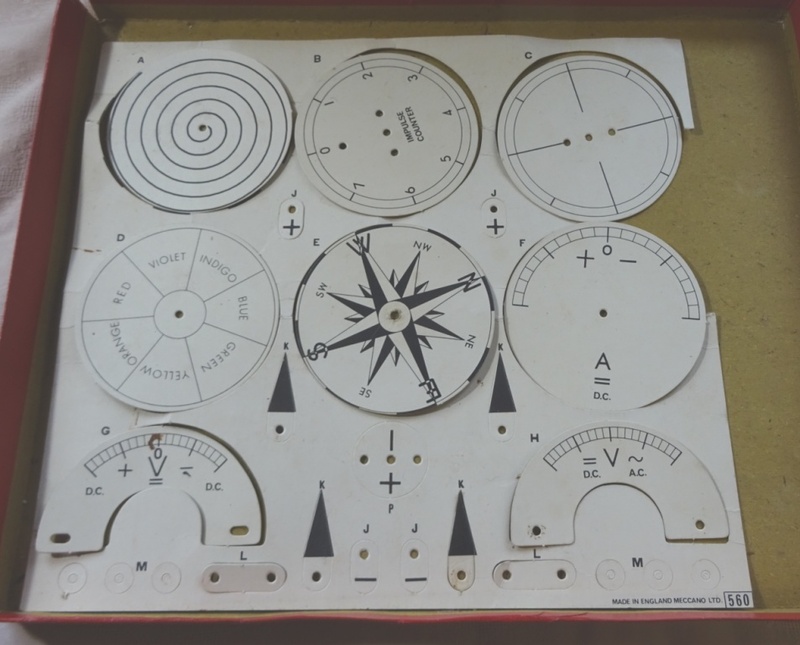 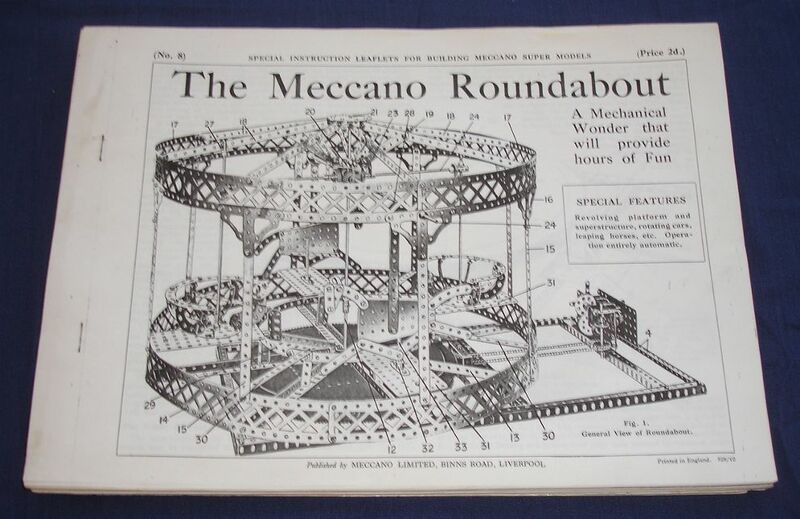 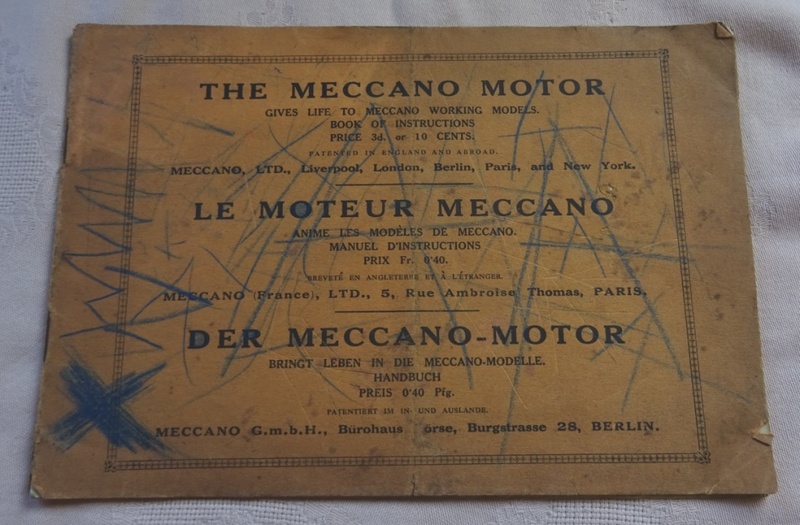 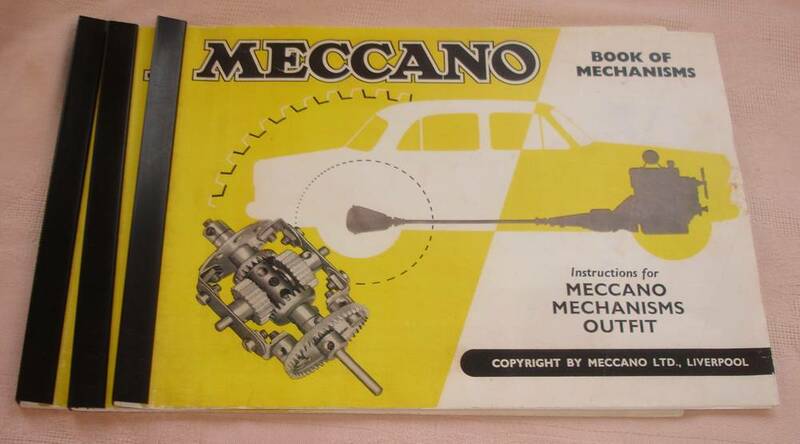 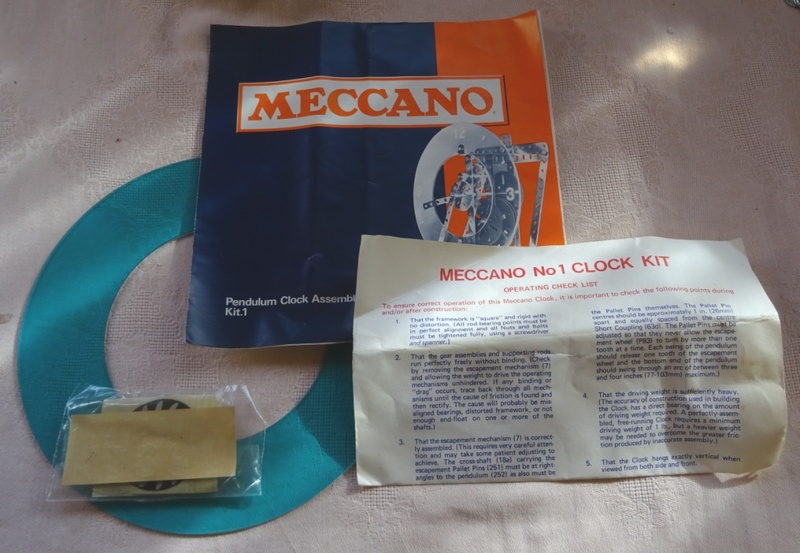 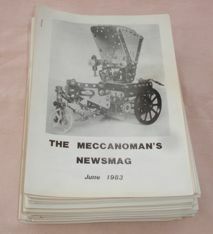 Meccano Motor Manual - Date No Idea! 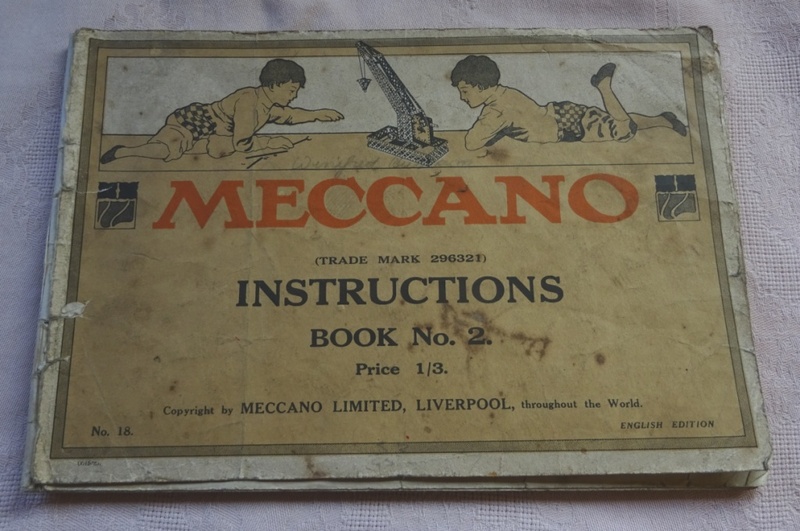 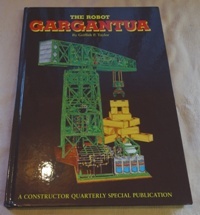 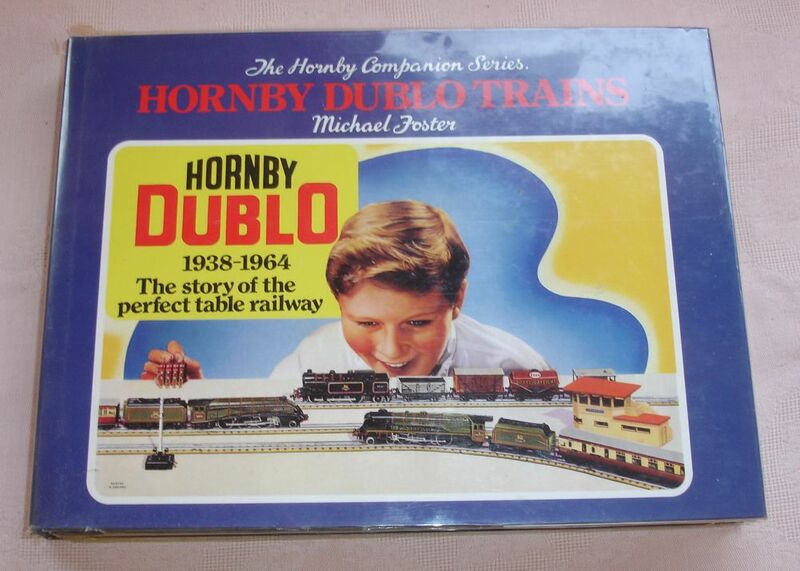 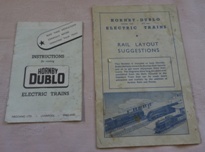 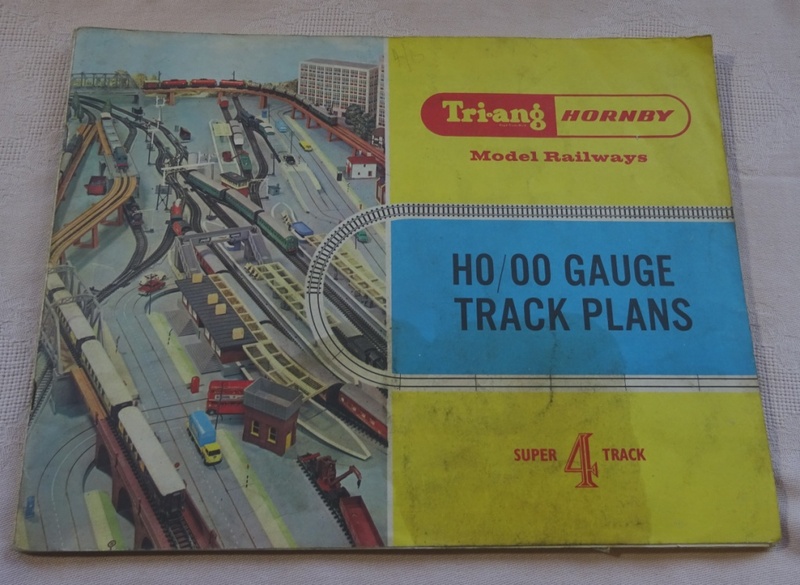 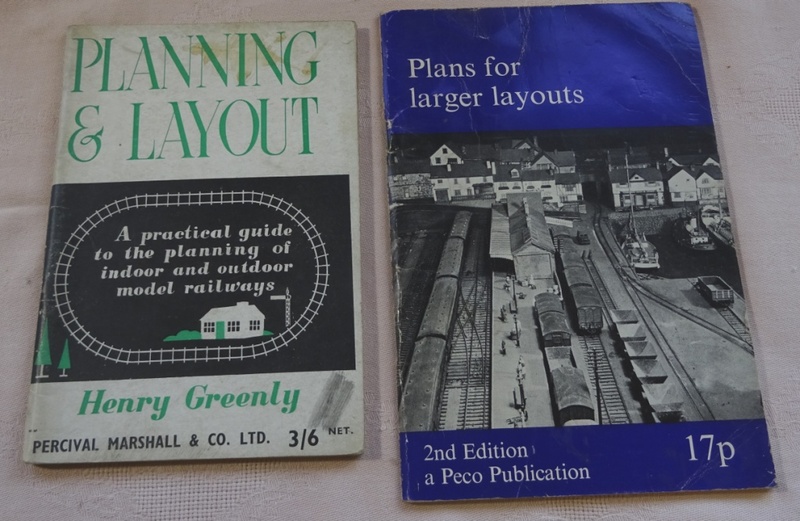 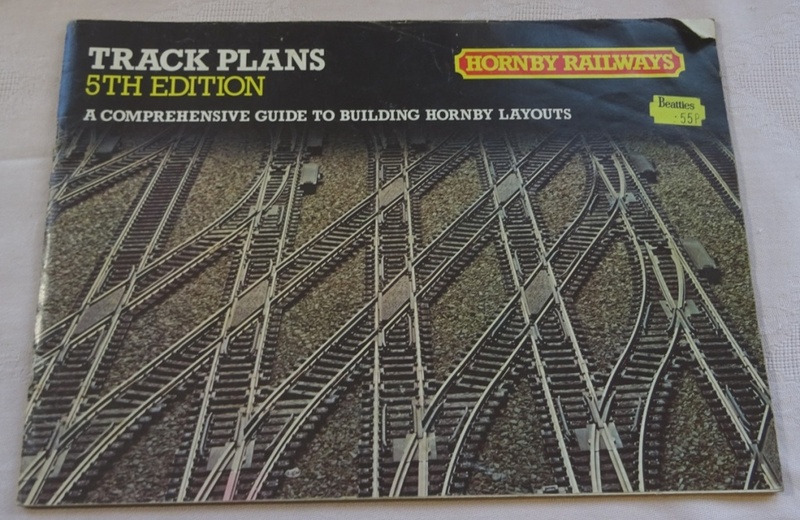 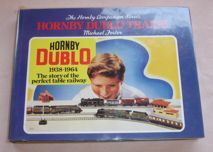 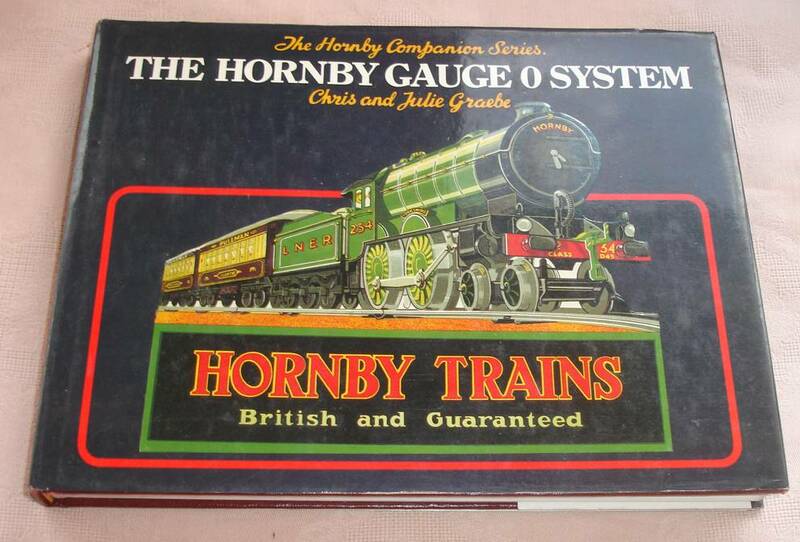 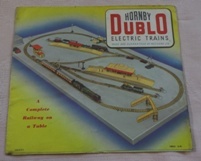 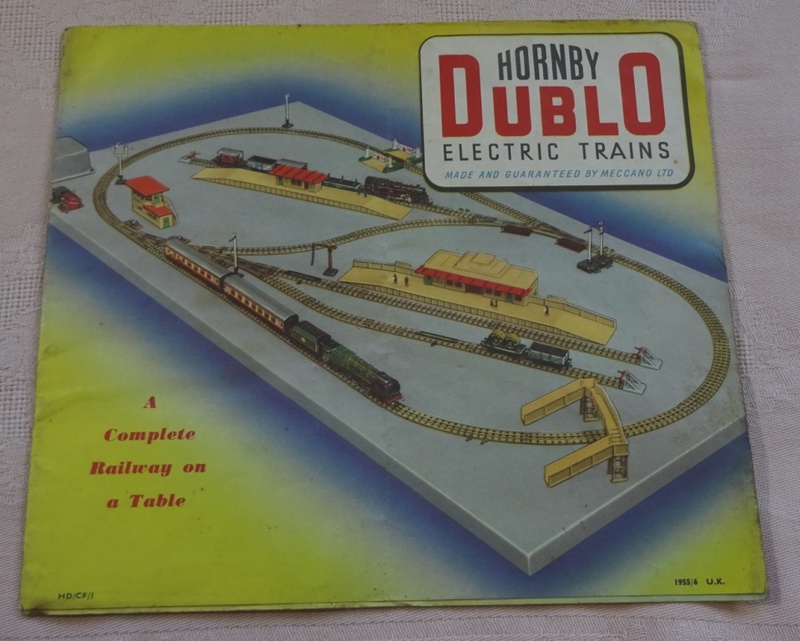 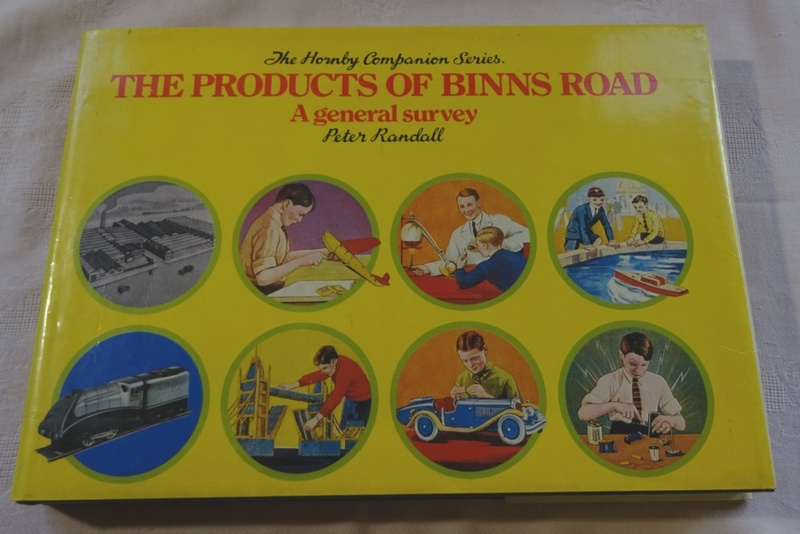 - Excellent Condition apart from scribble! 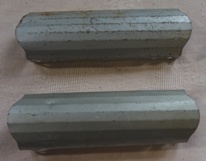 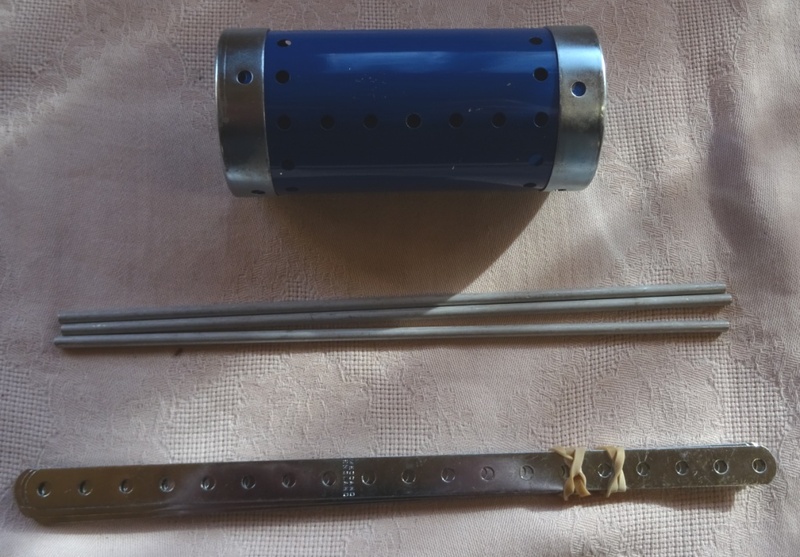 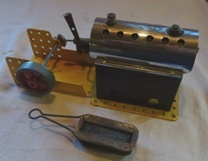 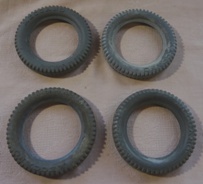 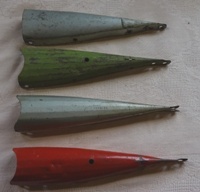 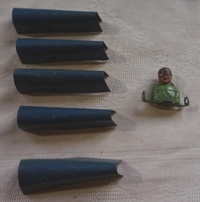 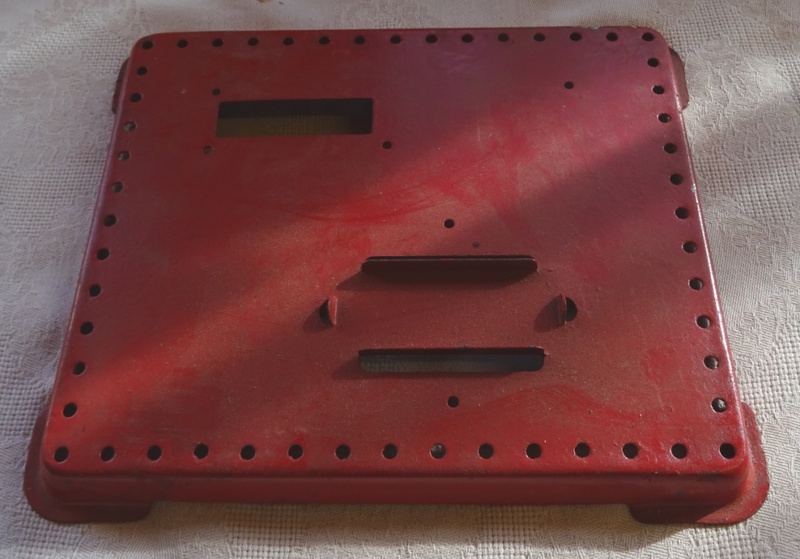 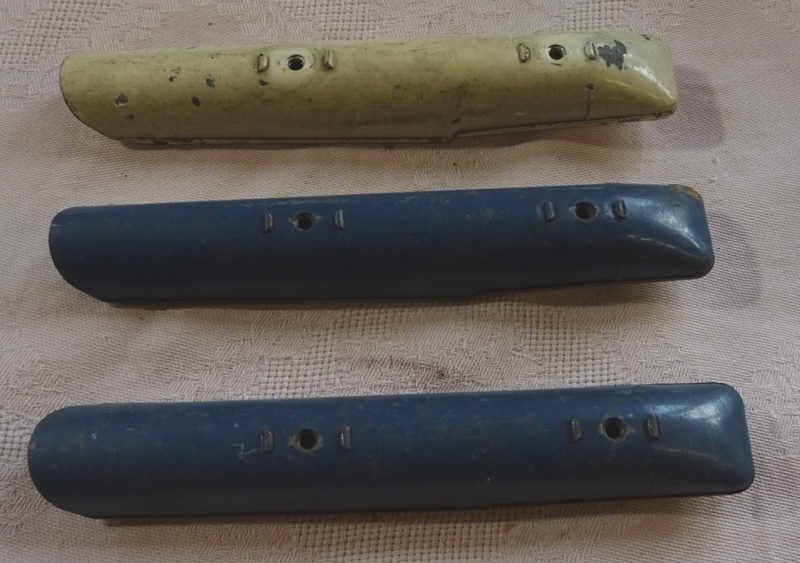 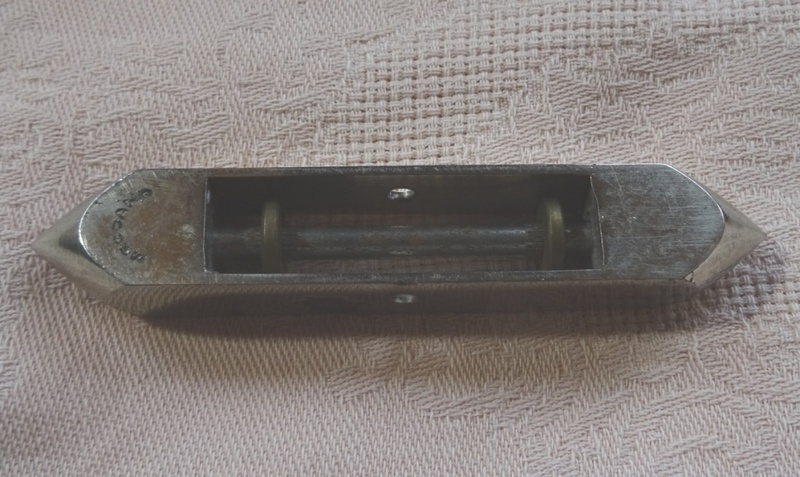 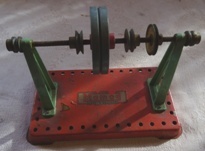 Mamod Buffers - One in Very Good Condition - hopefully can find missing parts for others. 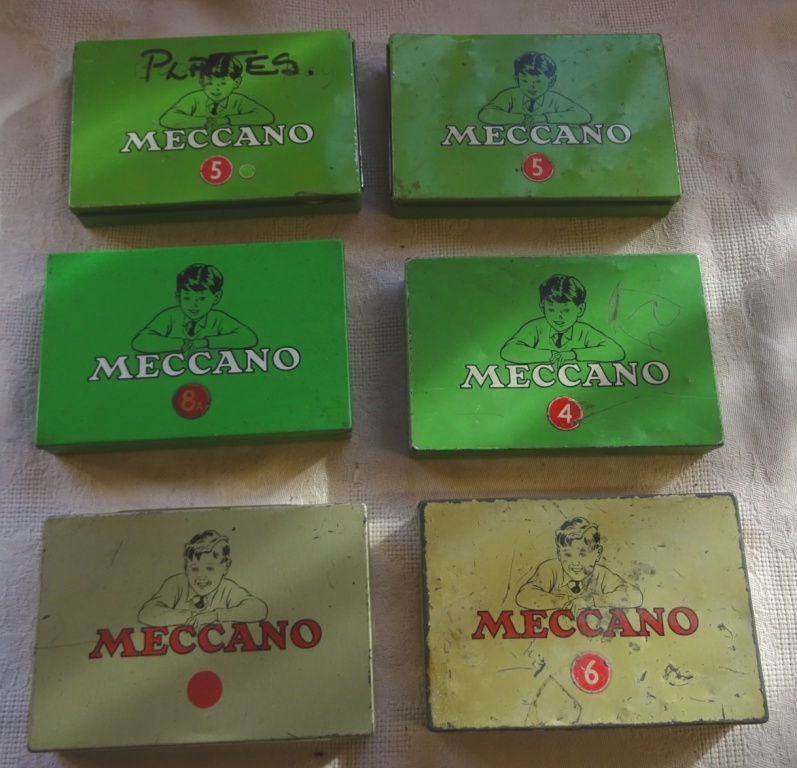 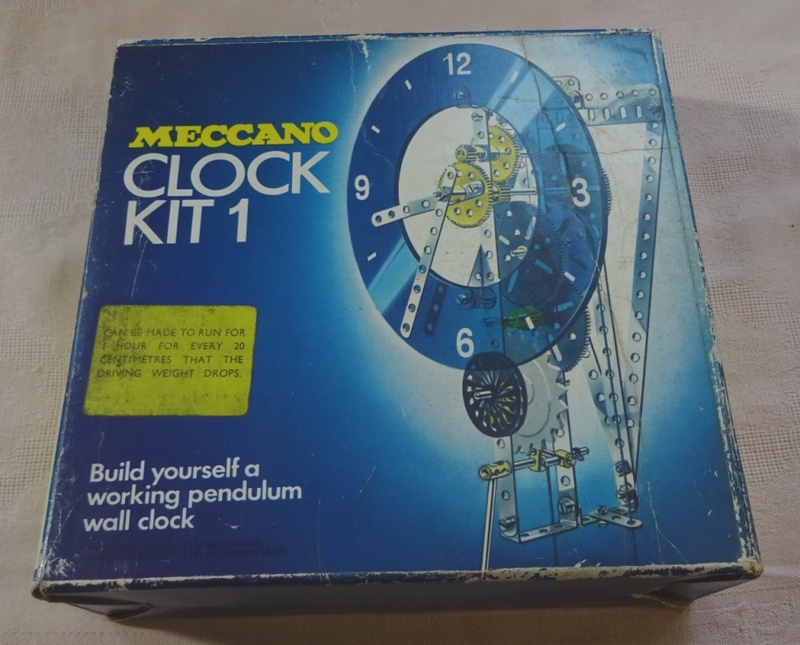 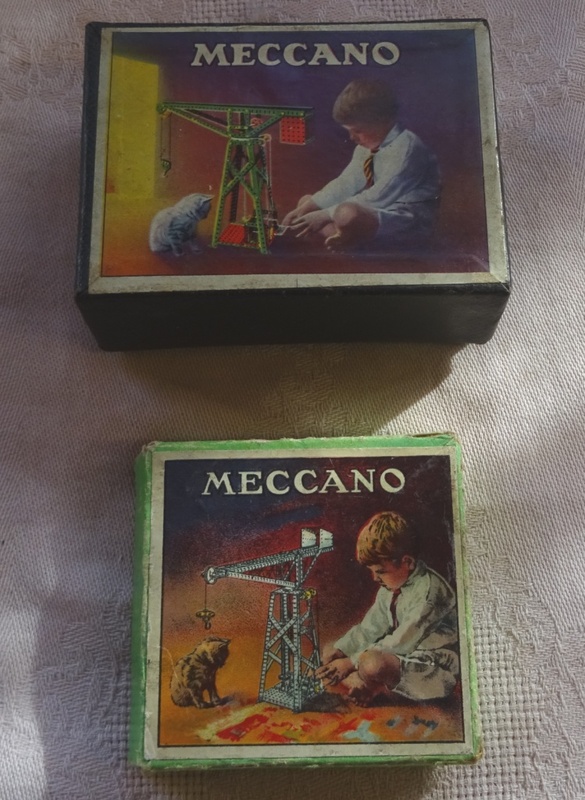 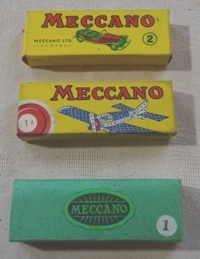 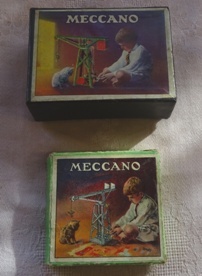 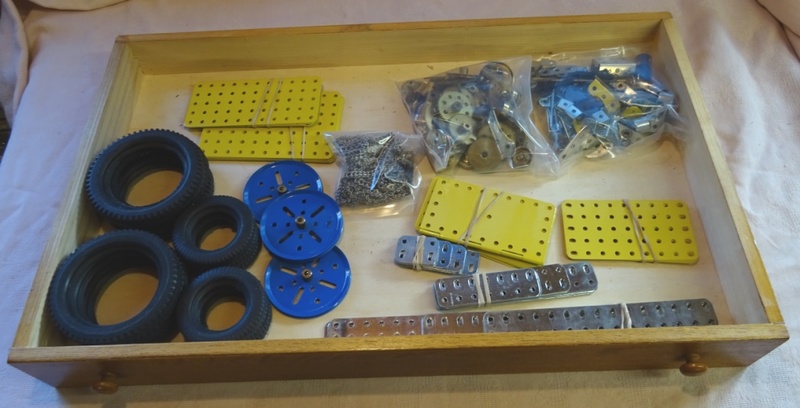 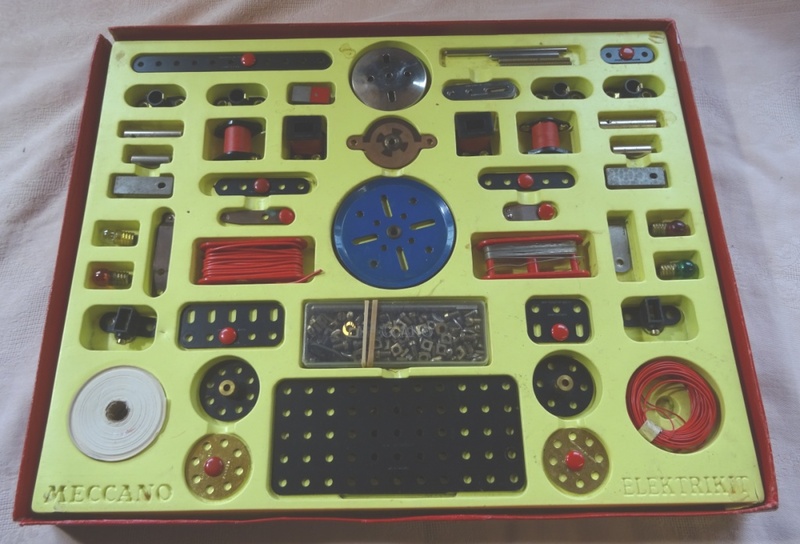 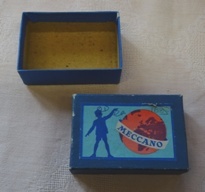 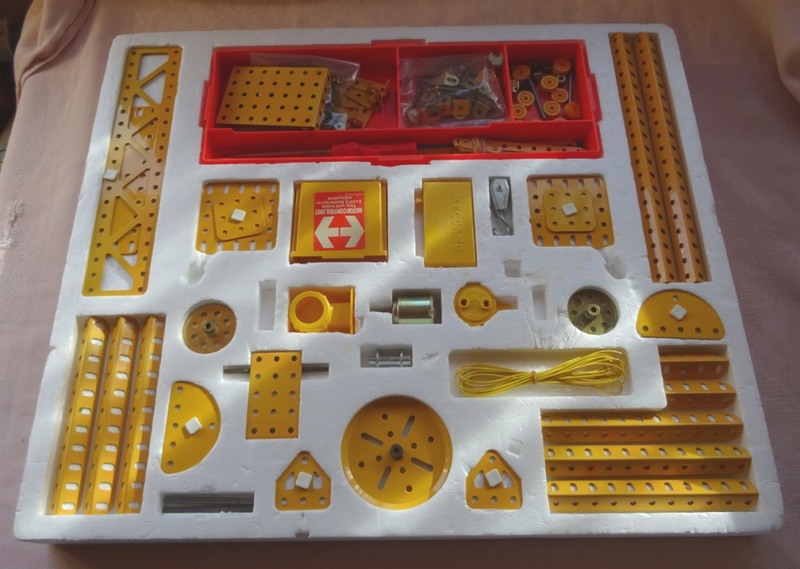 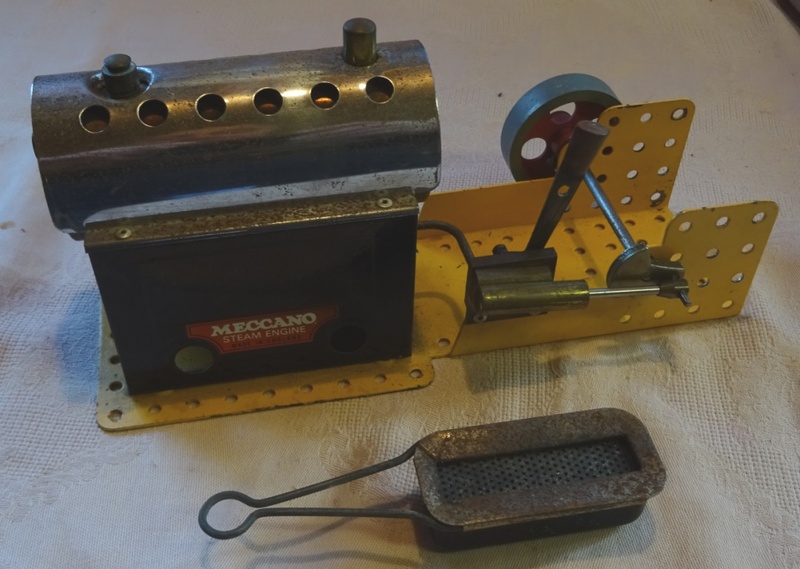 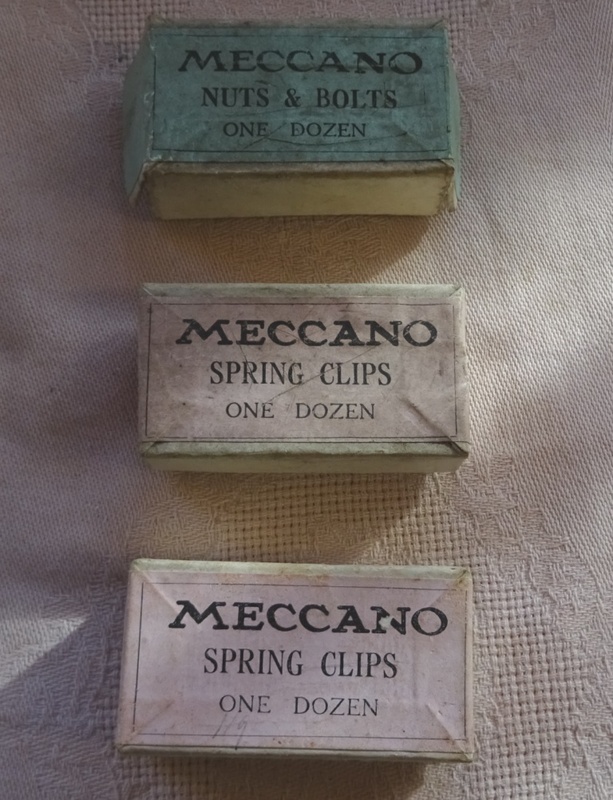 French No 10 Meccano Set - Yellow/Blue/Zinc - Near Mint Condition - Complete - with Original 5 Drawer Cabinet and Manuals - do not worry if you see a few bits missing as I'm still sorting it out - replacing a few English bits with French bits! 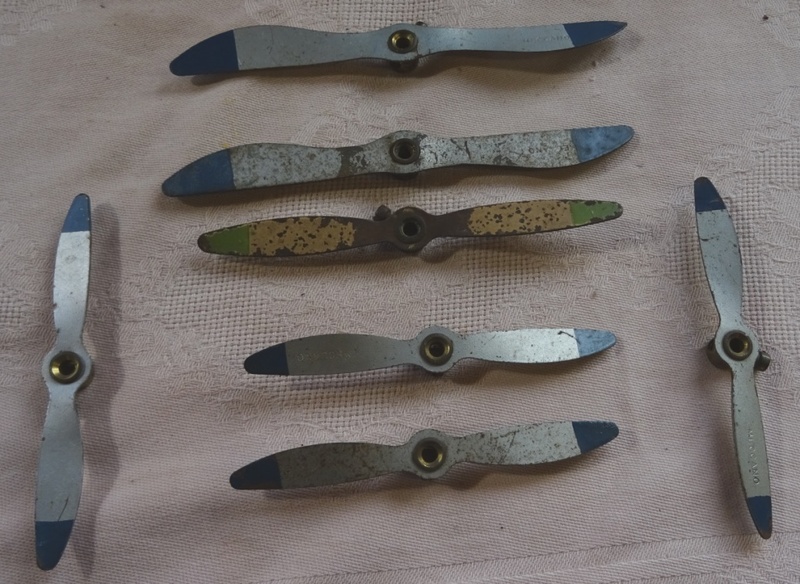 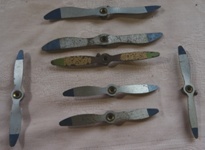 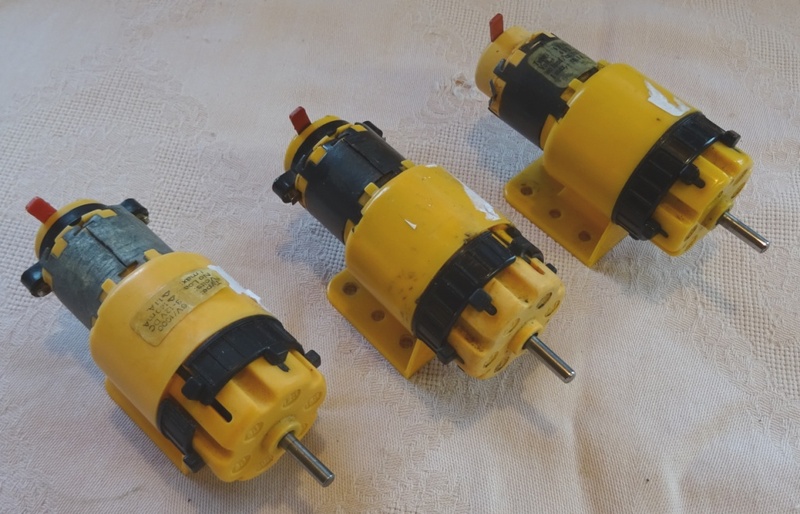 M5 or 6 Speed Motors - excellent condition as all 6 gears work! 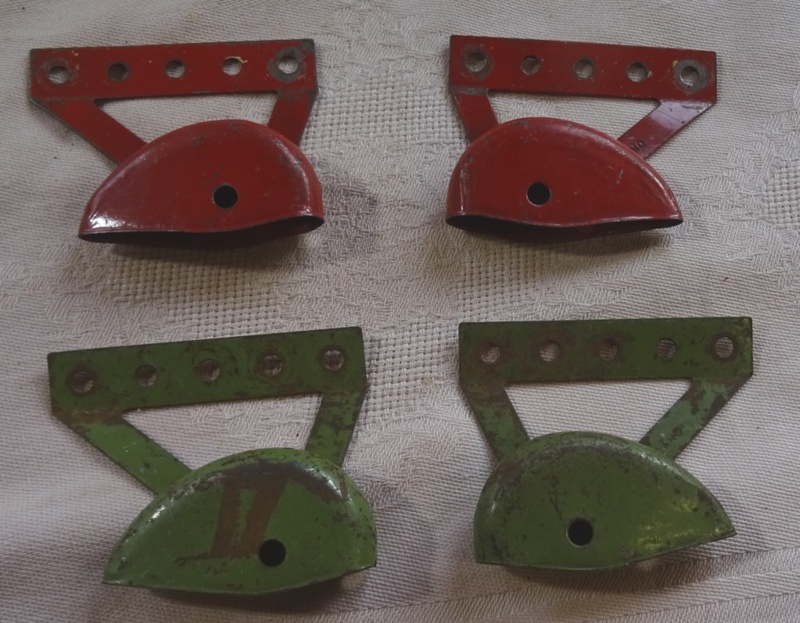 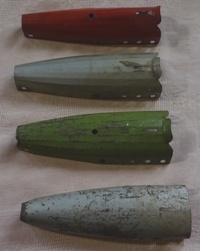 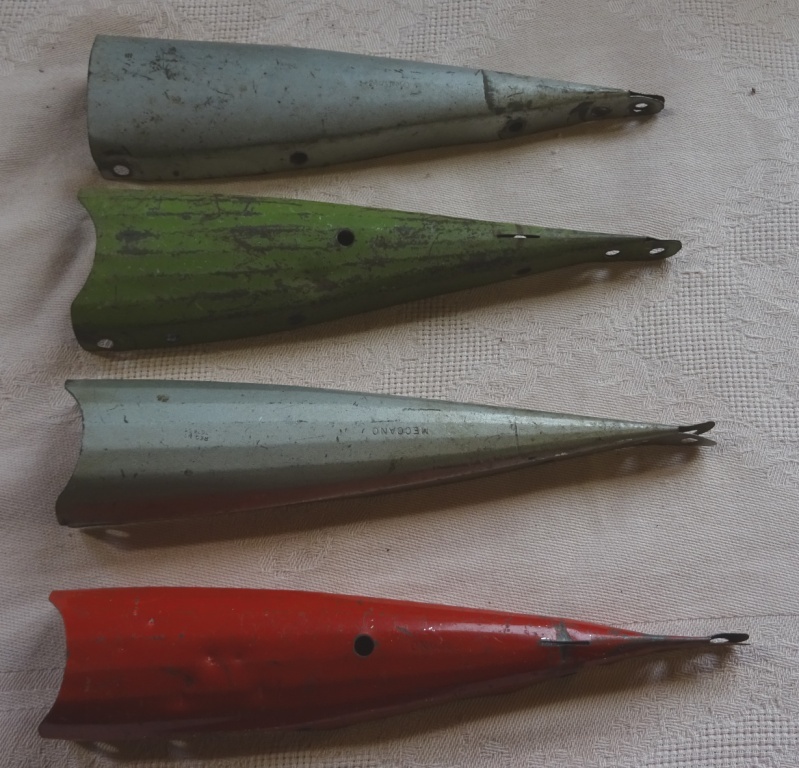 Digger Buckets - All in Excellent Condition - No Broken Lugs! 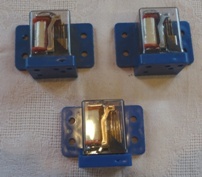 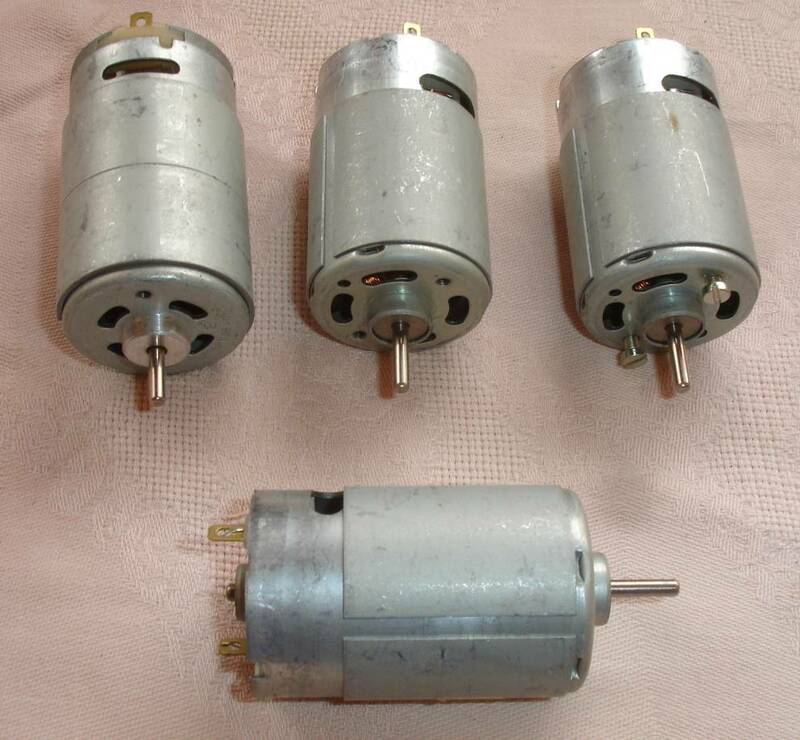 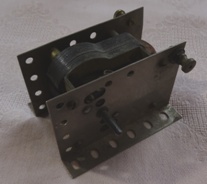 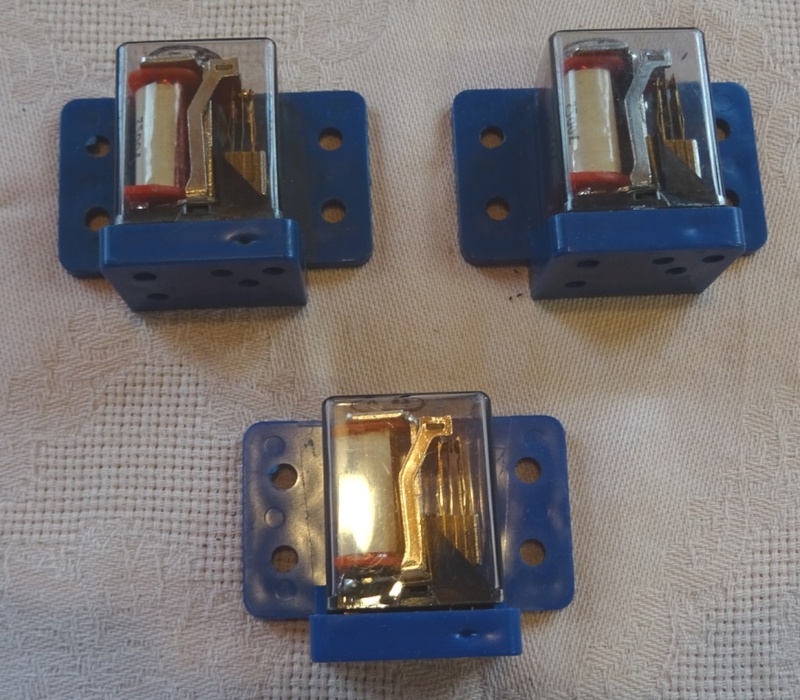 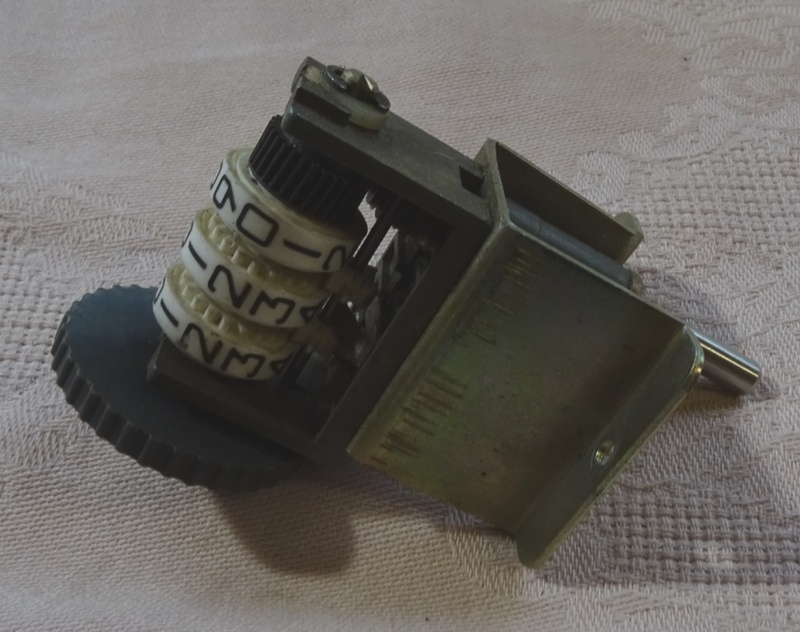 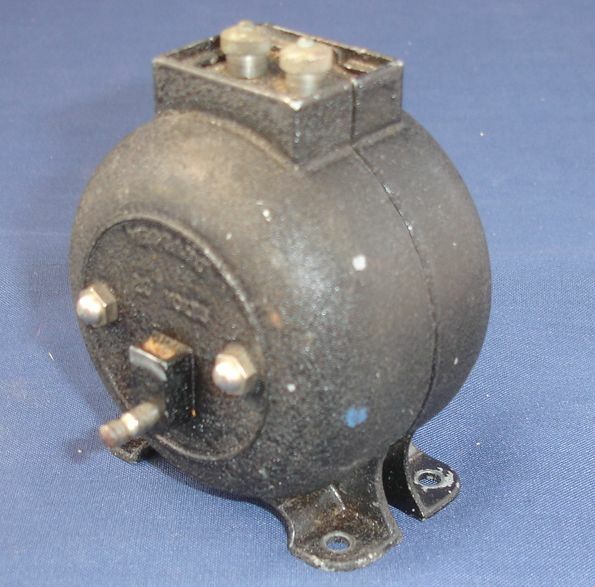 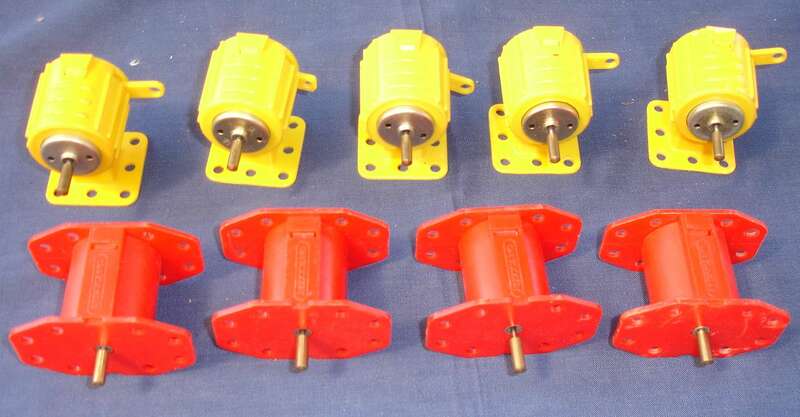 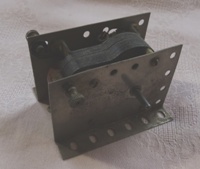 French 12 Volt Motors - Excellent Condition - Only 3 Left! 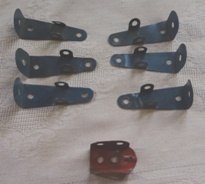 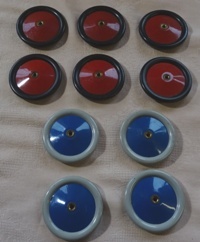 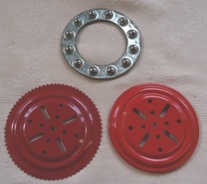 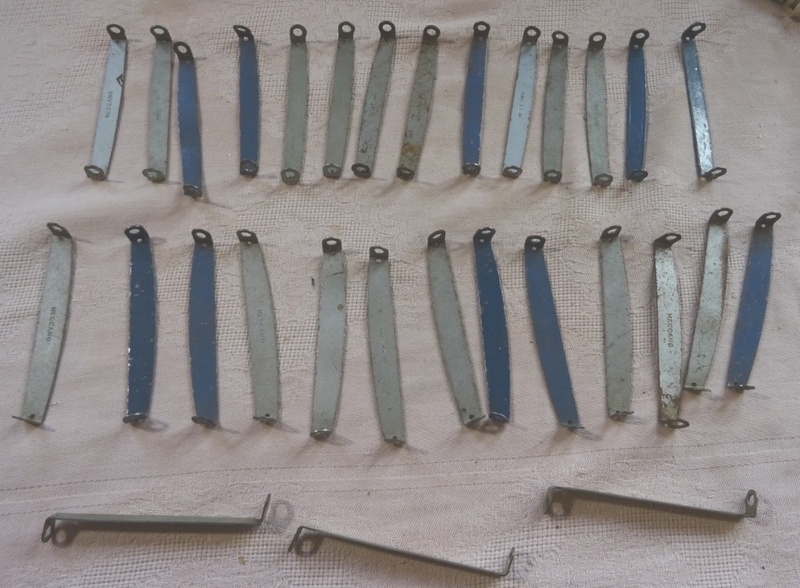 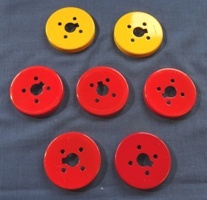 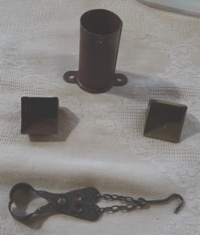 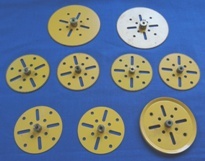 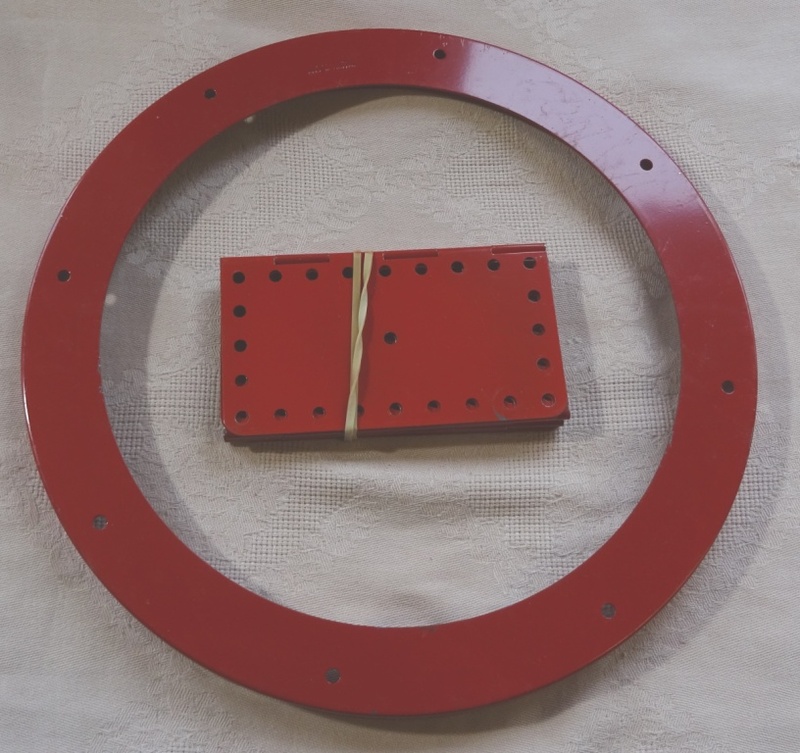 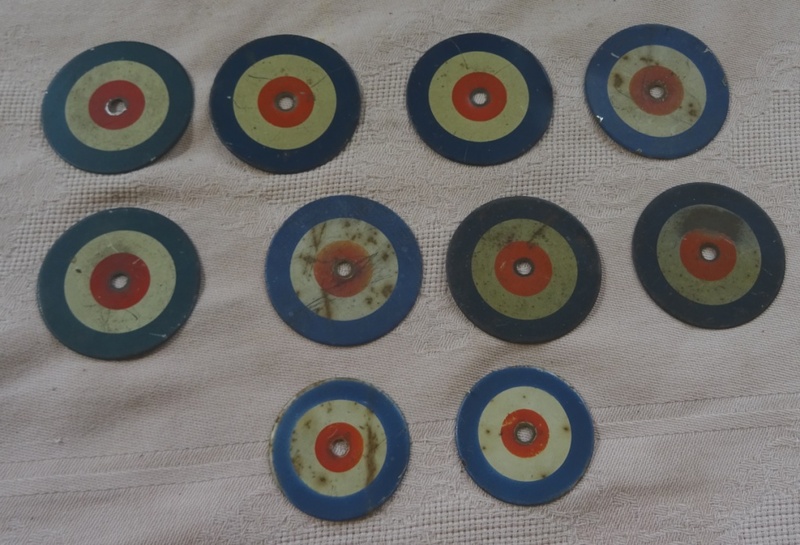 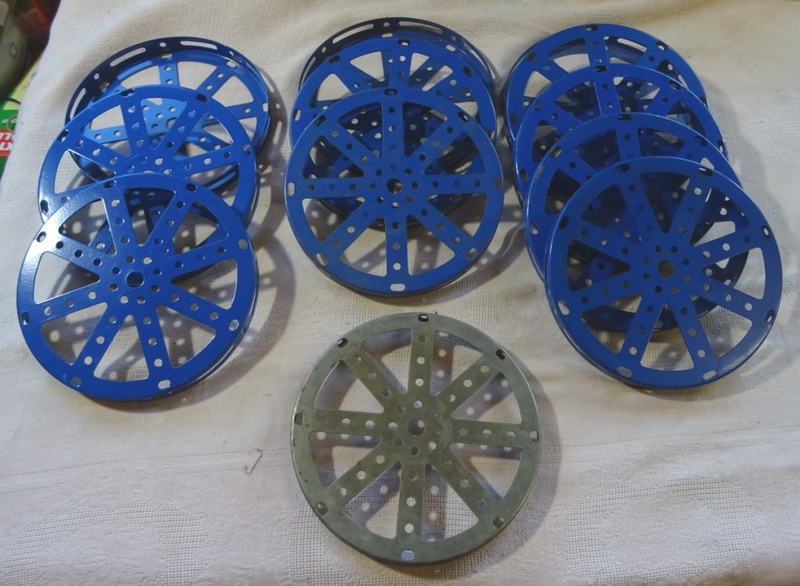 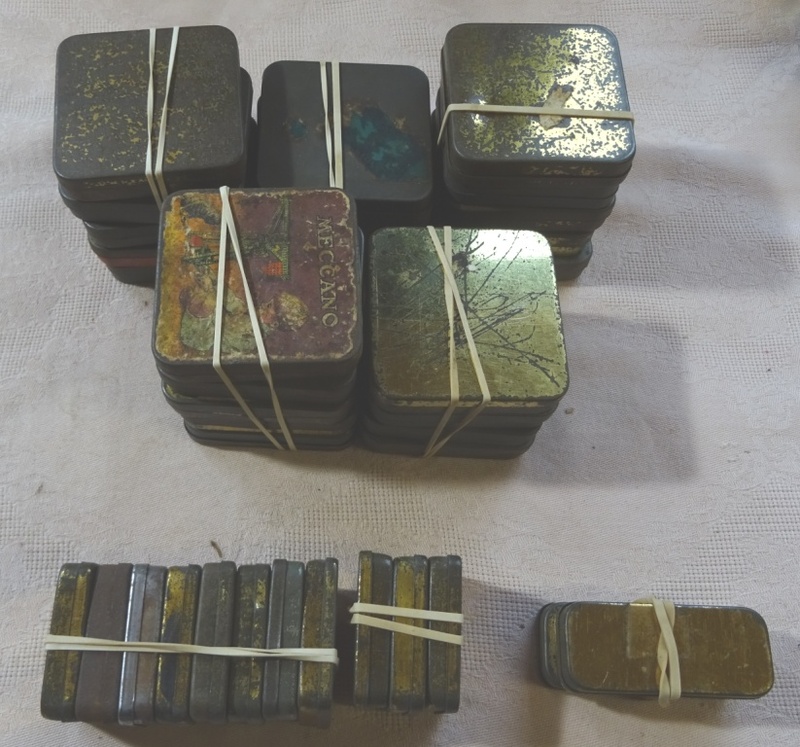 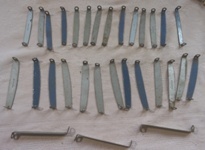 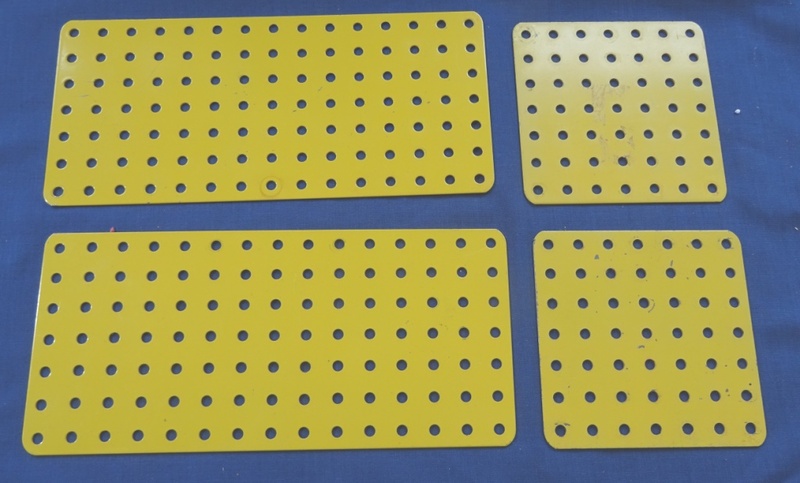 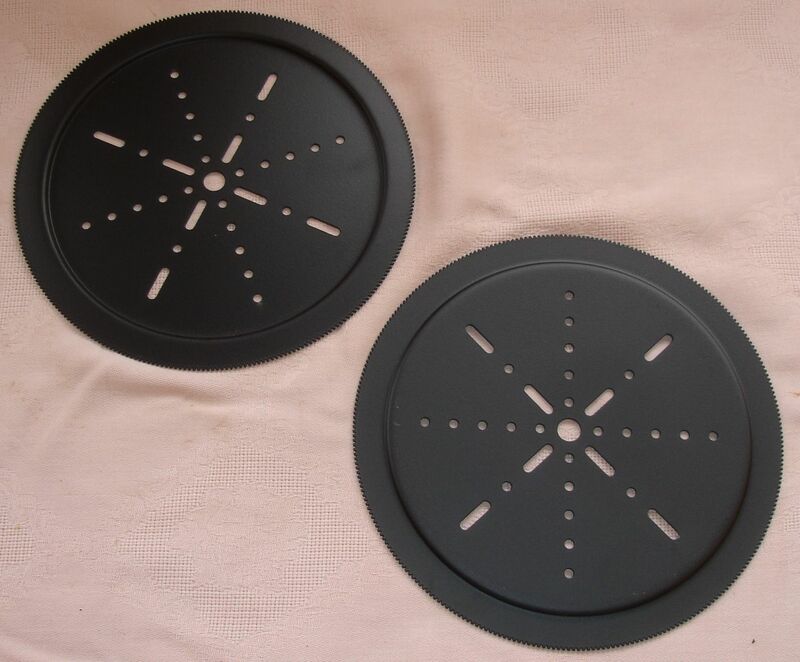 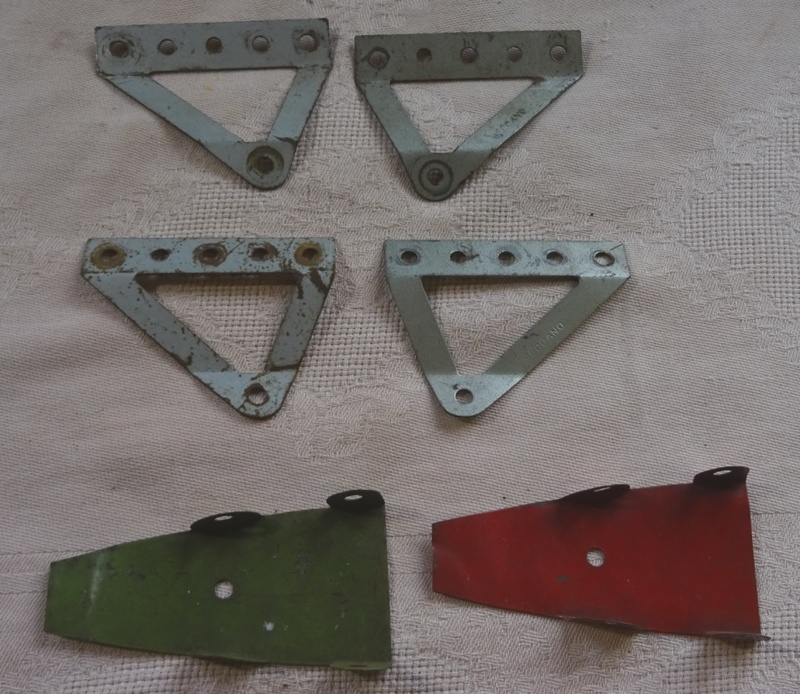 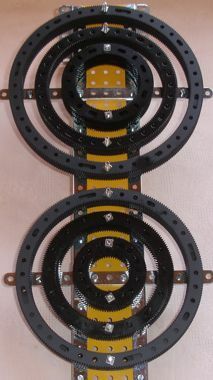 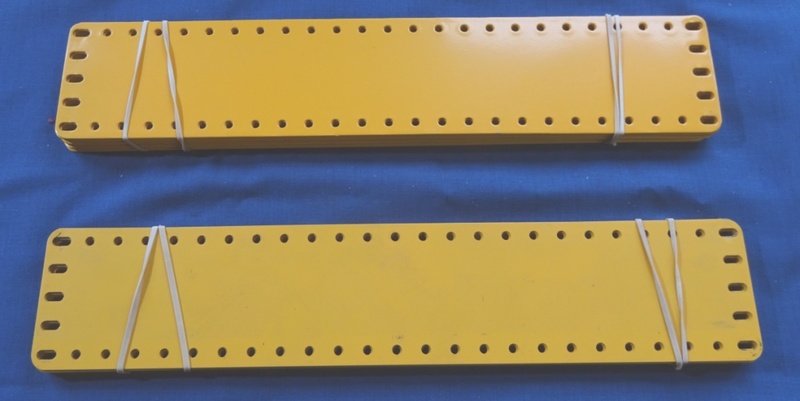 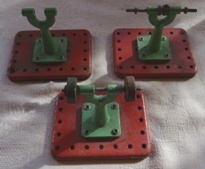 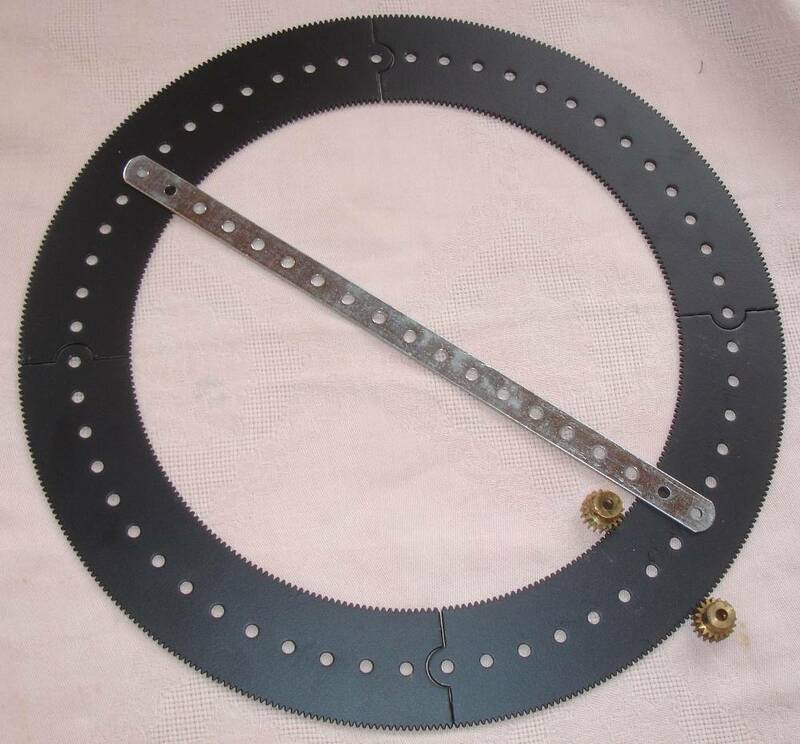 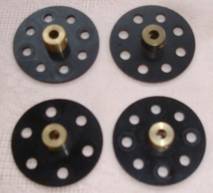 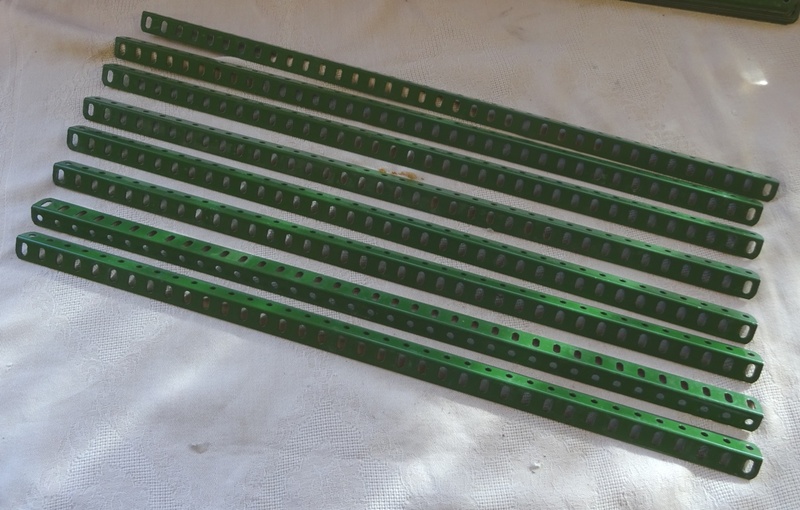 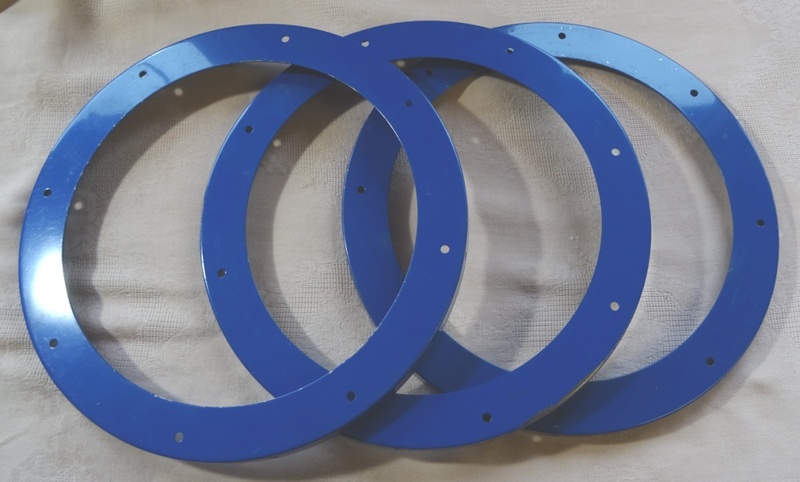 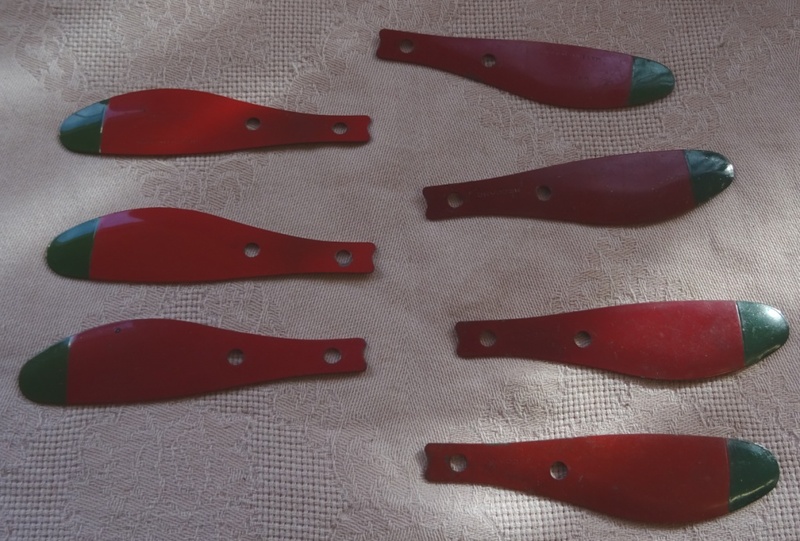 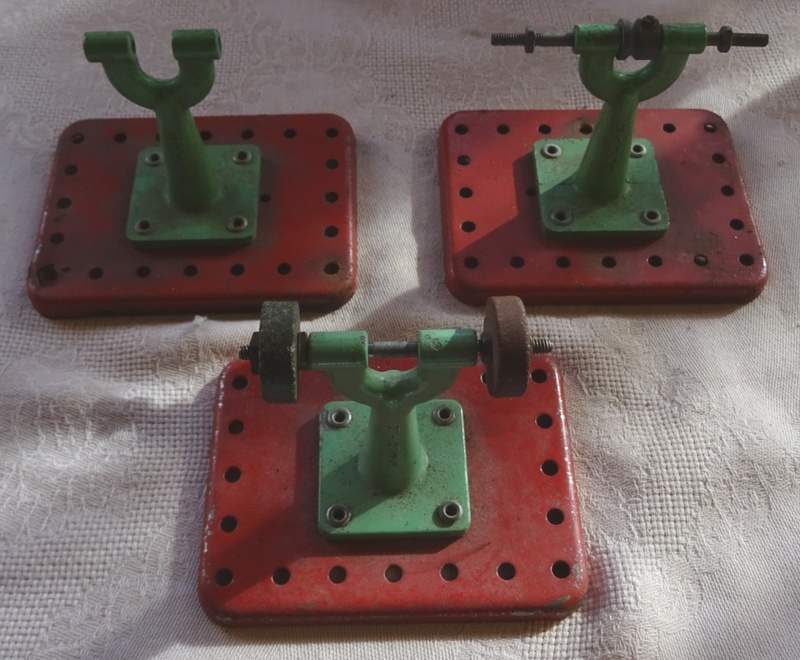 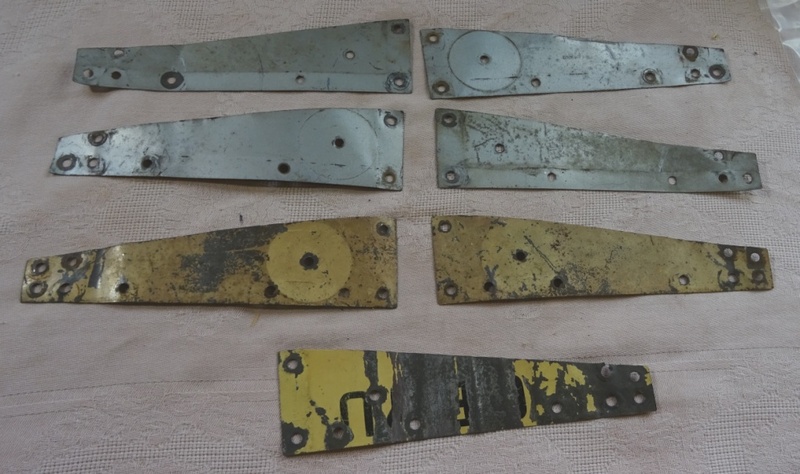 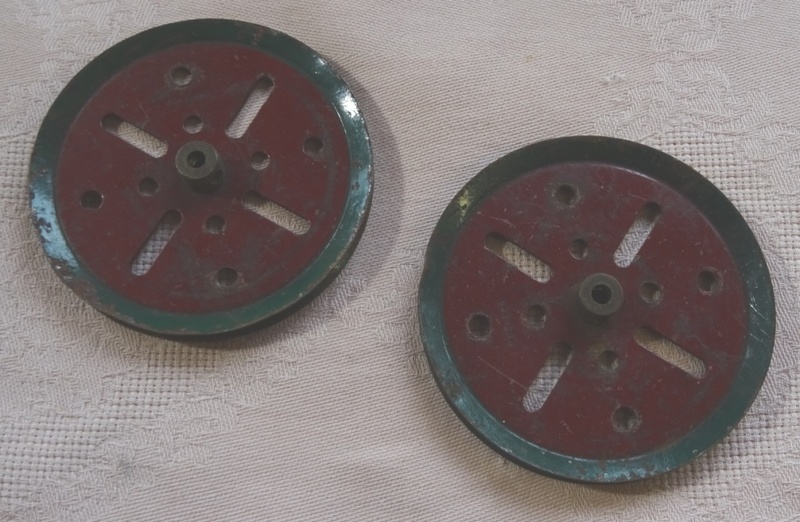 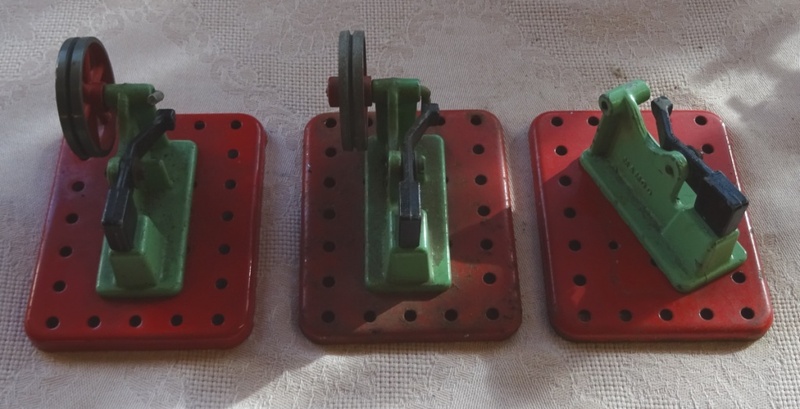 Roller Bearing Plates - Red, Green, Blue & Yellow - Powder Coated and in Mint Condition - Black or White now available (photo to follow) if anyone wants them. 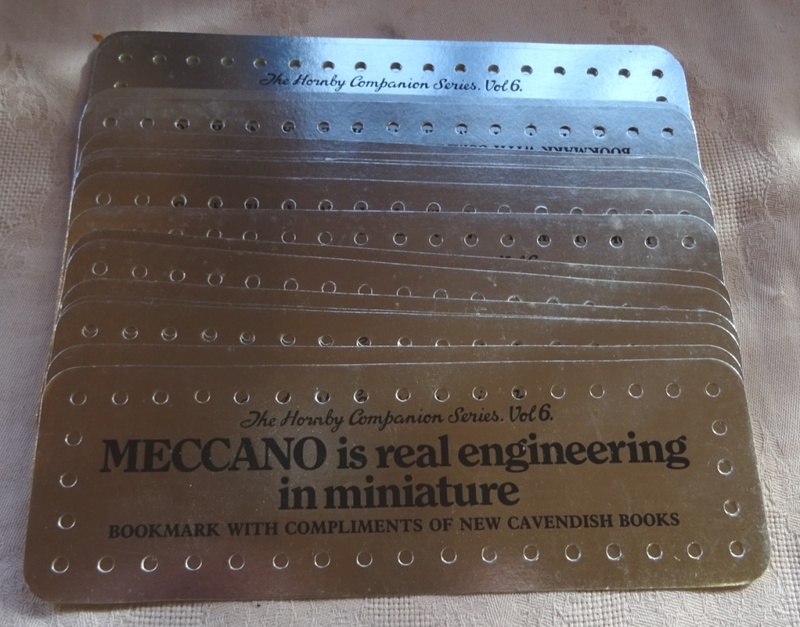 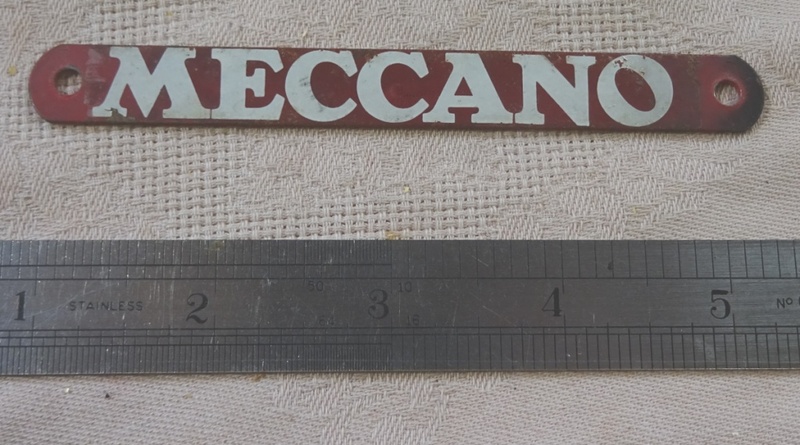 NEW PRODUCT - MECCANO Signs - 12.5" x 2.0" - professionally produced with Vinyl Letters on 5mm Foam PVC - with and without holes - come on lads they are great! 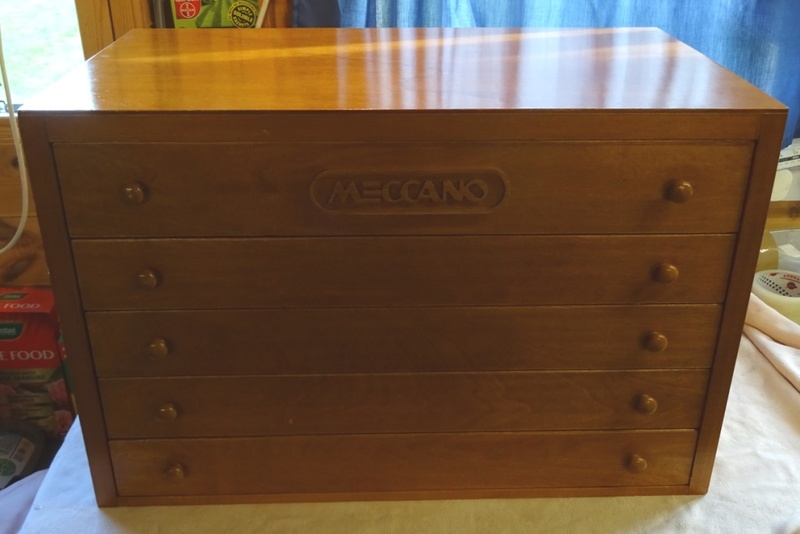 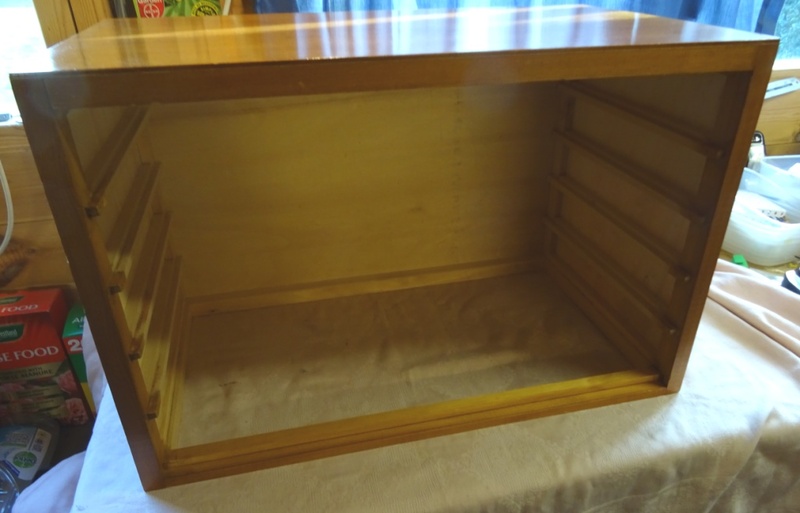 6 Drawer Dealers Cabinet in Dark Red (Pre War) - Excellent Condition - Excellent Paintwork - some veneer damage to bottom left side - All Original Knobs (2 types) - Originally Used in Meccano Workshops (signed property of Meccano in top drawer) - All Drawer ABCDEF Tags Attached - 2 partitions missing will replace. 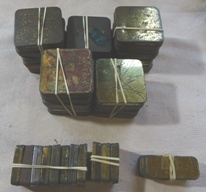 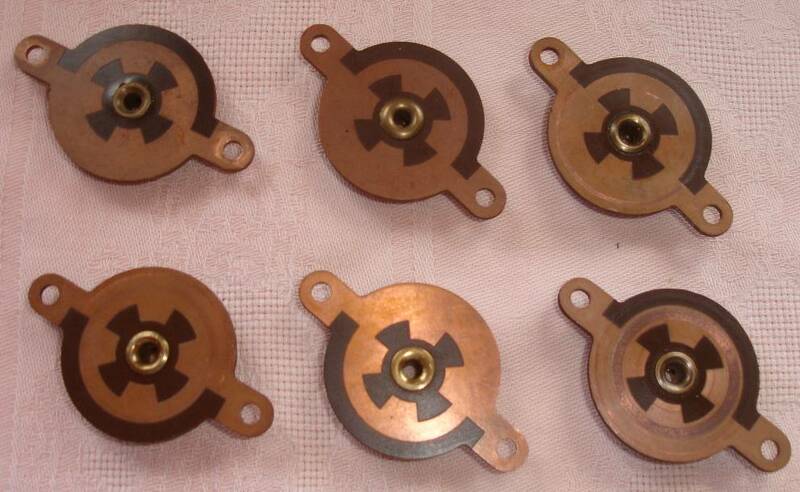 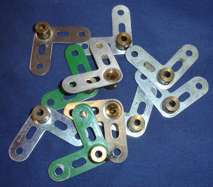 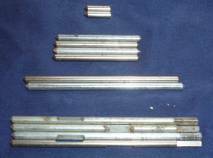 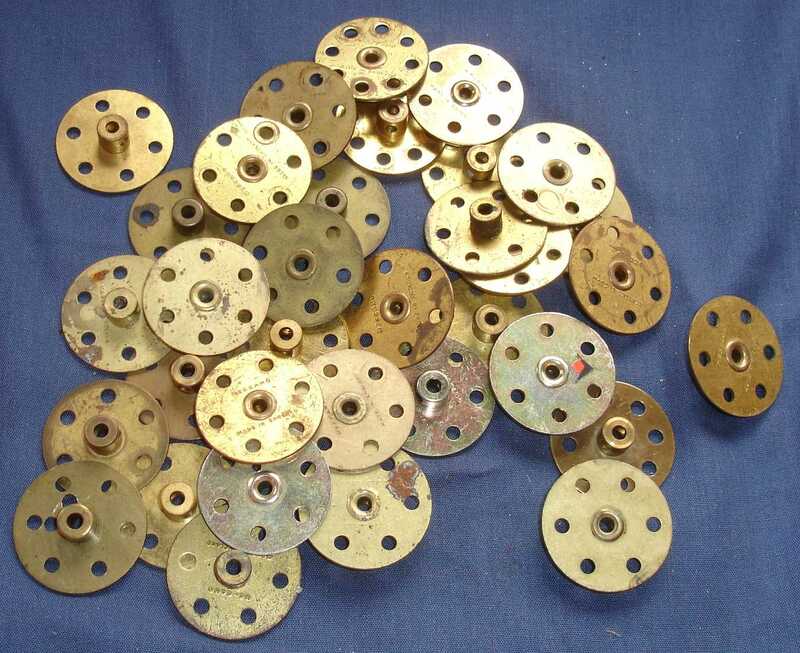 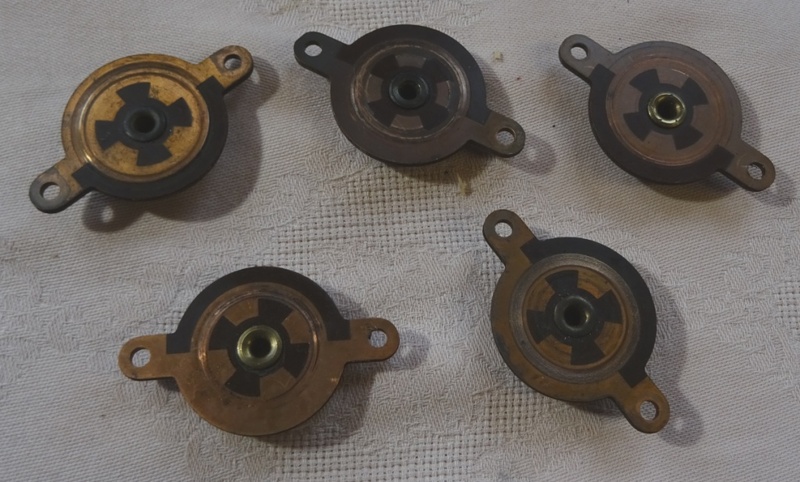 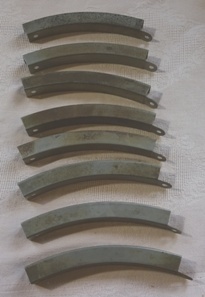 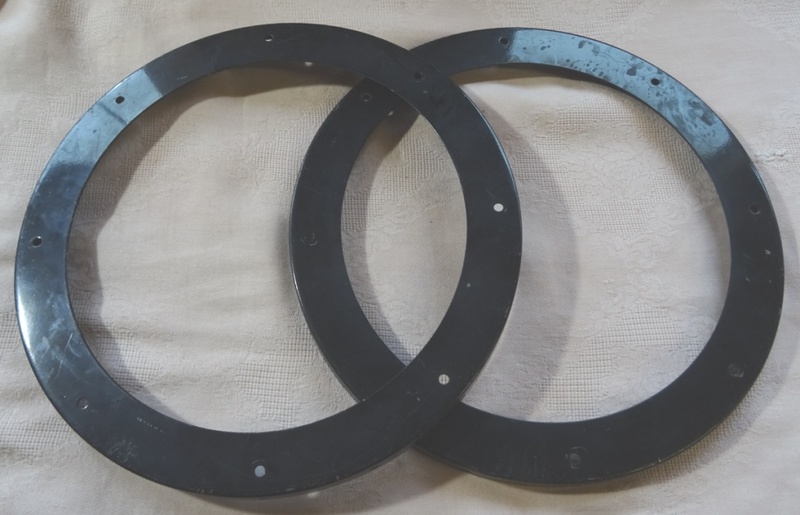 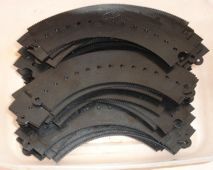 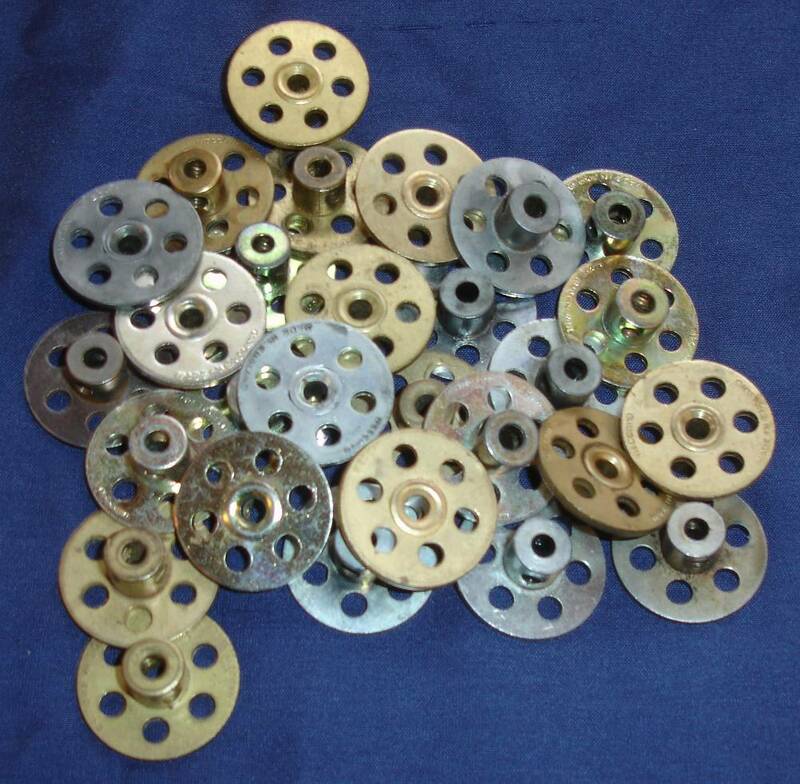 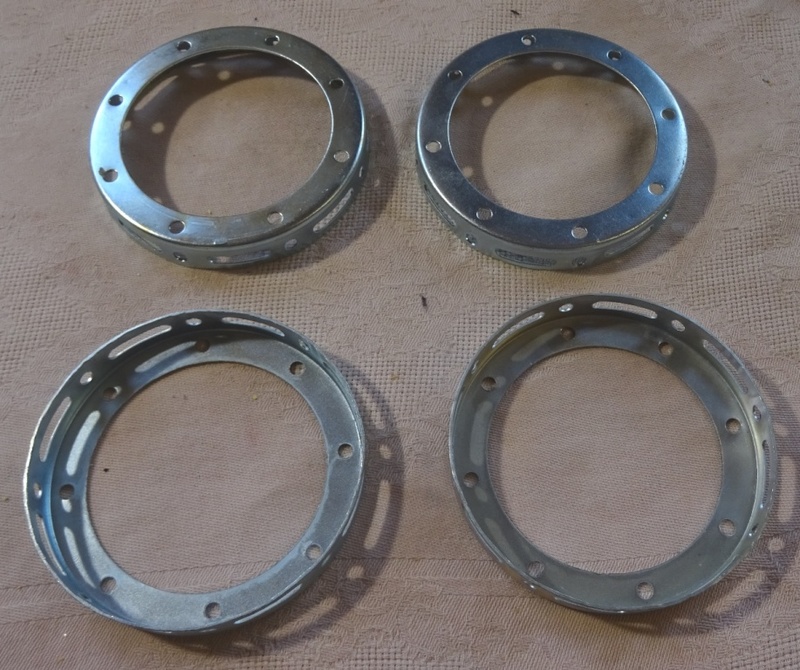 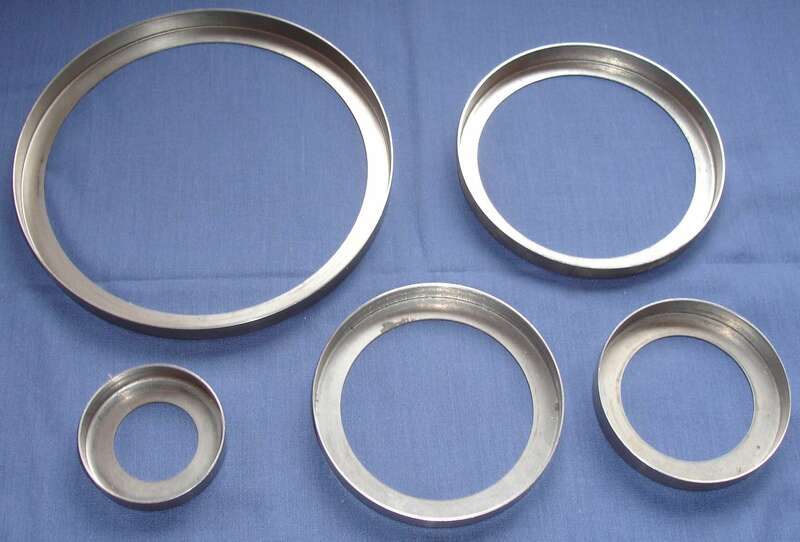 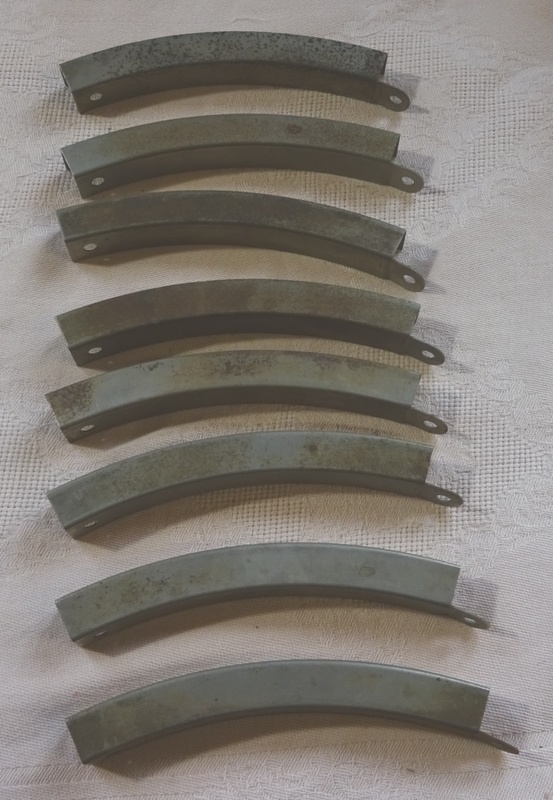 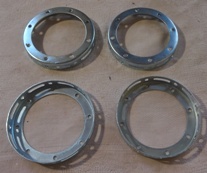 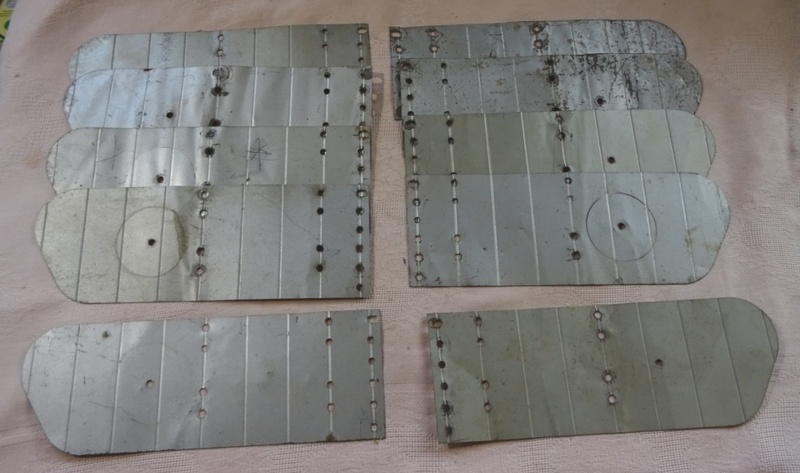 Roller Bearing Plates x 50 - bare metal - now sold 450 of these excellent repro plates - so can offer customers a really good price on them. 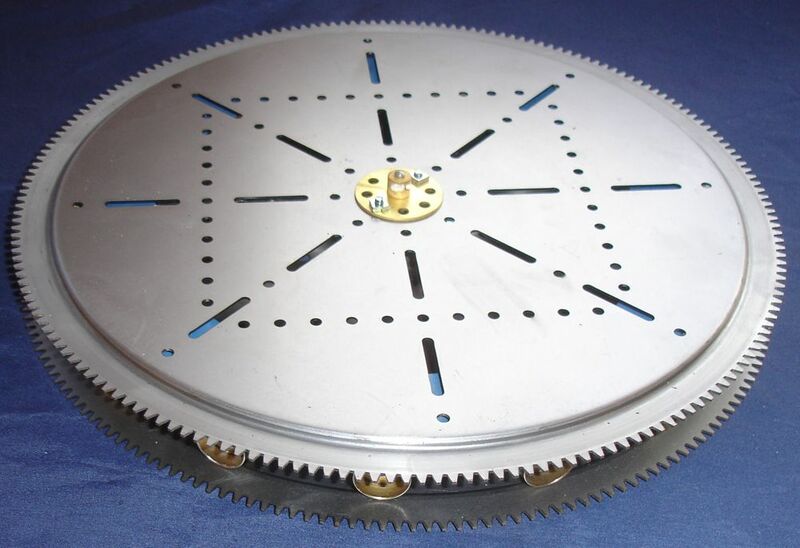 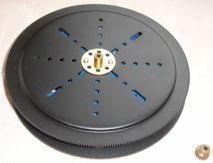 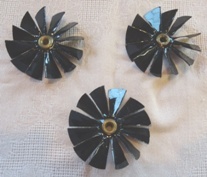 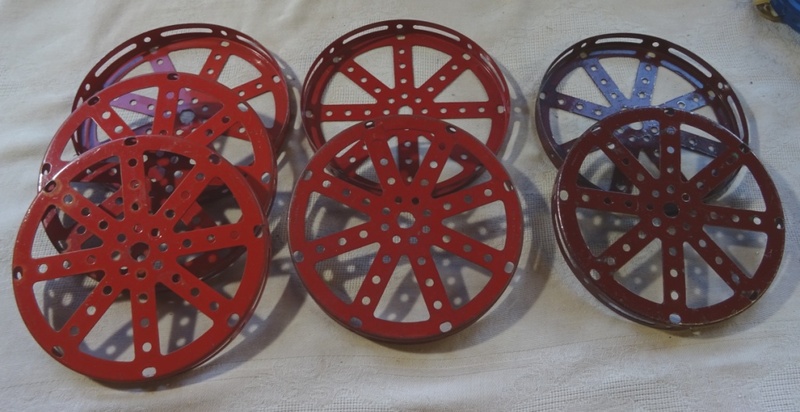 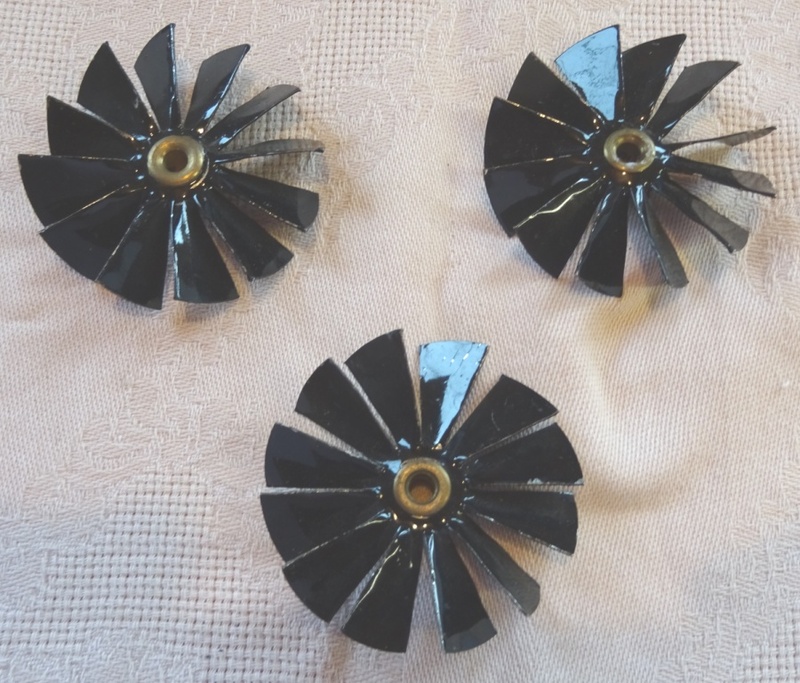 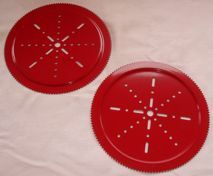 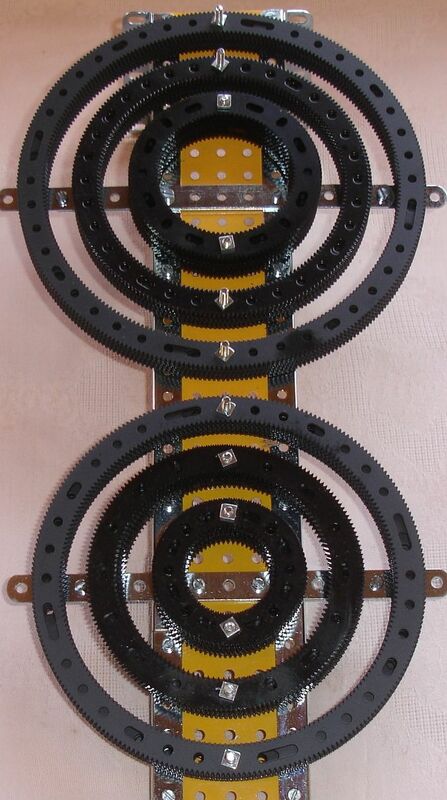 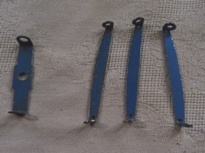 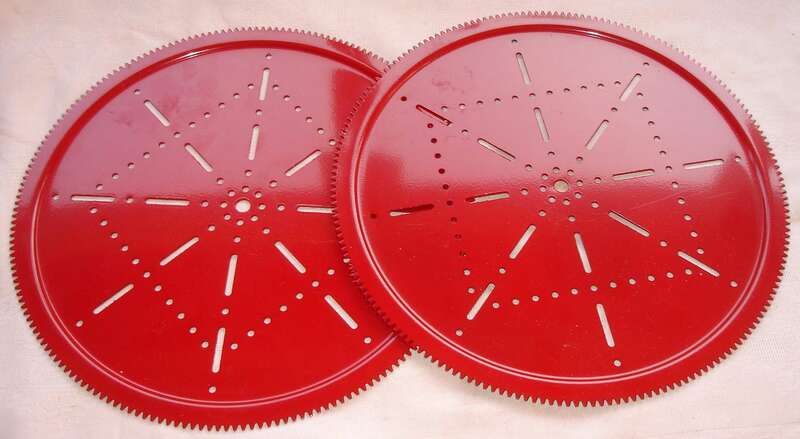 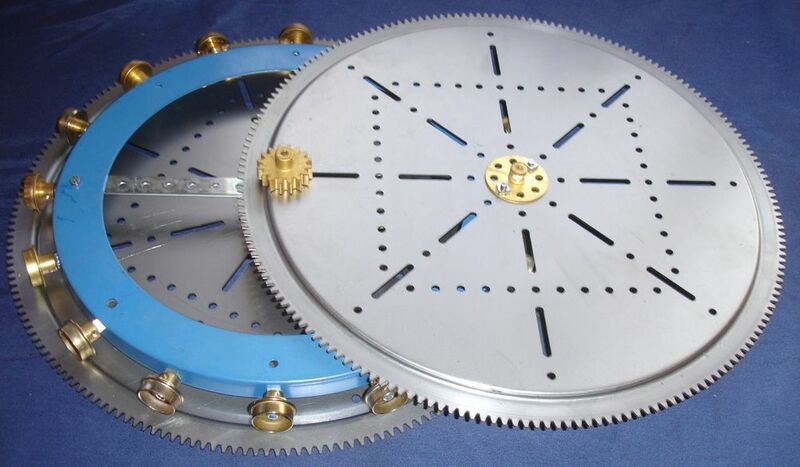 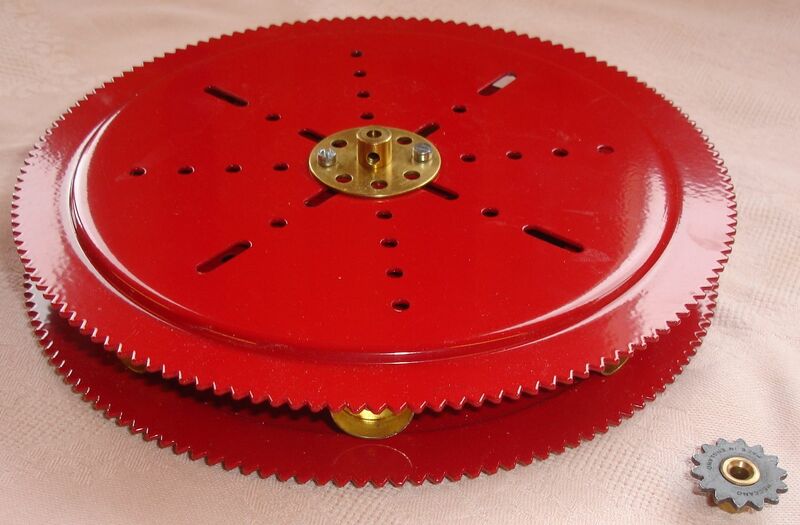 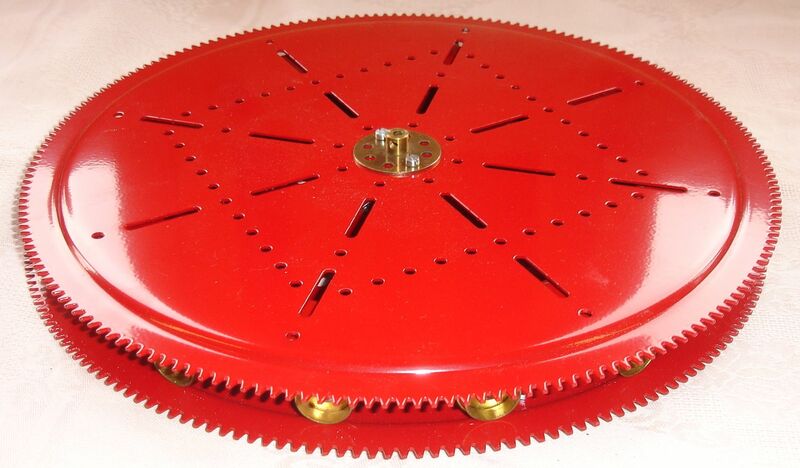 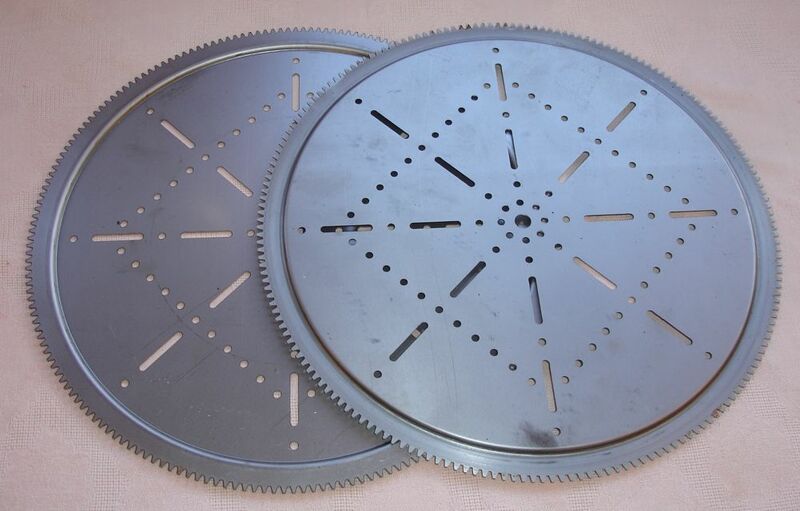 9.5" Centred Quadrants - excellent finish - external 400 teeth - internal 284 teeth - 19 toothed pinion drive shown with centres 7.5" and 11.5"
NOW - RED & BLUE COLOURED CHANNEL RINGS @ £20.00 each - photo to come. 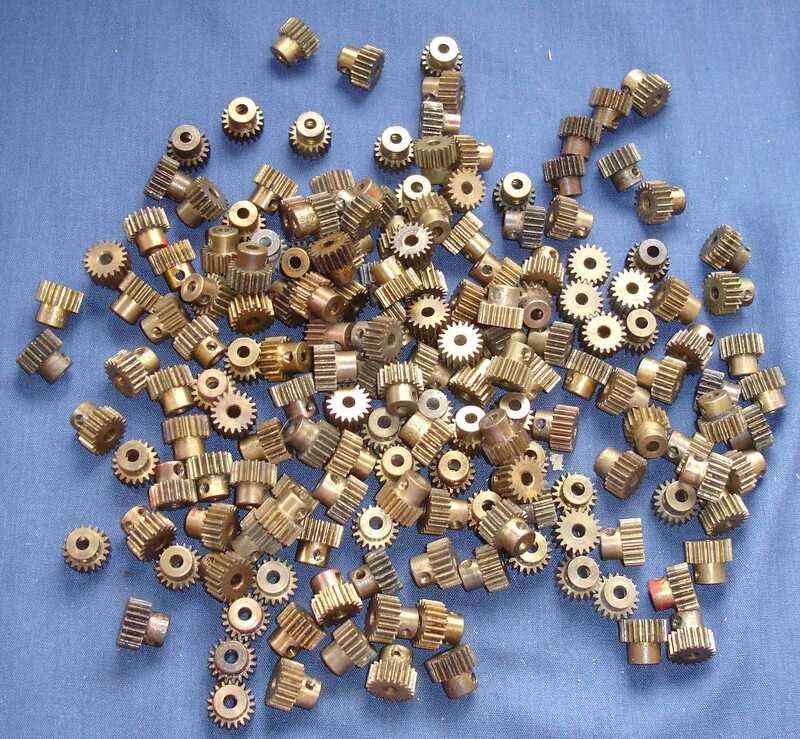 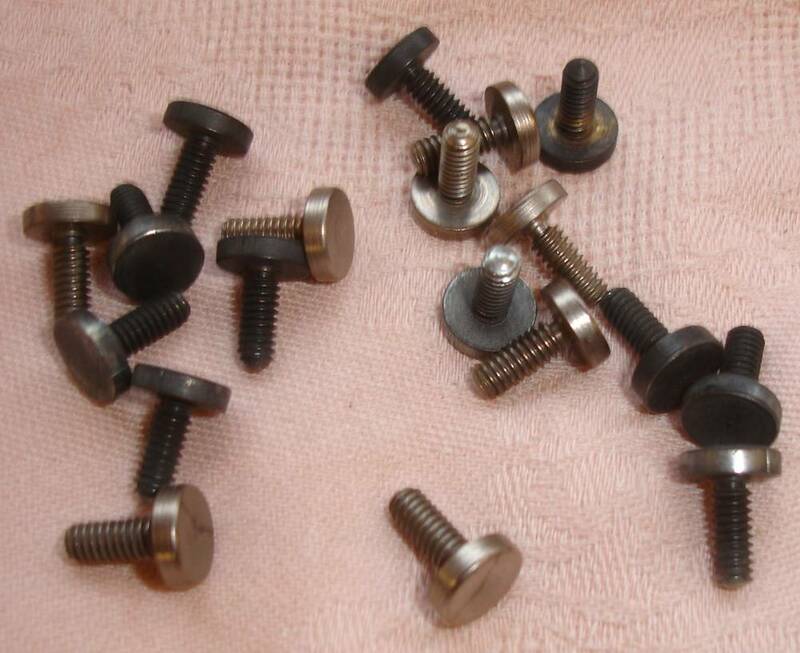 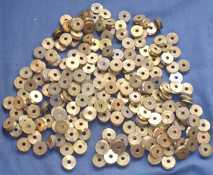 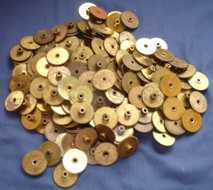 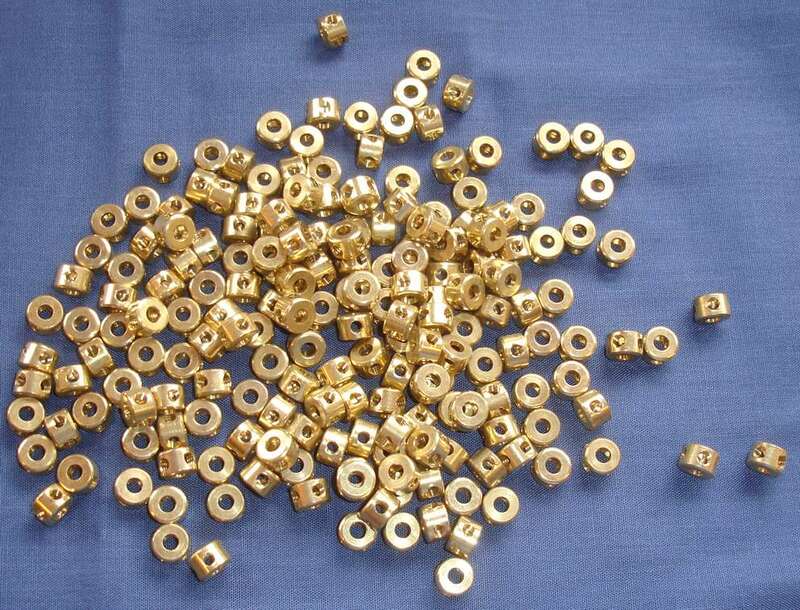 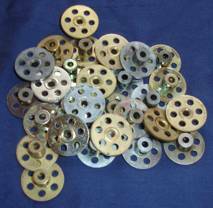 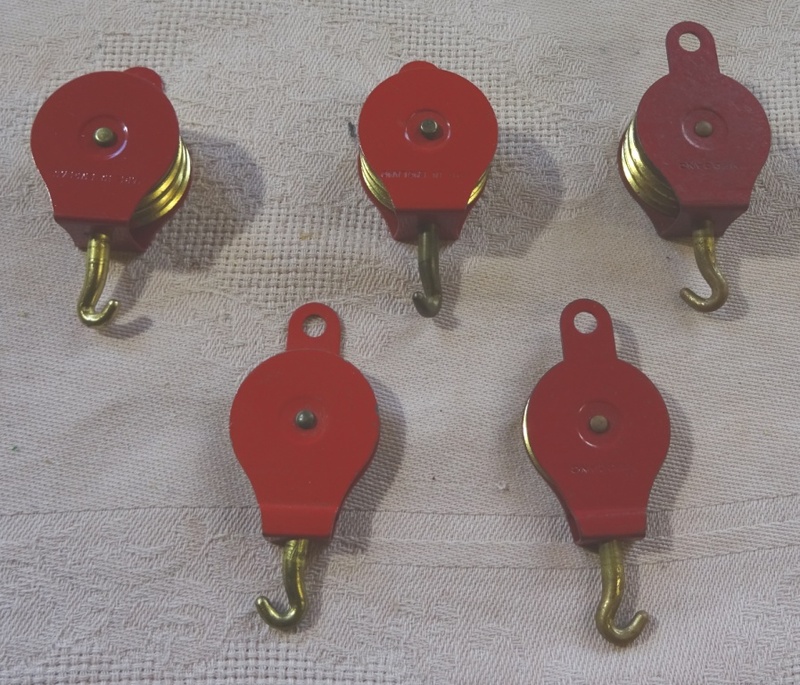 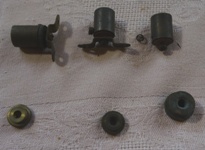 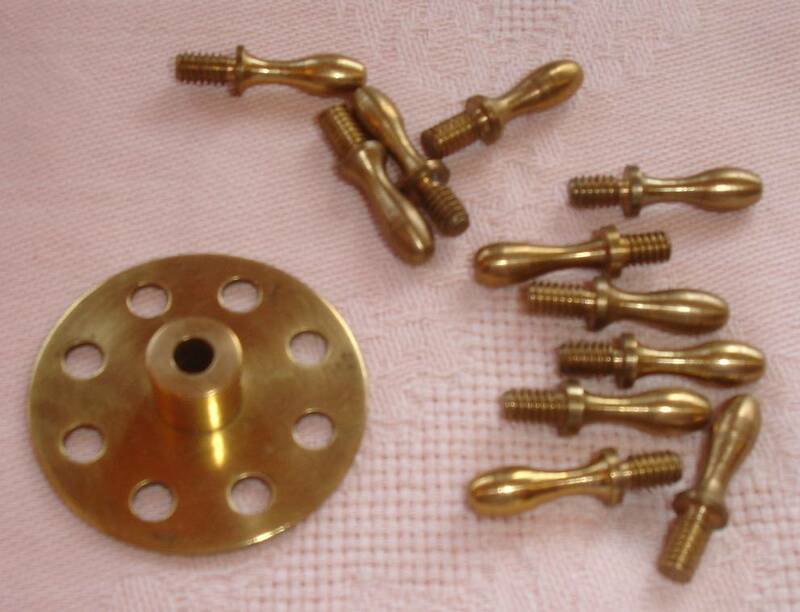 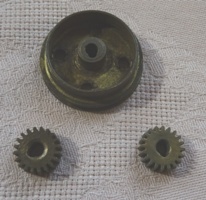 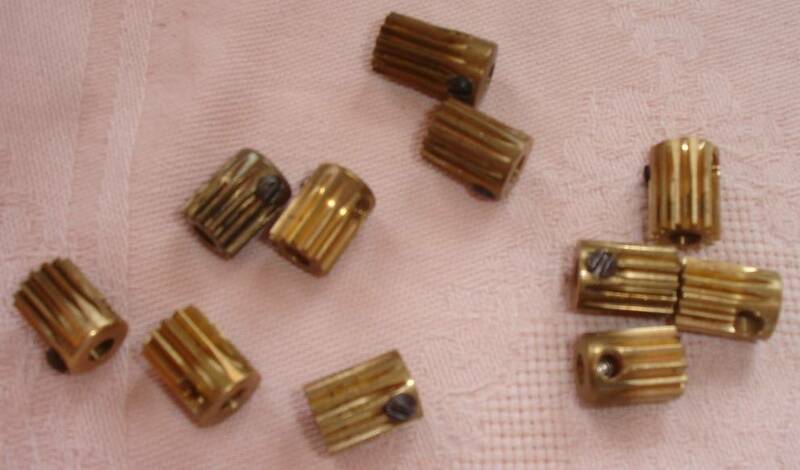 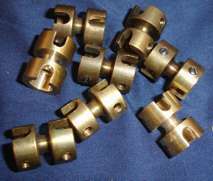 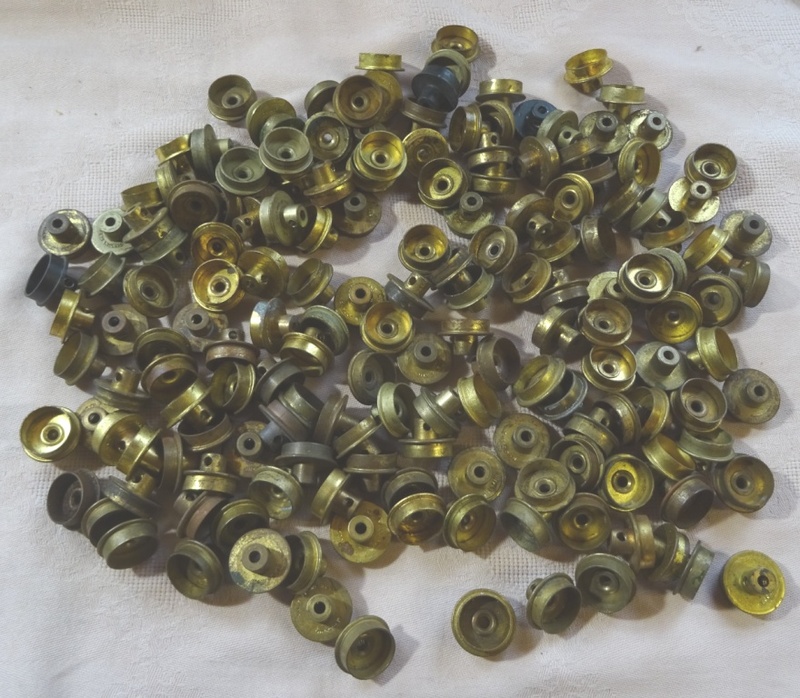 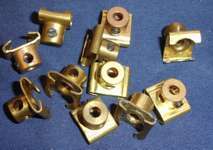 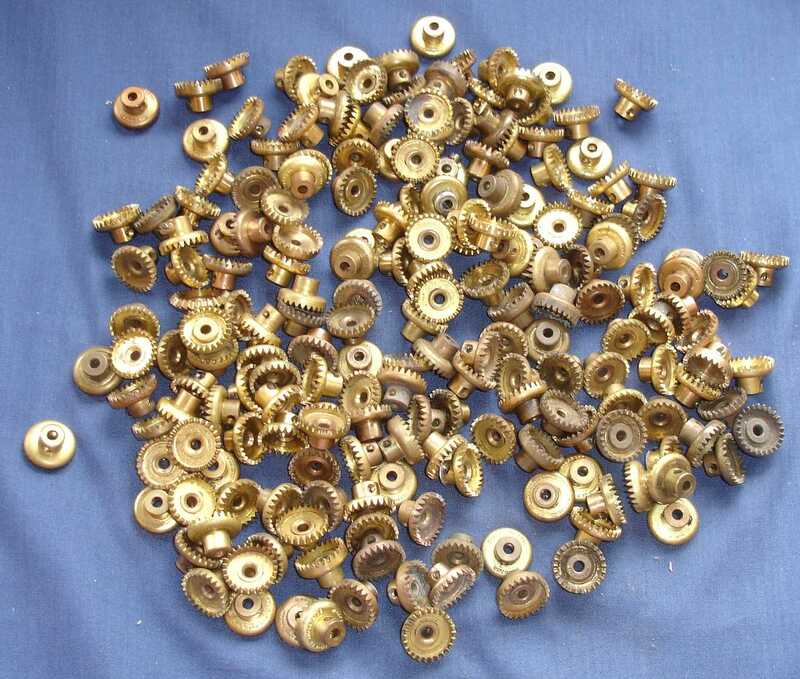 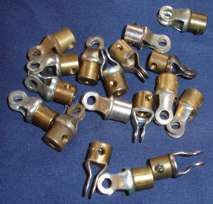 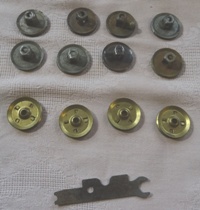 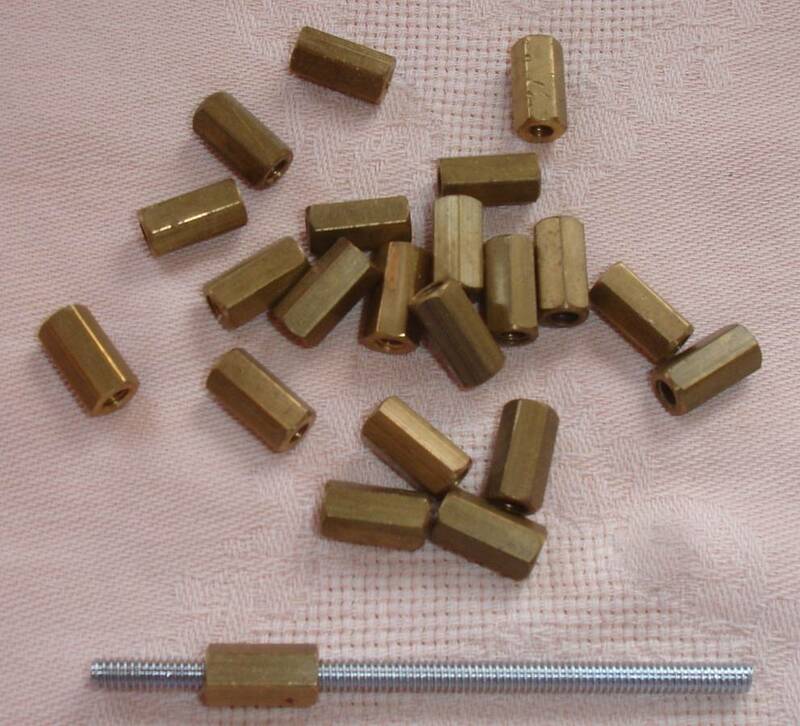 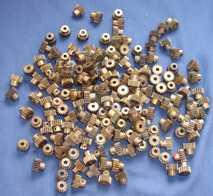 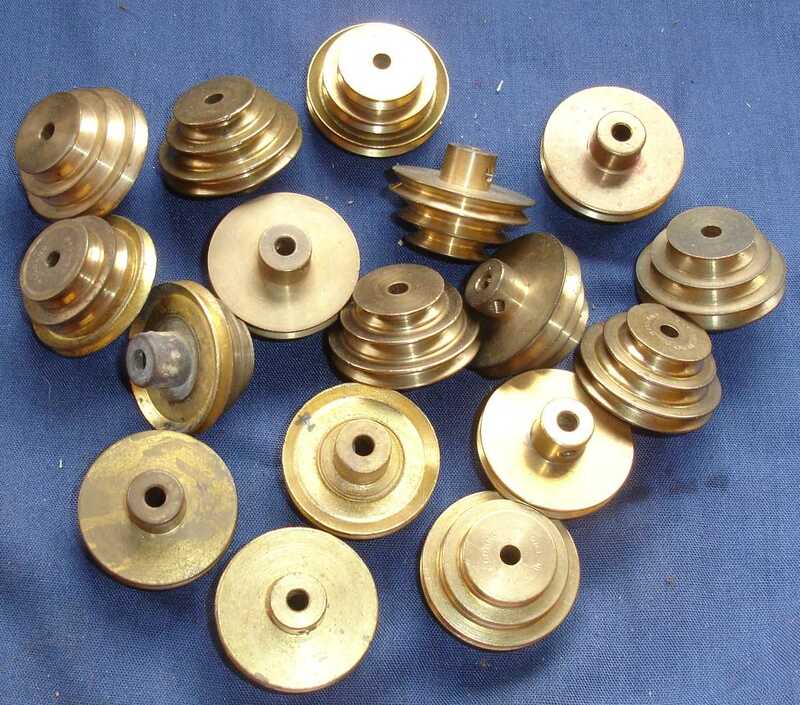 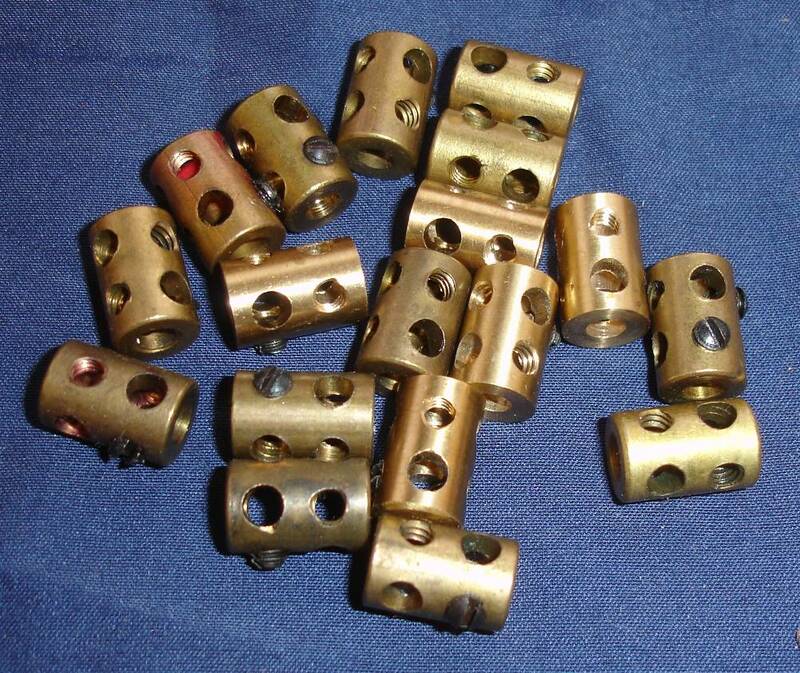 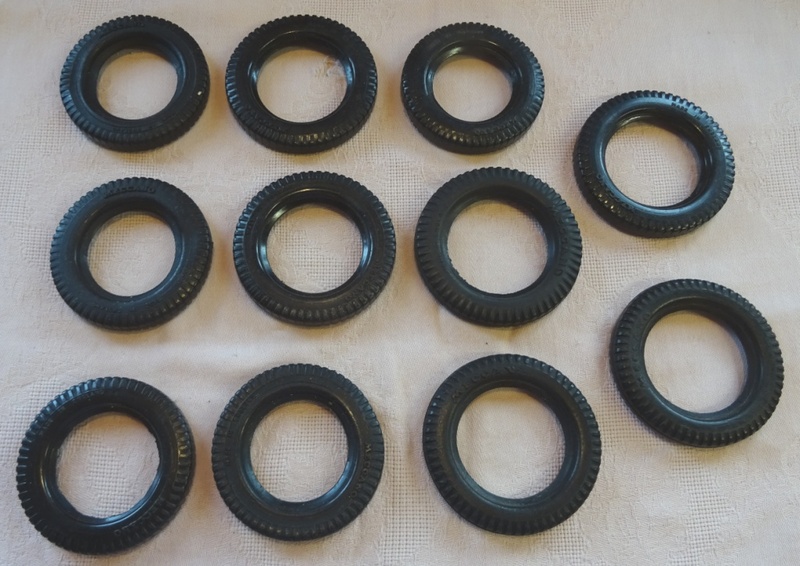 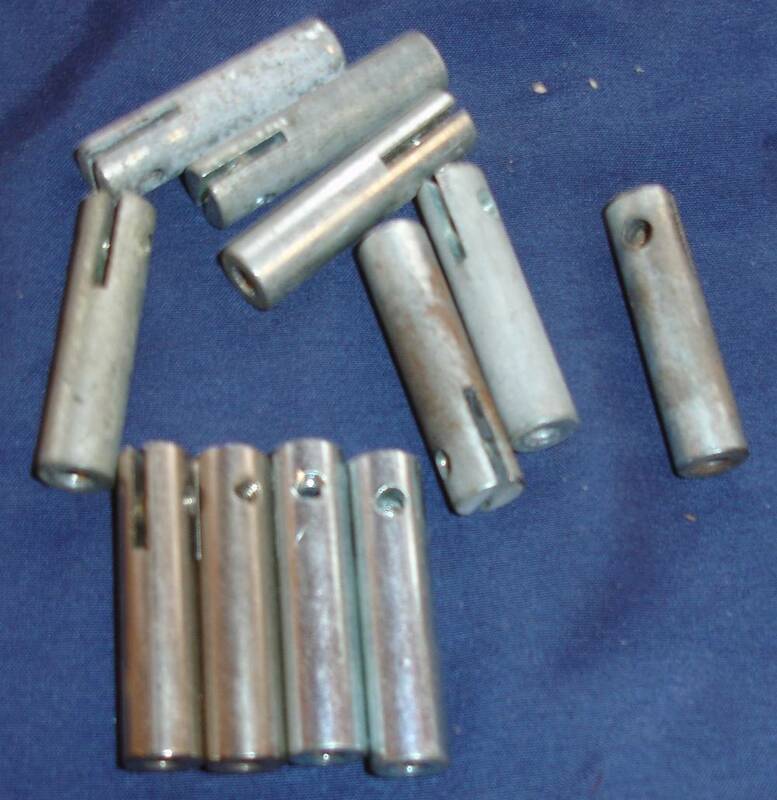 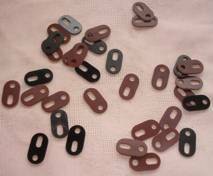 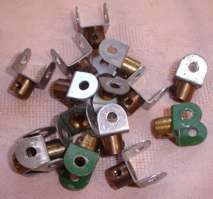 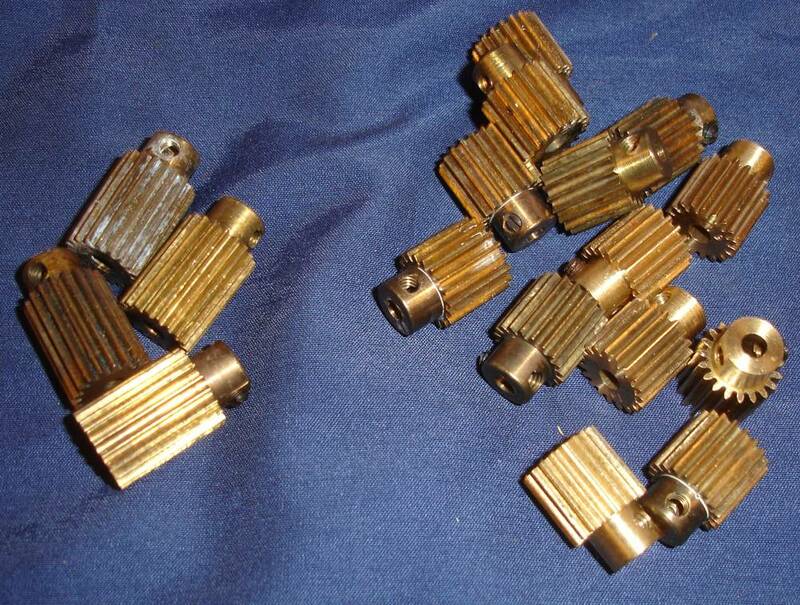 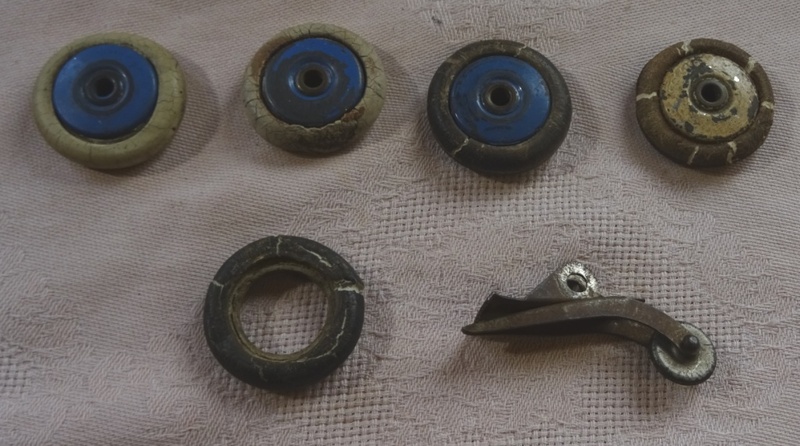 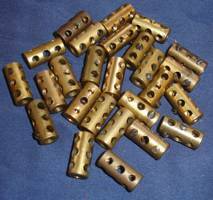 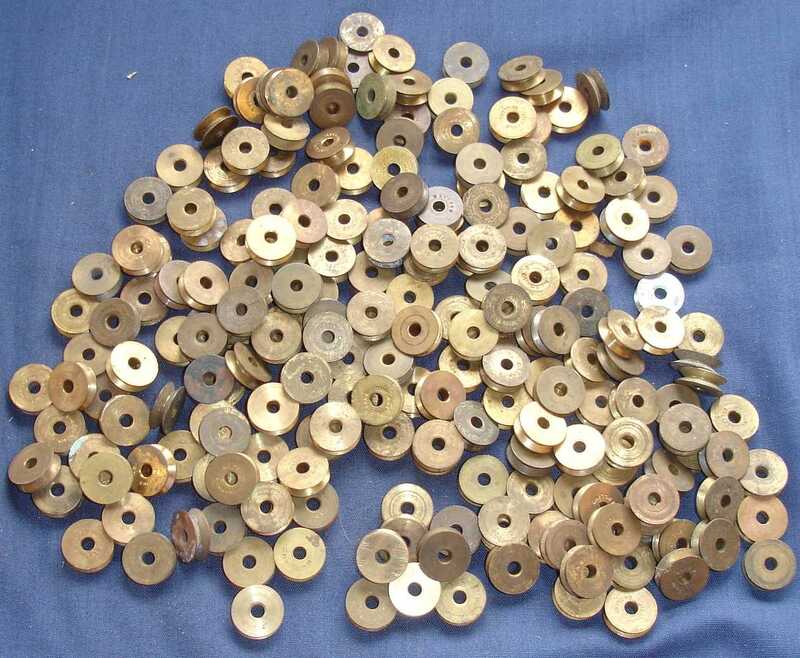 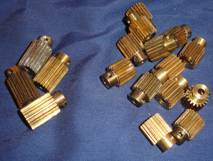 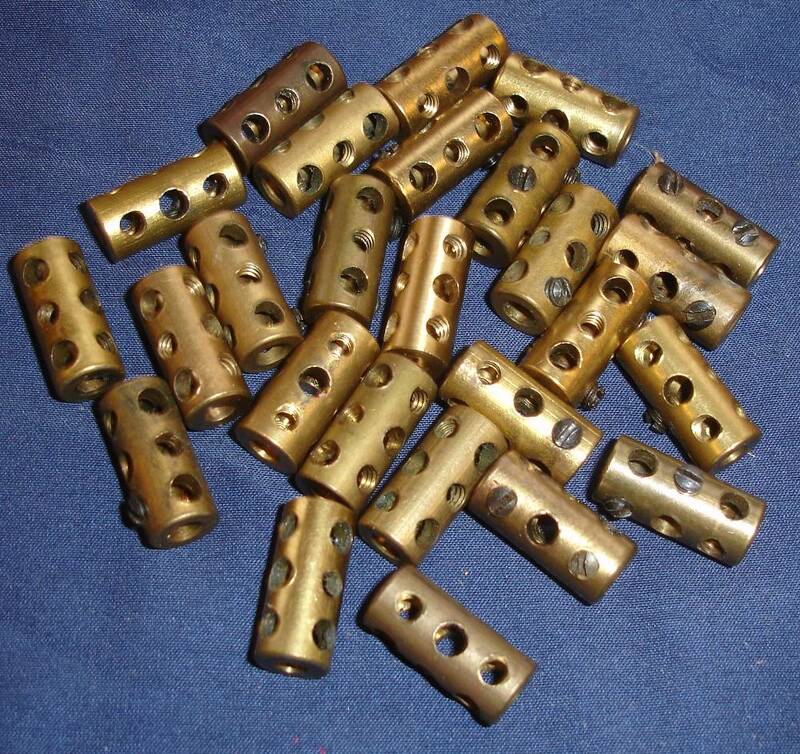 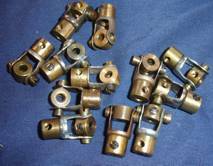 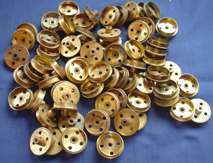 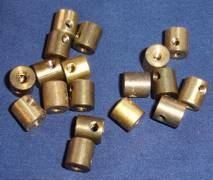 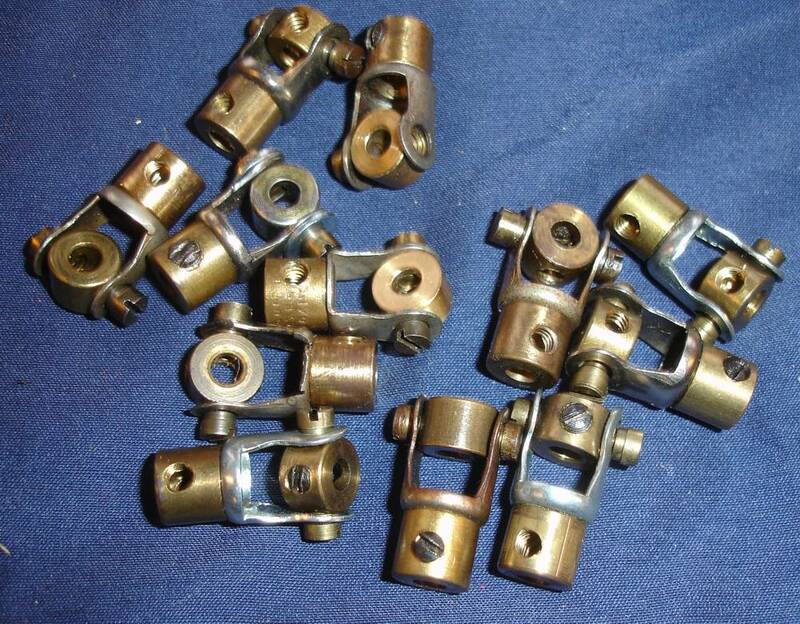 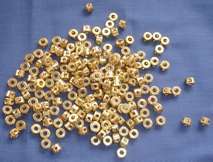 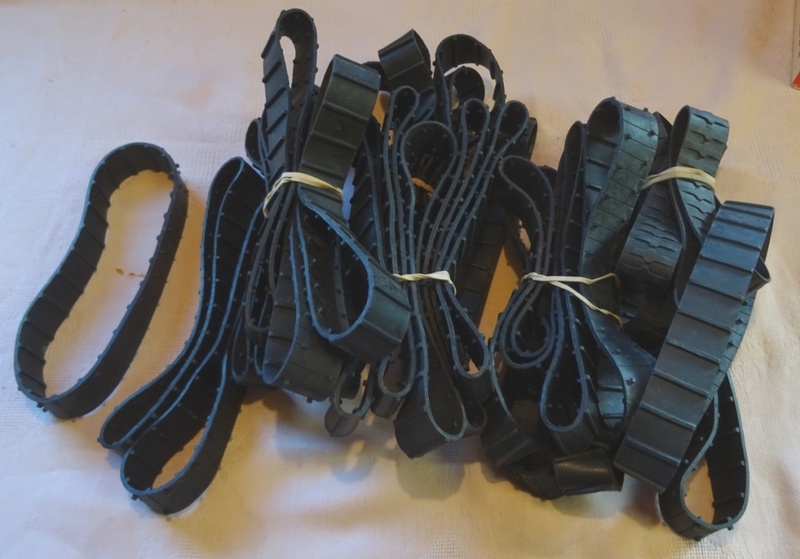 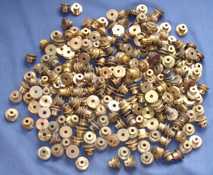 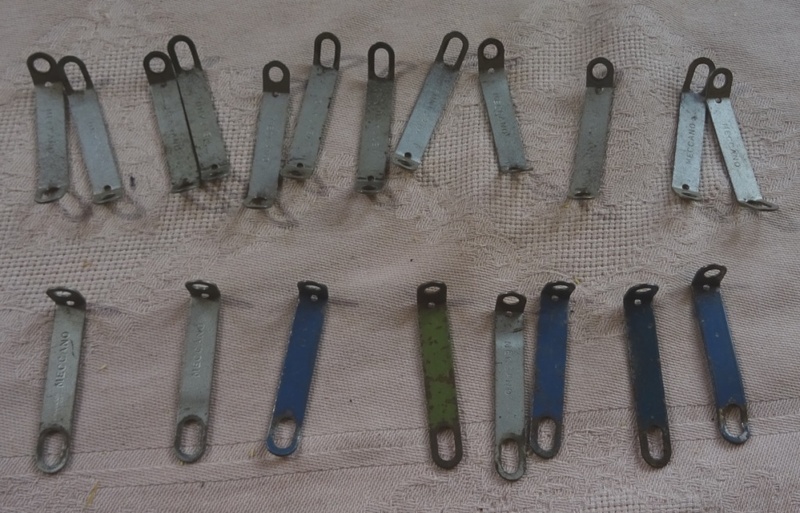 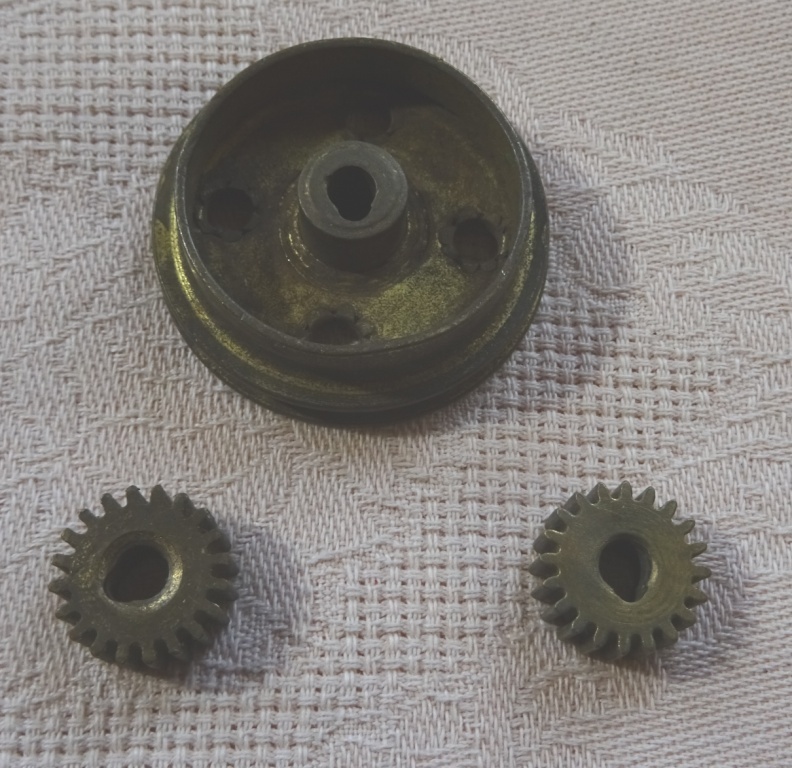 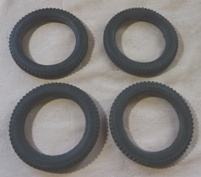 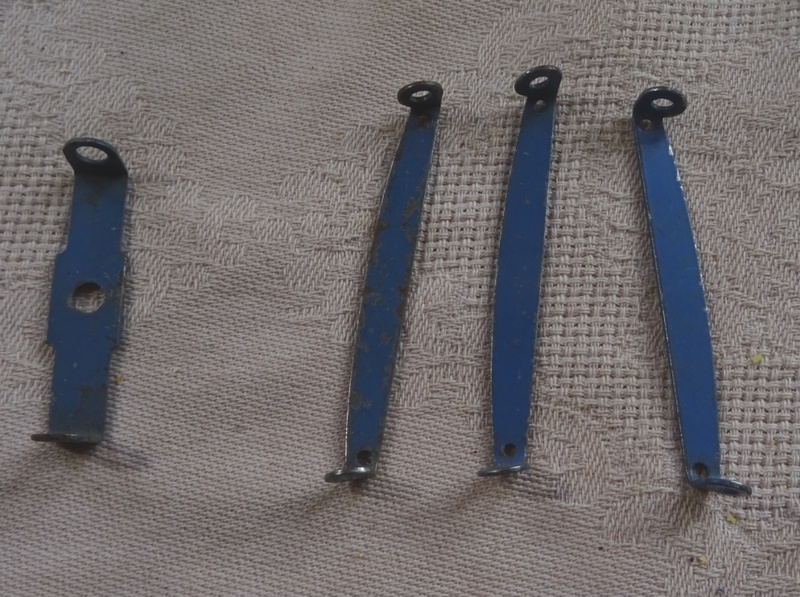 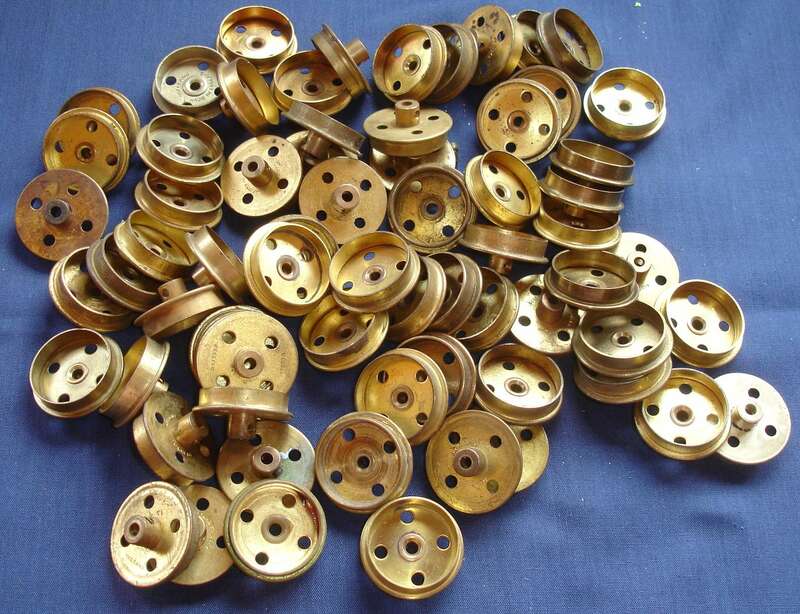 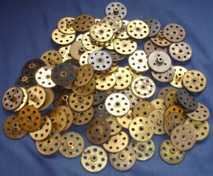 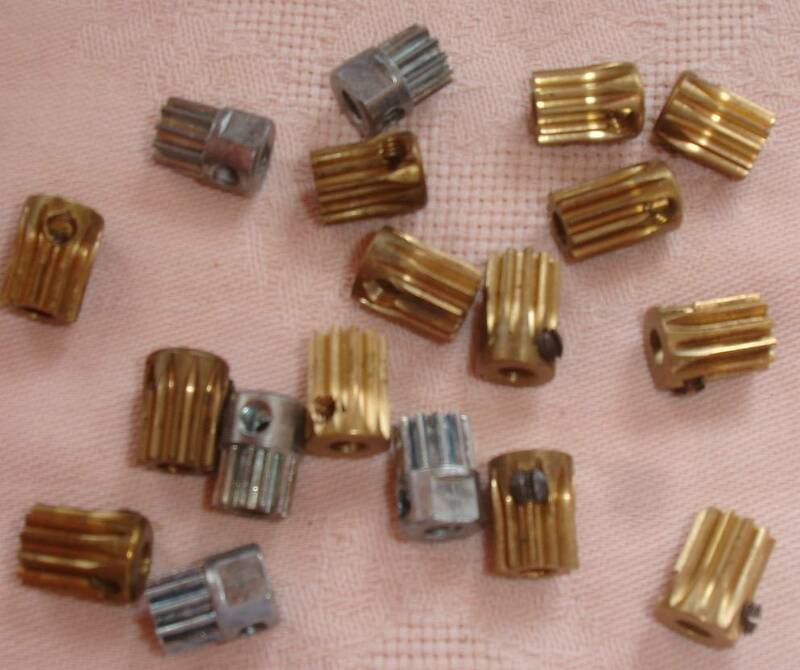 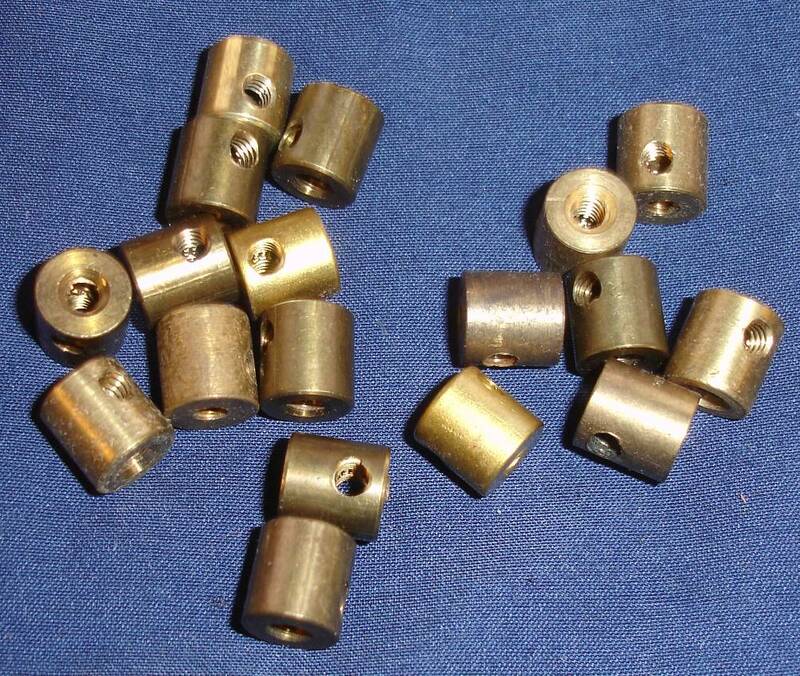 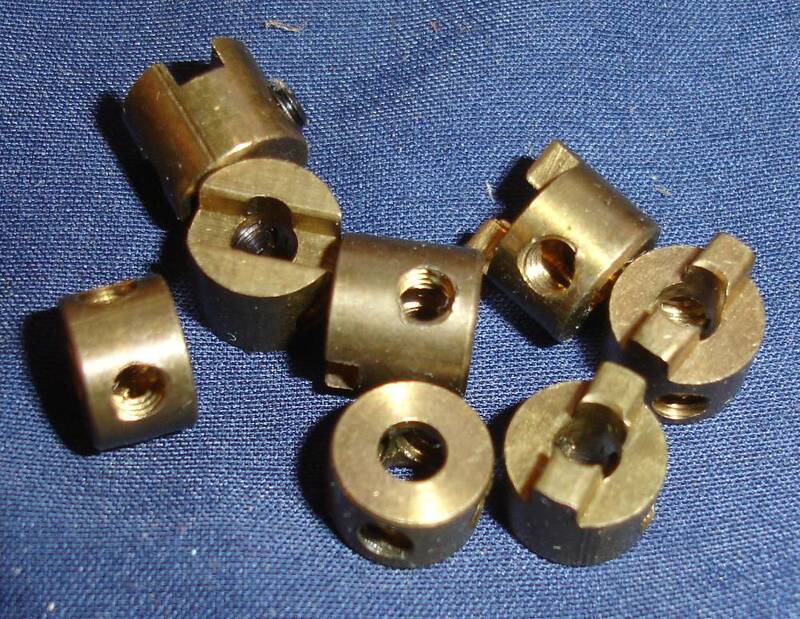 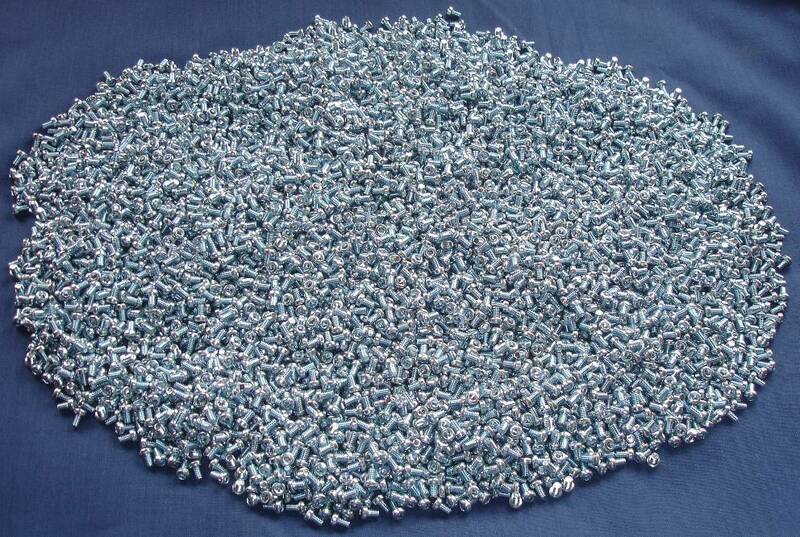 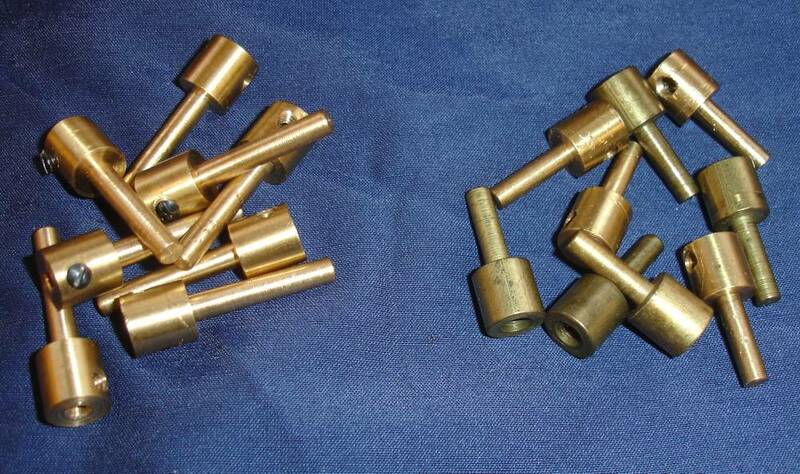 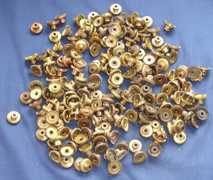 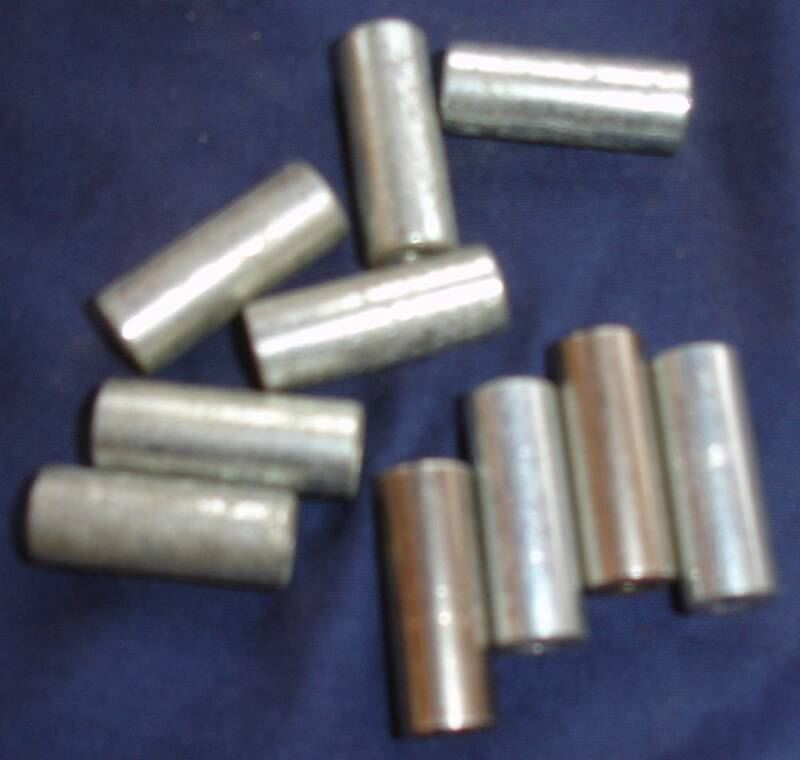 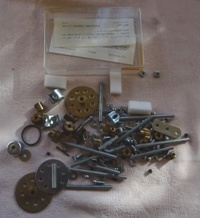 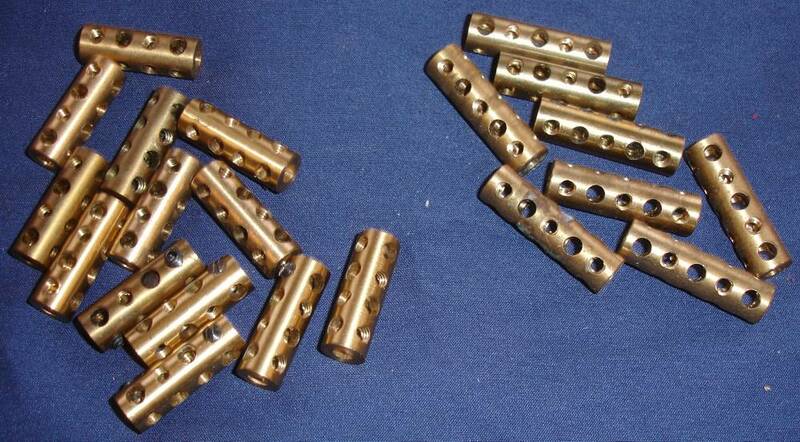 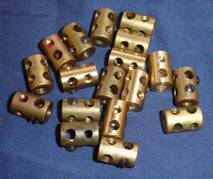 Allen Bolts x 20,000 - Original French Stock - mint as unused - nearly out of stock! 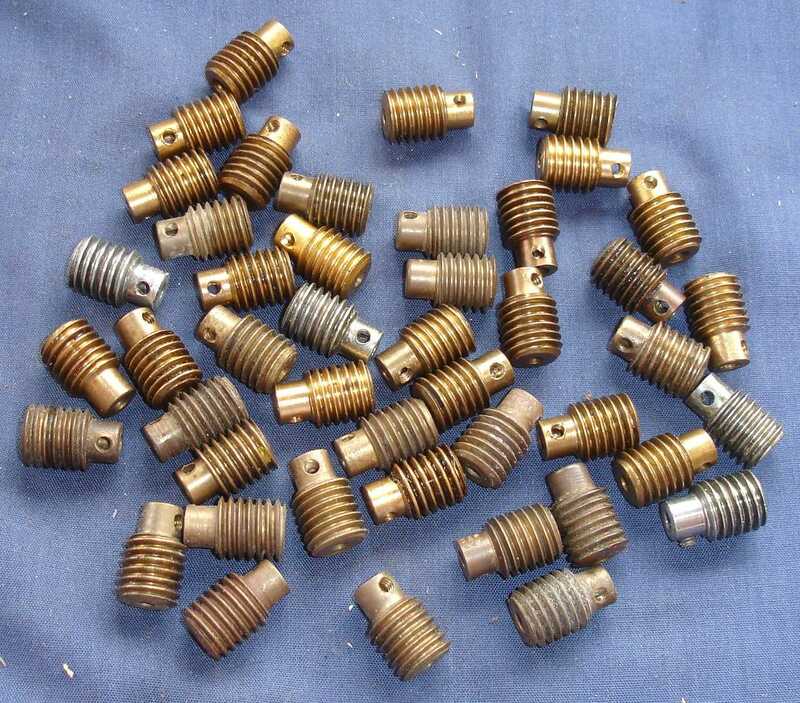 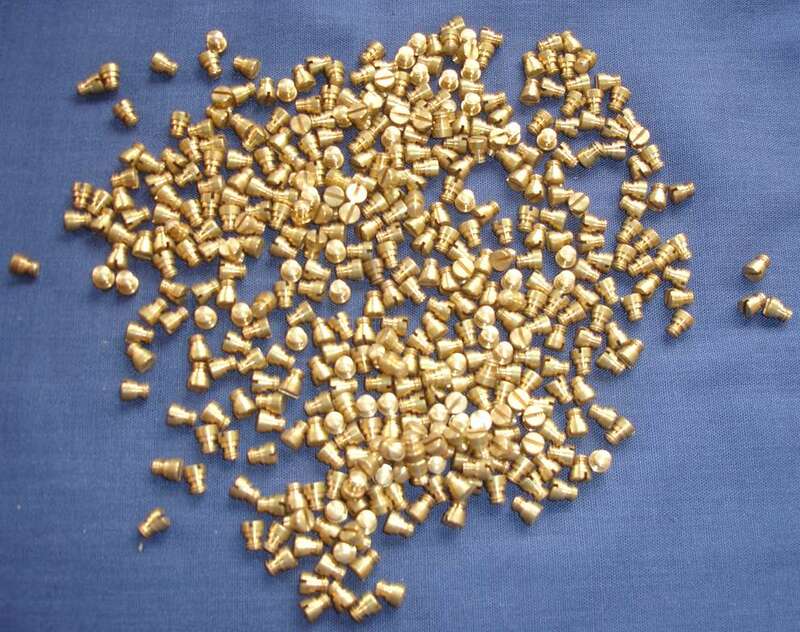 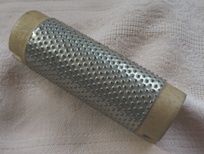 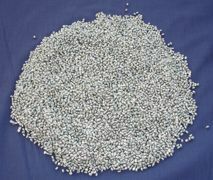 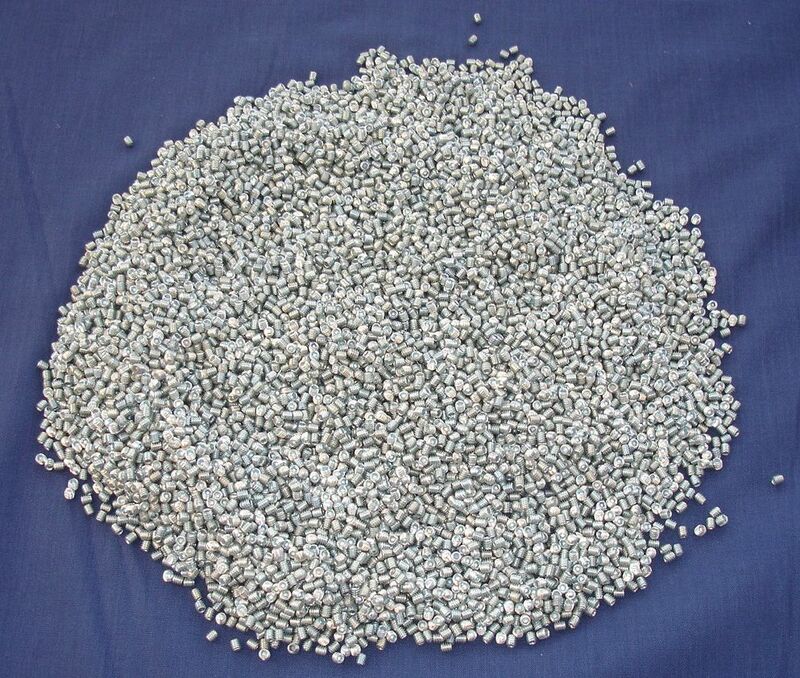 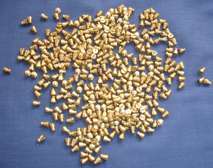 French Allen Grub Screws - new and unused - 18,000 of the little buggers! 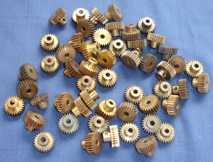 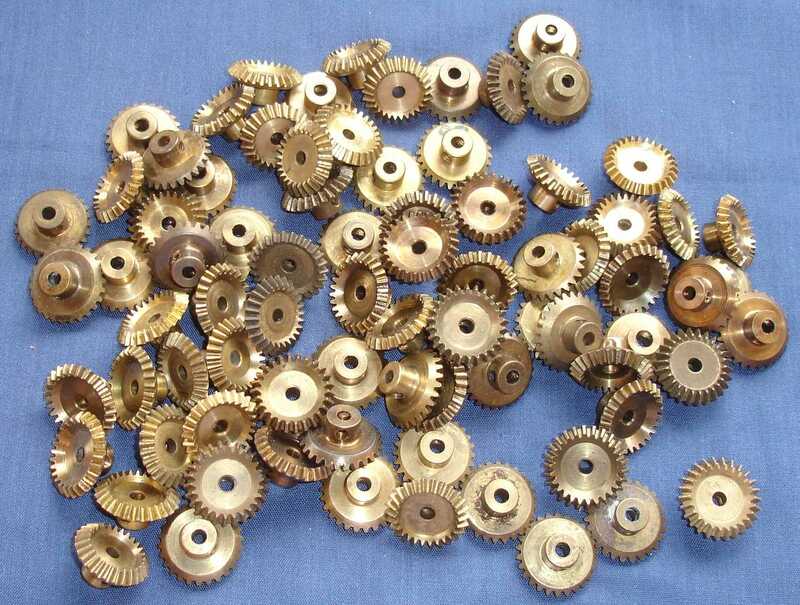 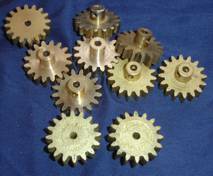 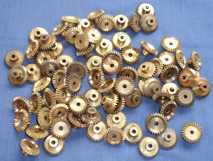 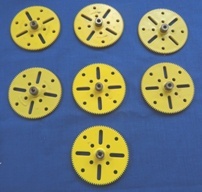 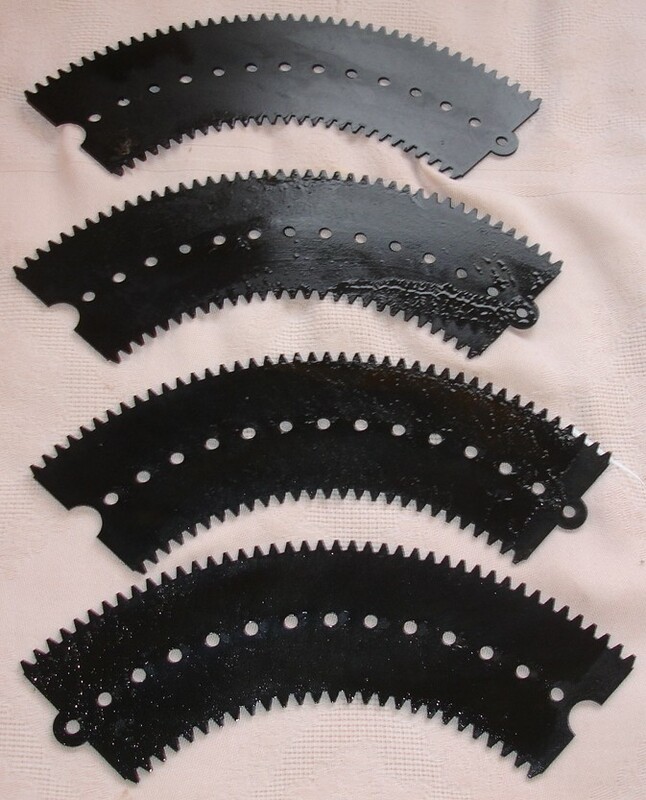 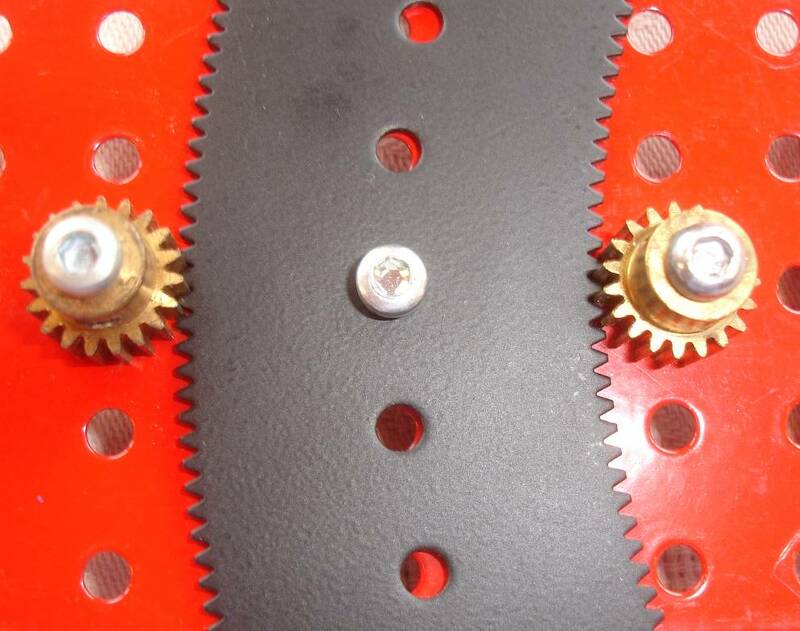 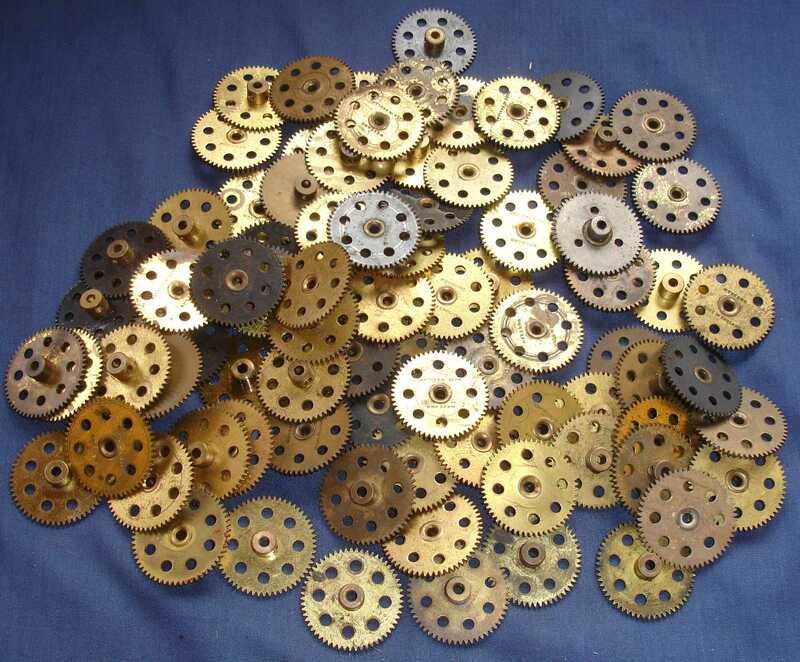 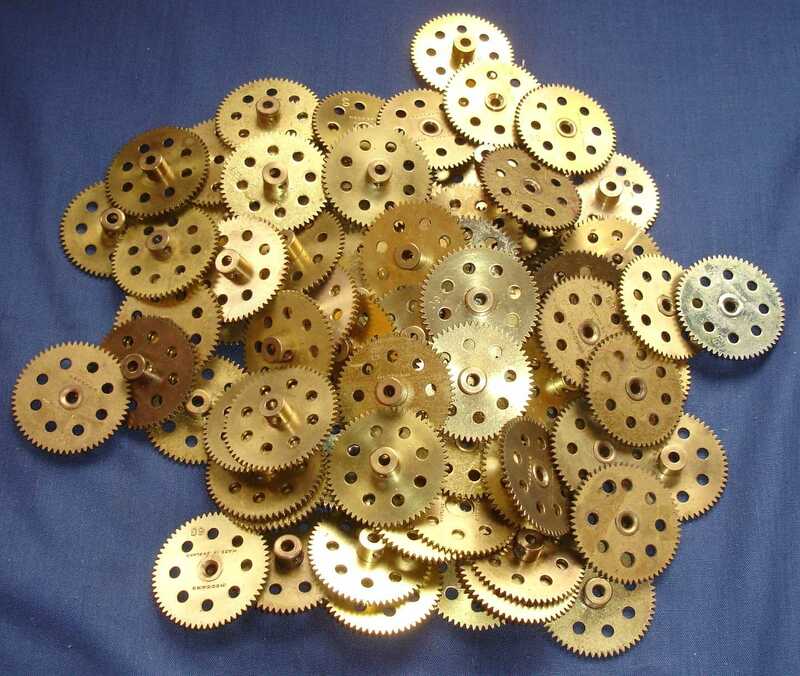 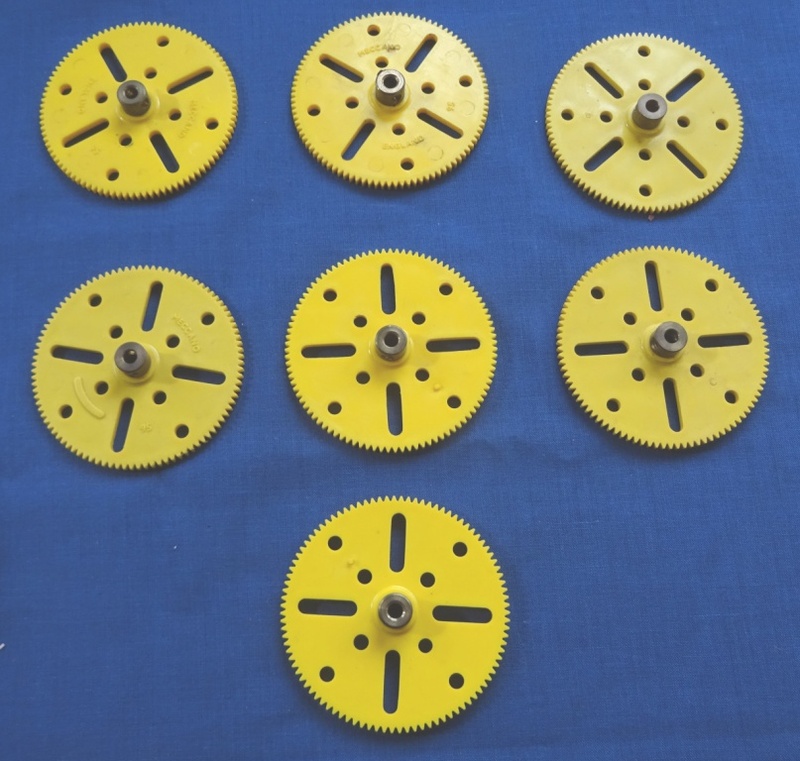 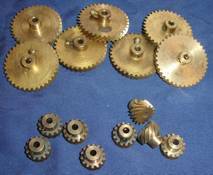 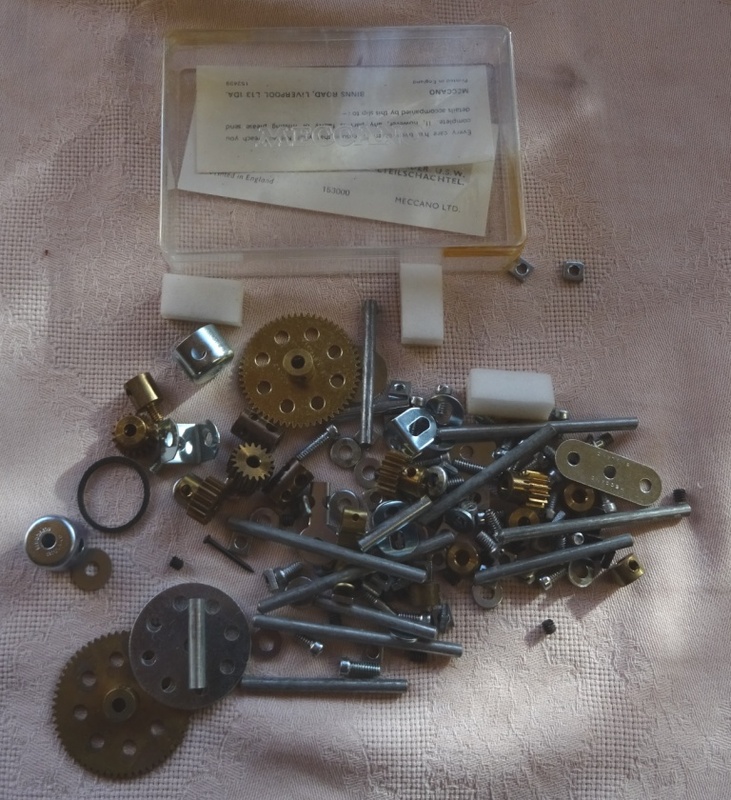 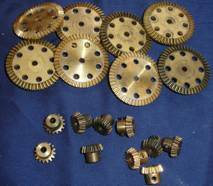 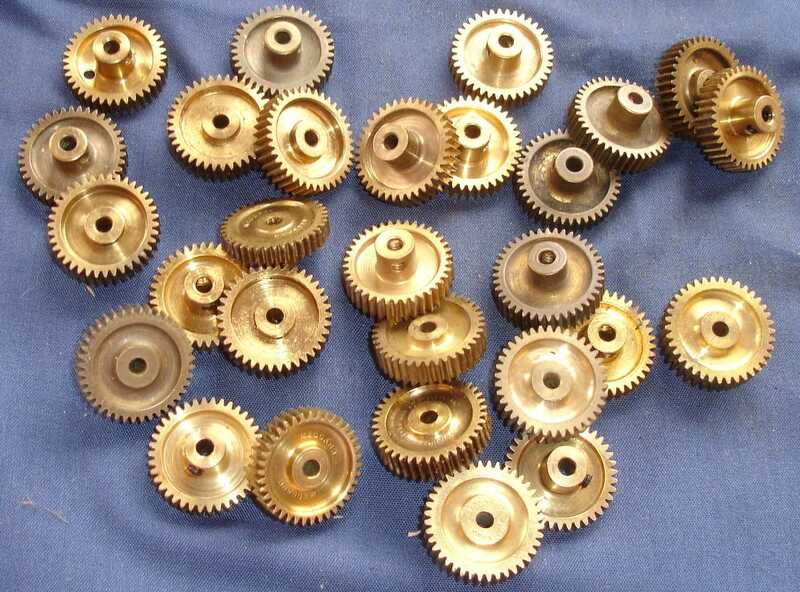 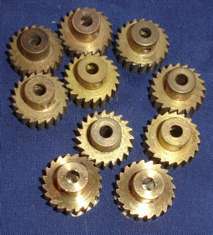 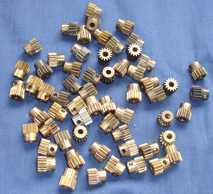 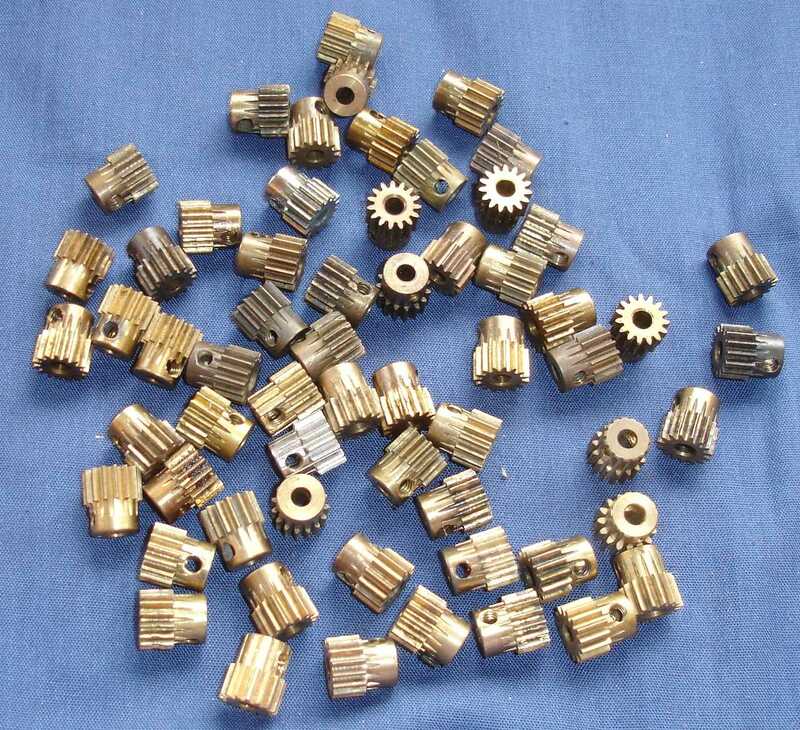 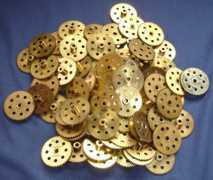 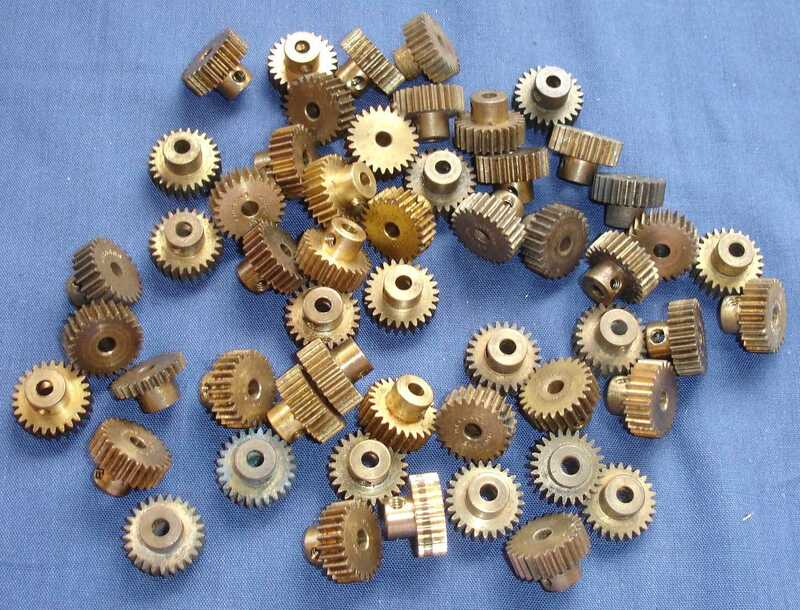 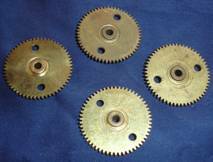 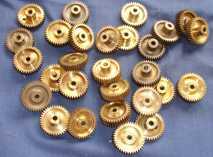 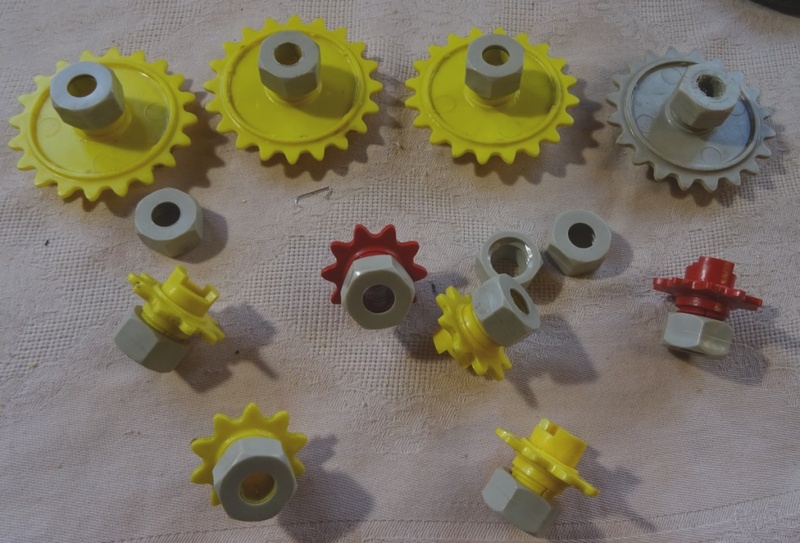 60 Toothed Gears - excellent condition - no idea how I got all these! 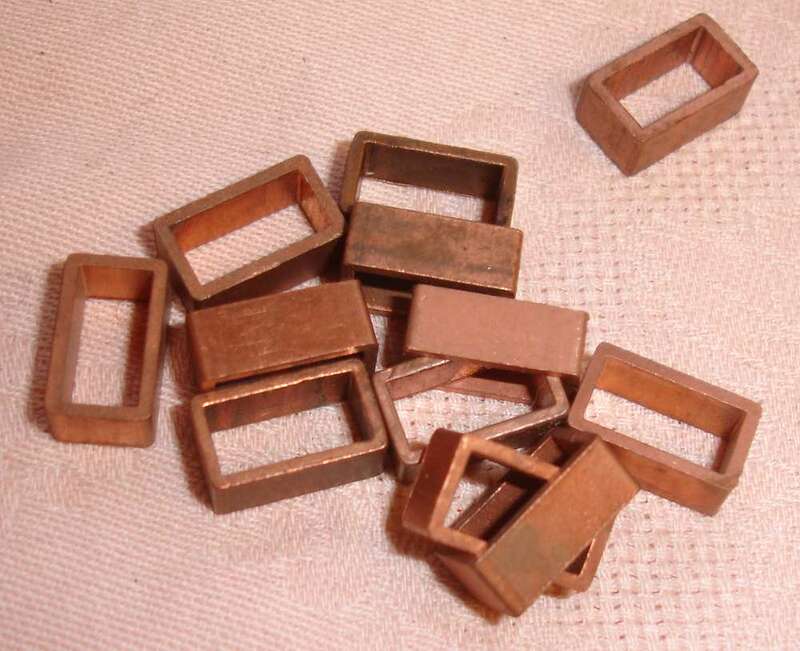 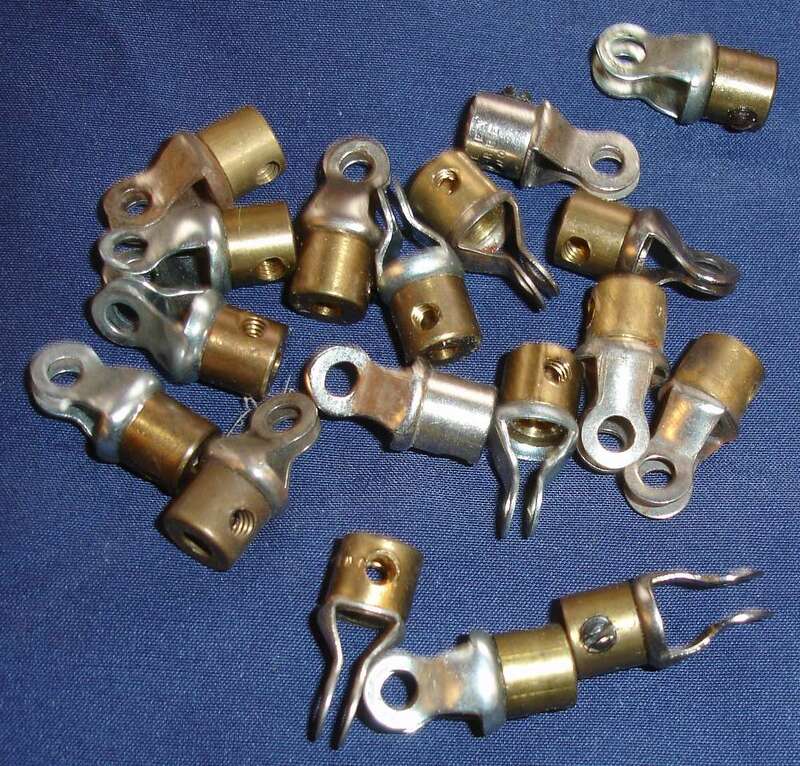 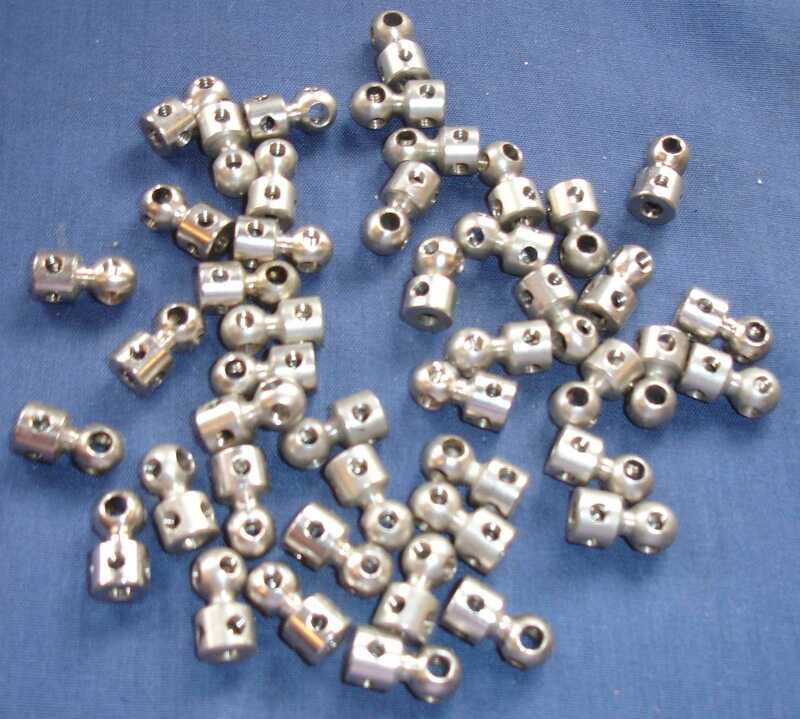 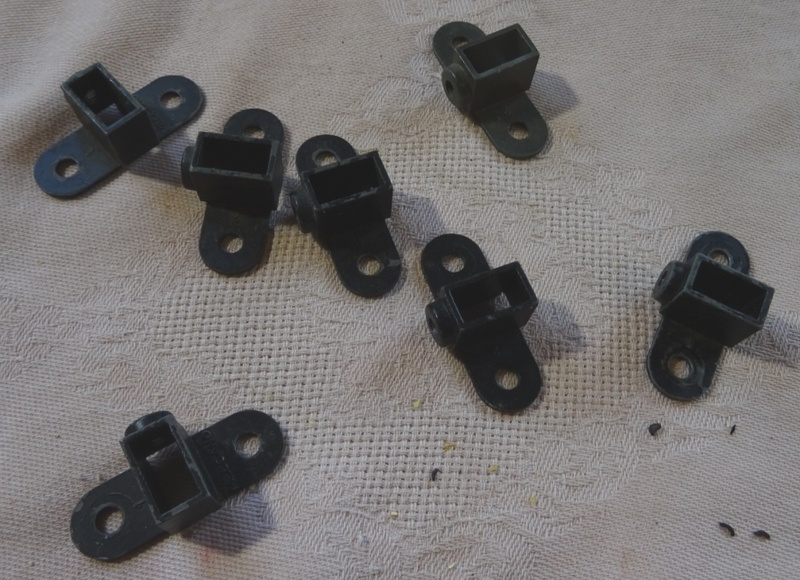 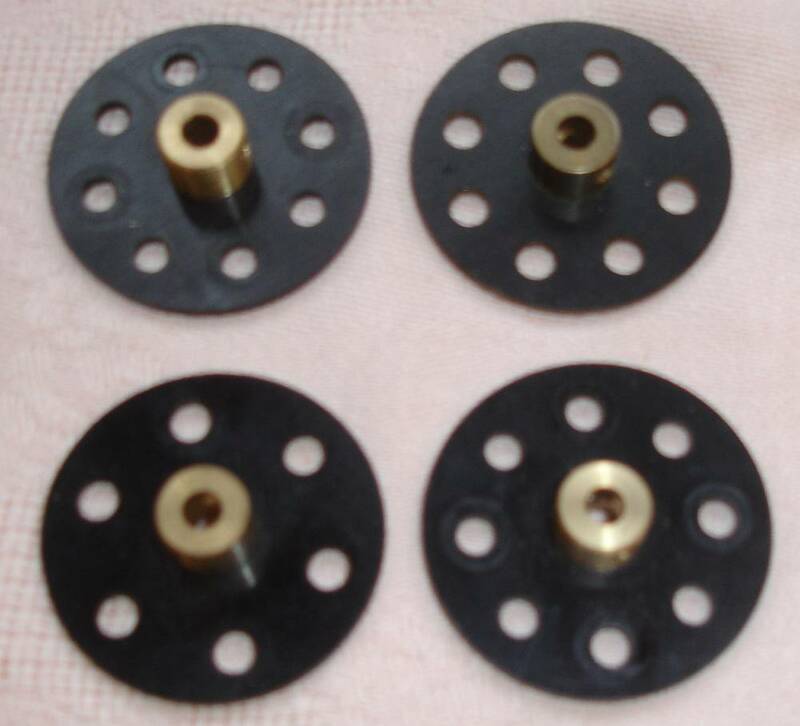 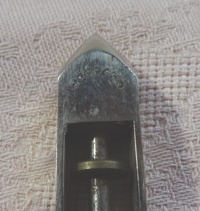 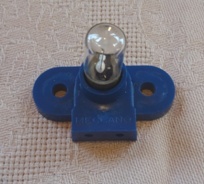 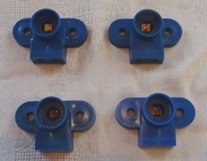 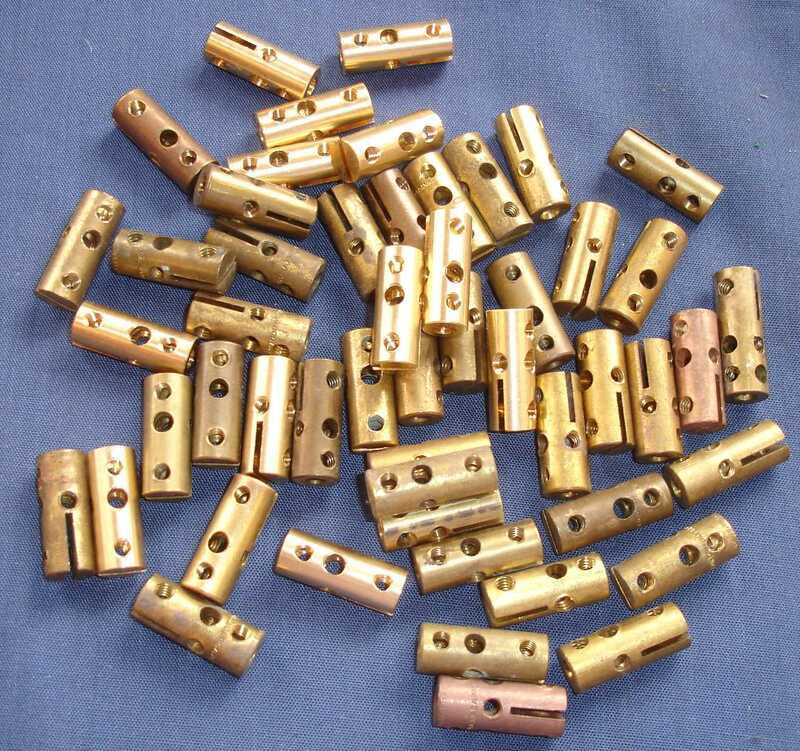 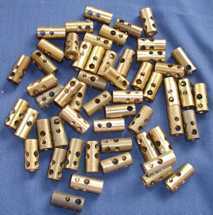 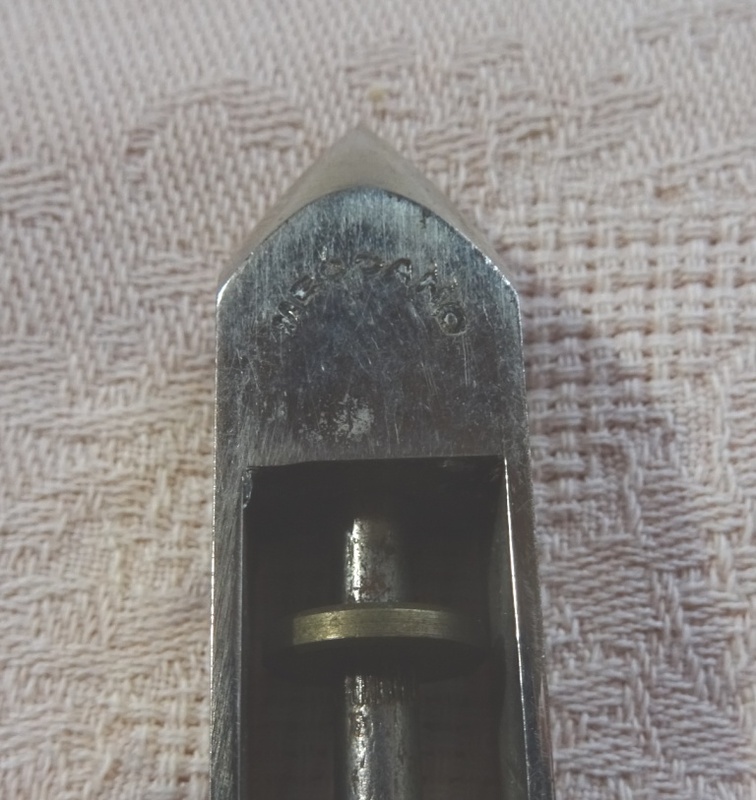 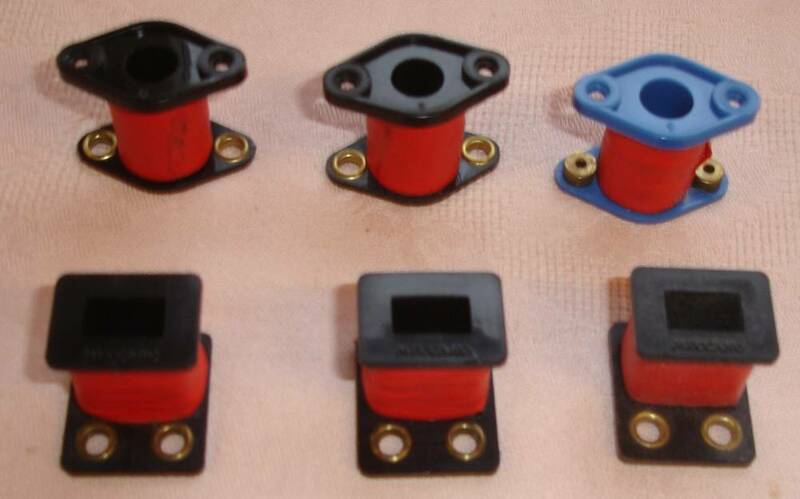 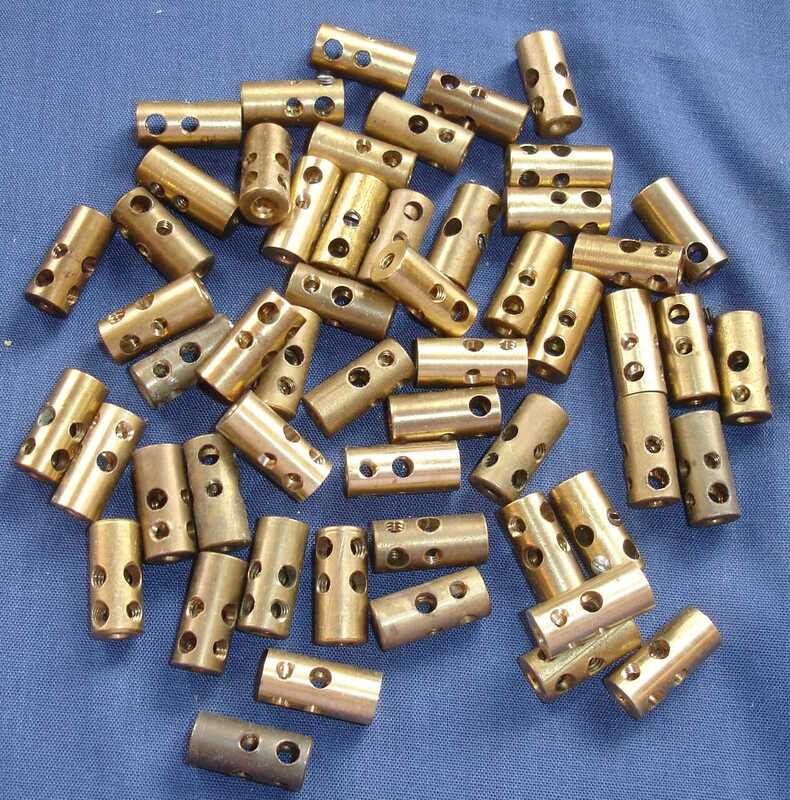 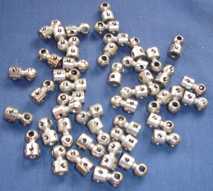 Hexagonal Screwed Connectors - Meccano thread - unusual but TRIX did this part. 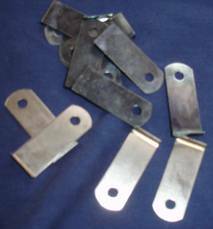 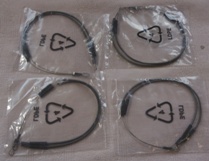 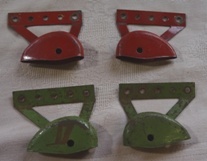 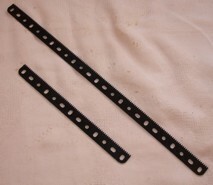 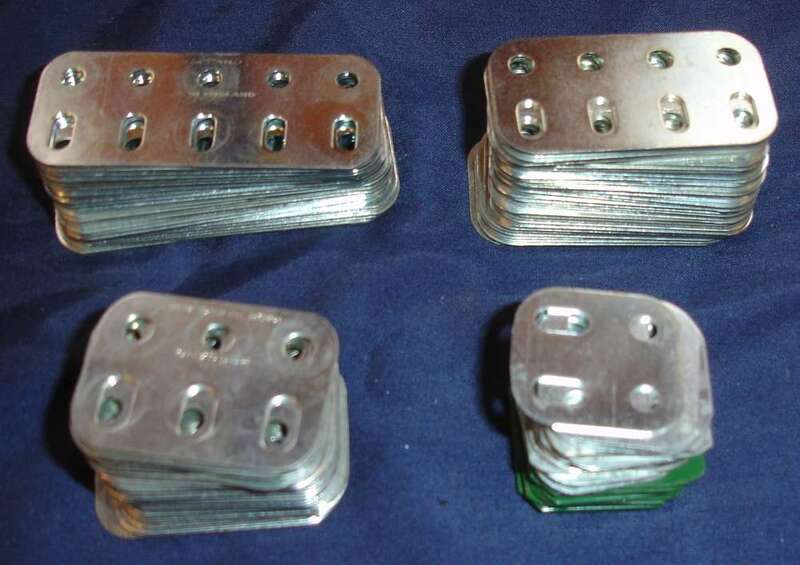 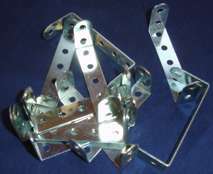 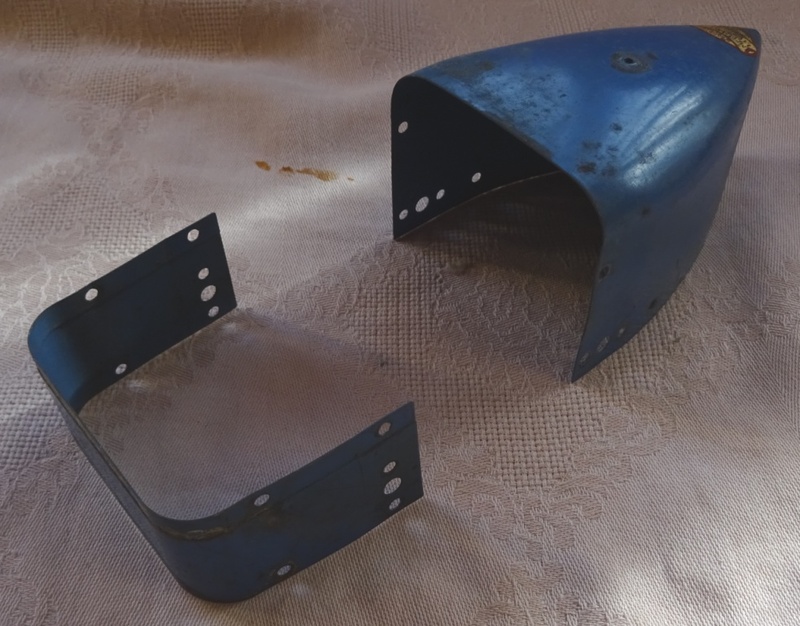 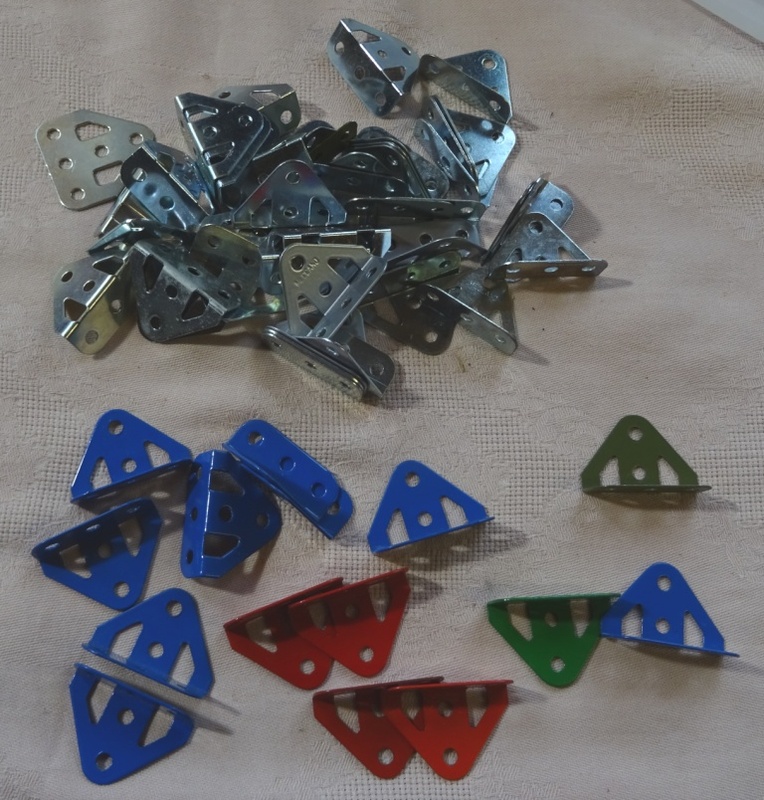 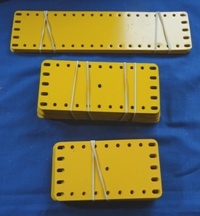 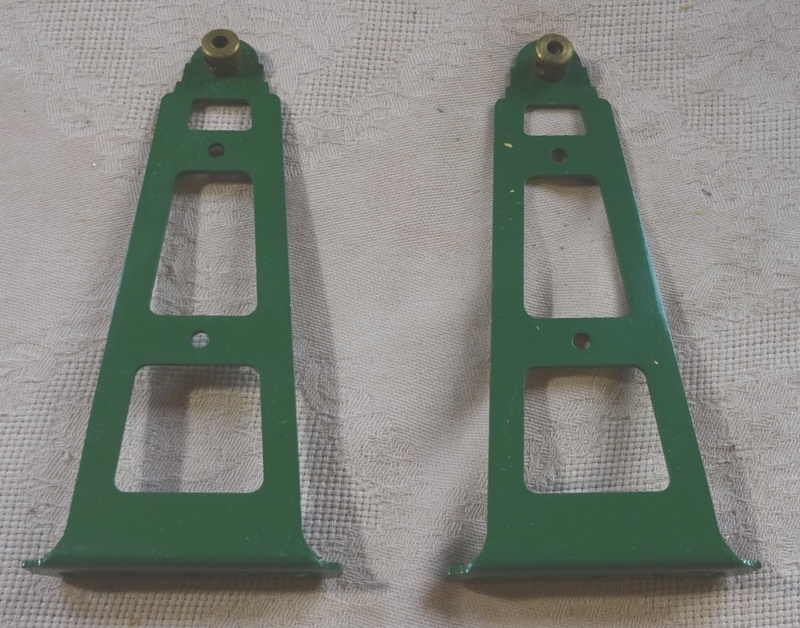 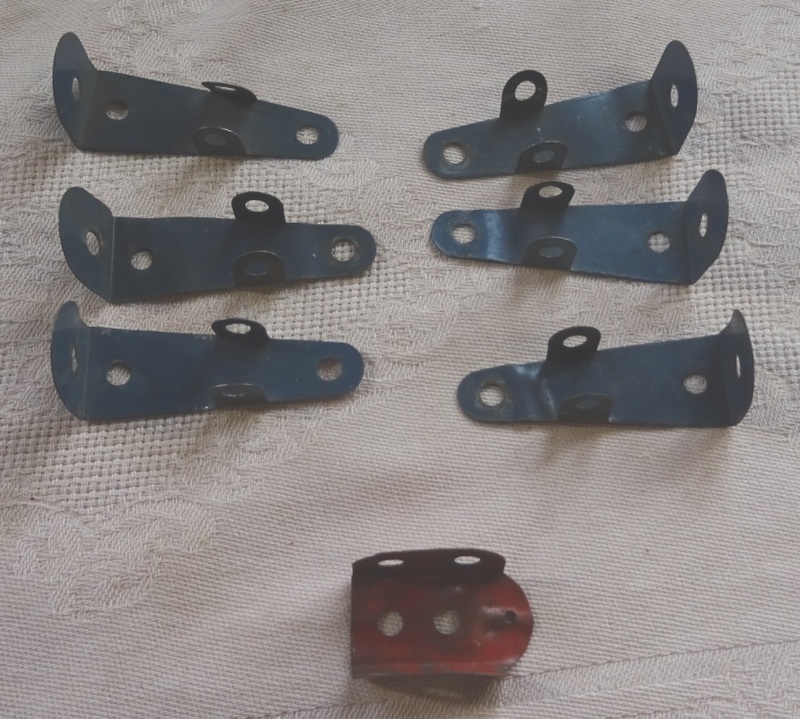 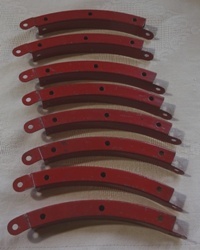 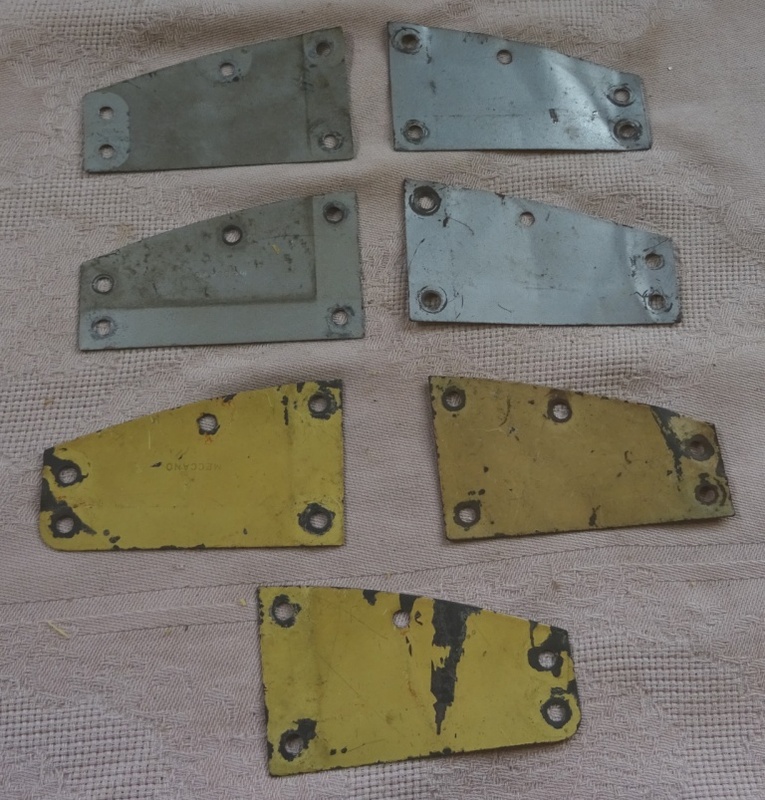 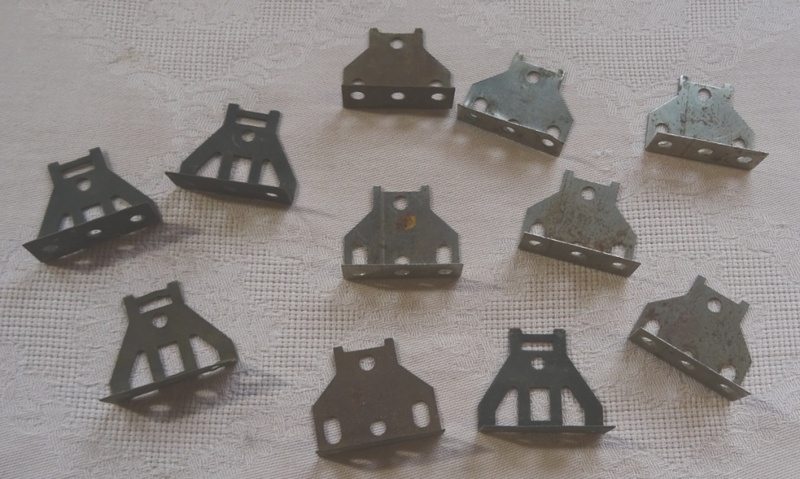 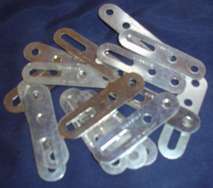 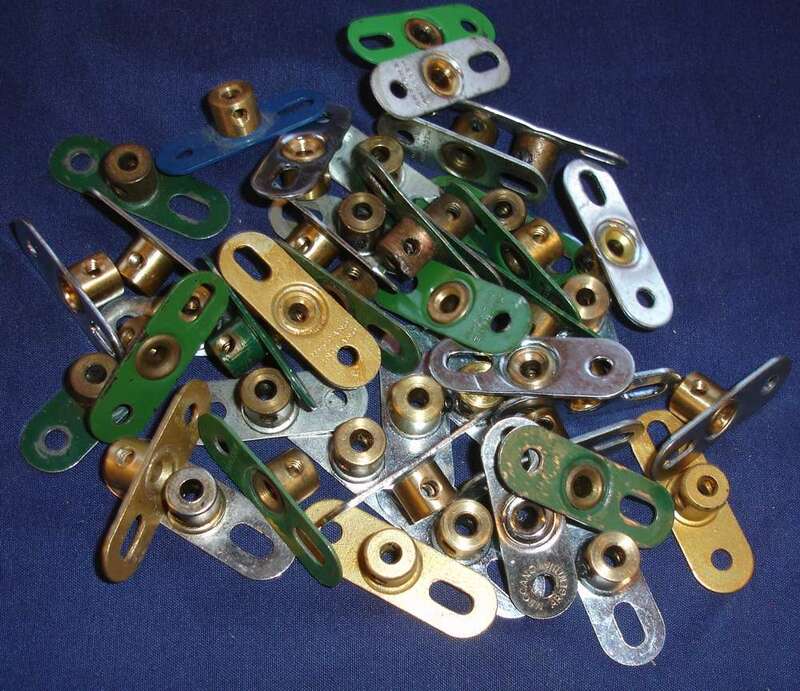 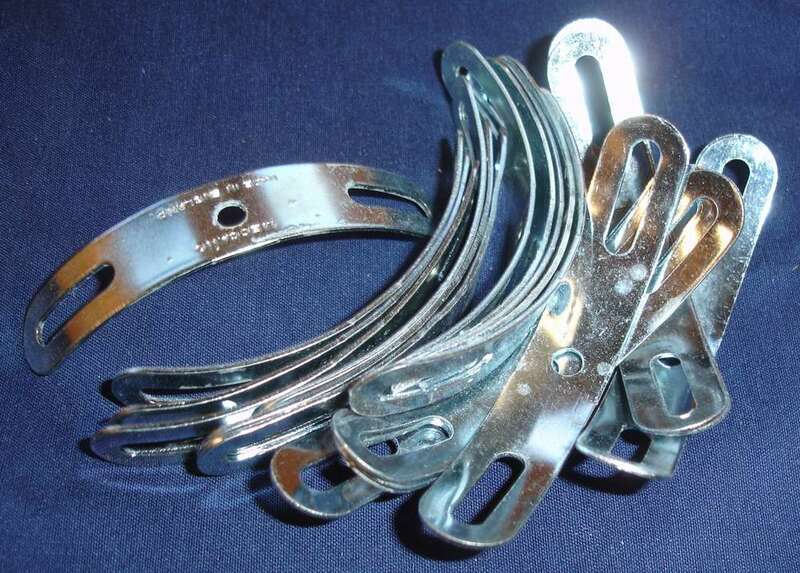 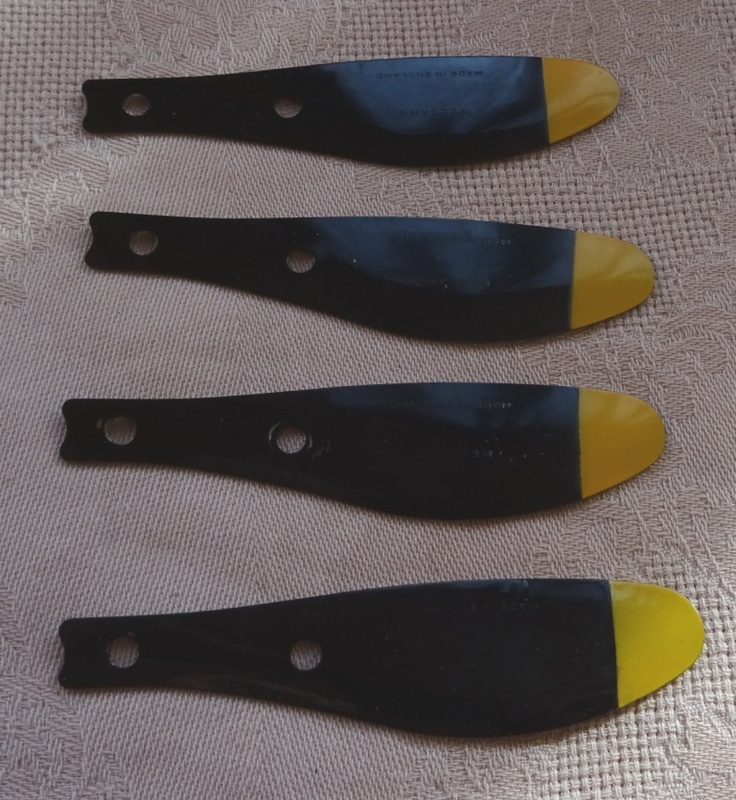 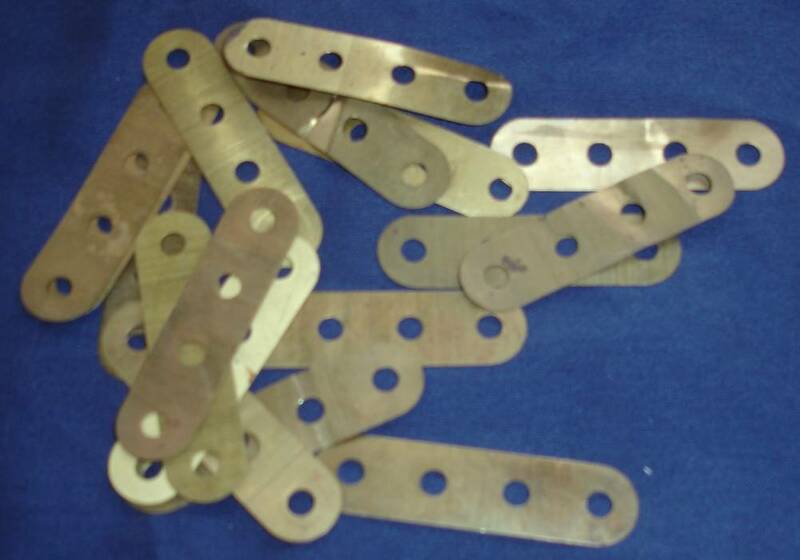 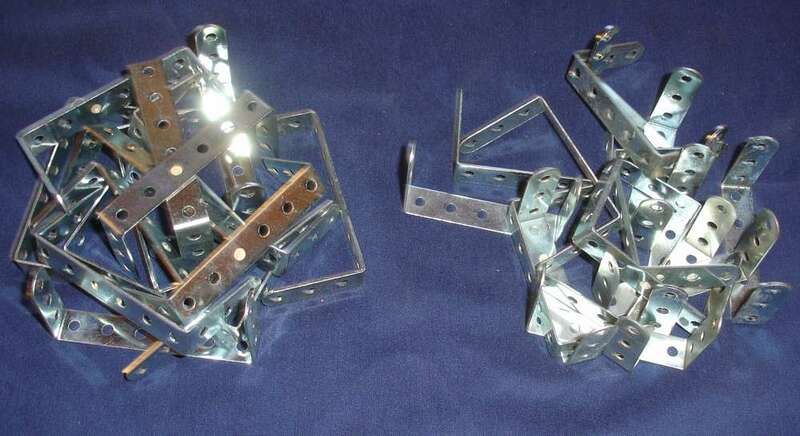 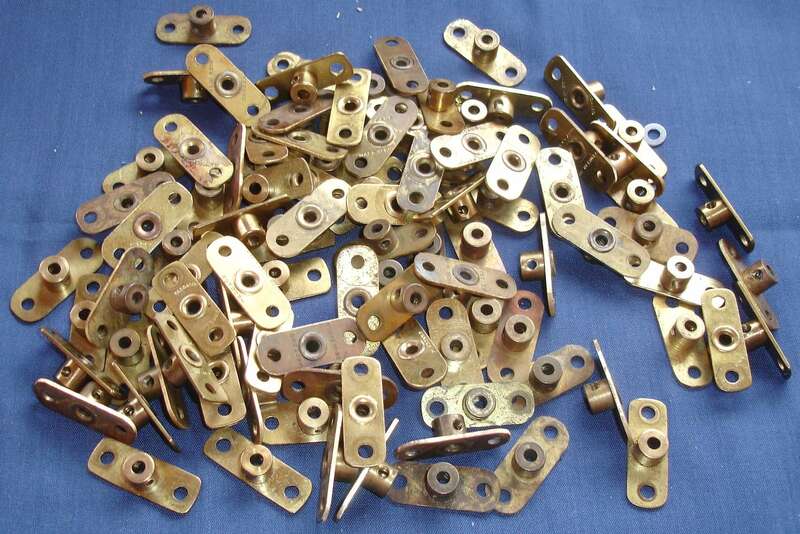 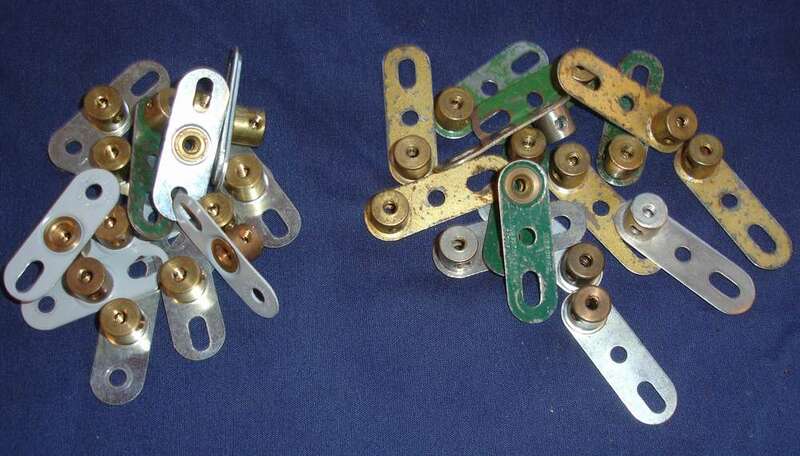 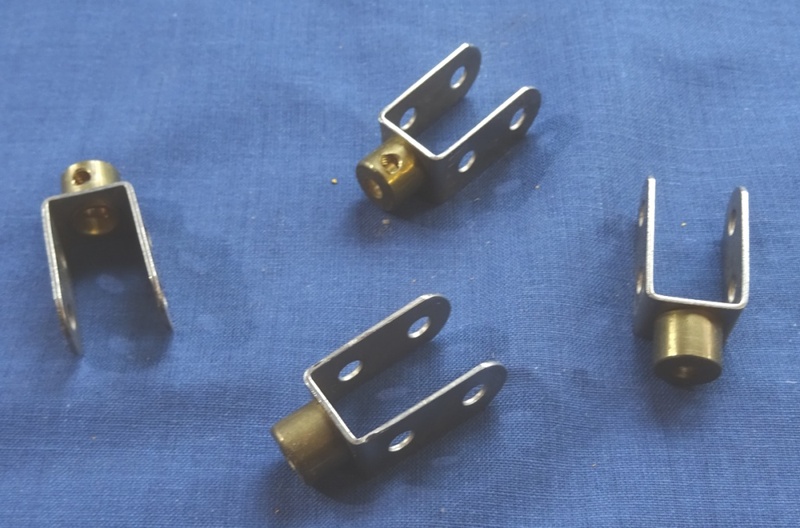 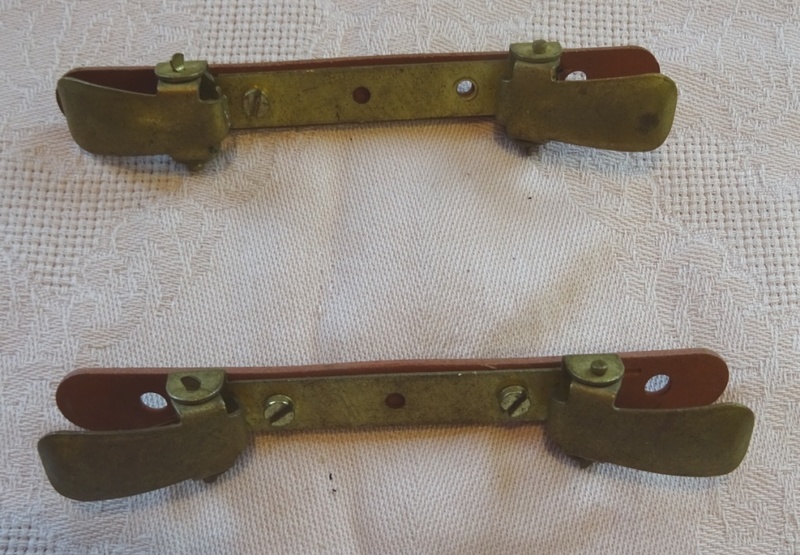 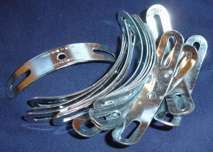 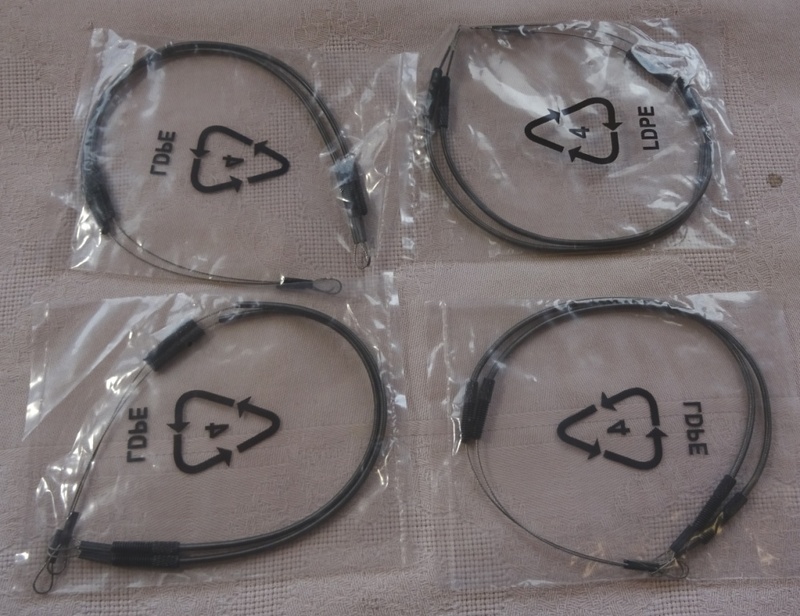 2.5" x 1.5" & 3.0" x 1.5" Double Angle Brackets - while stocks last! 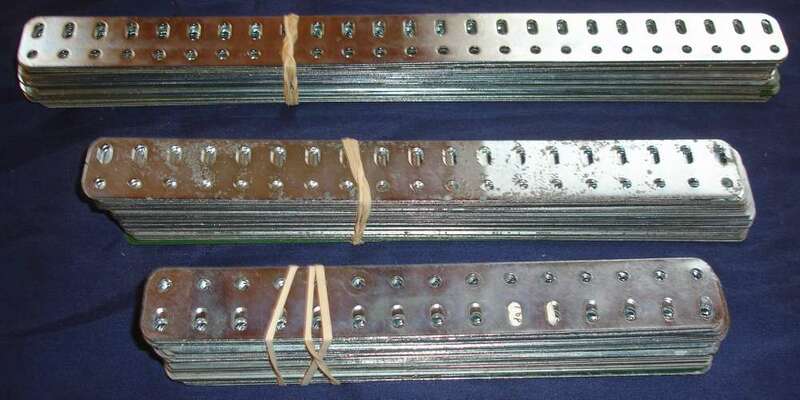 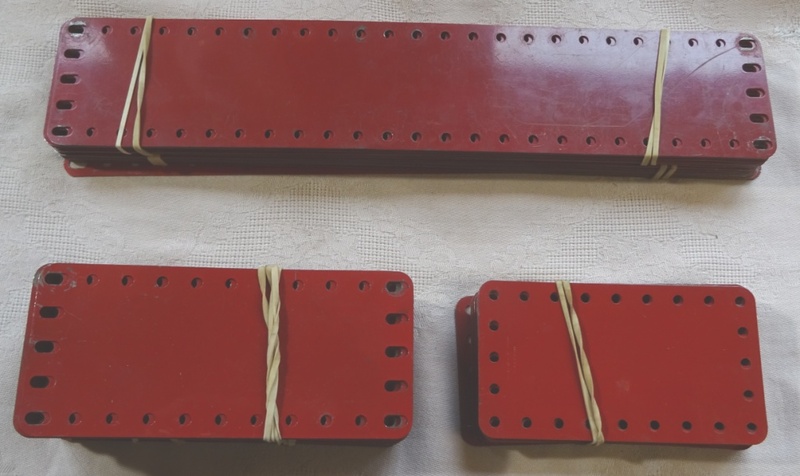 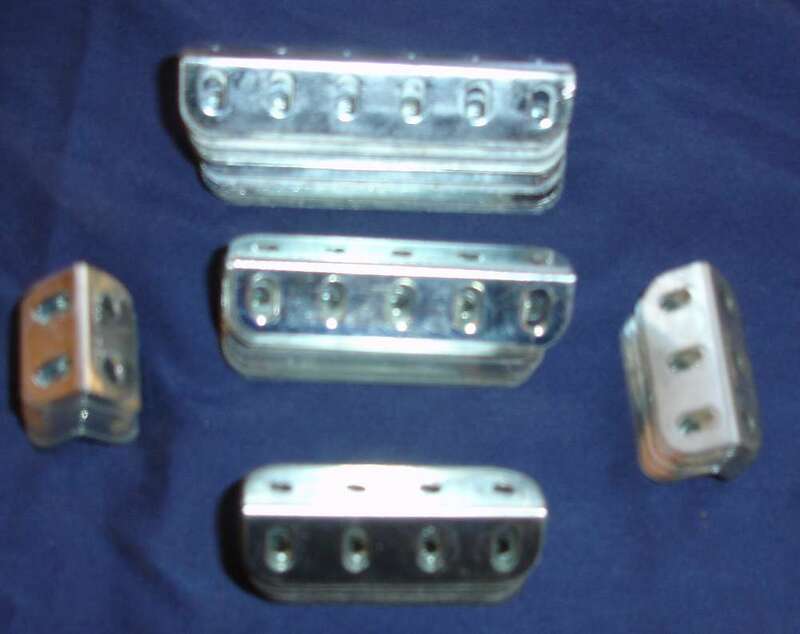 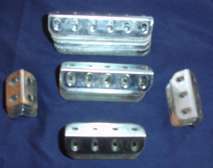 Braced Girders 9½, 7½, 4½, 3½, 3, 2½ various!